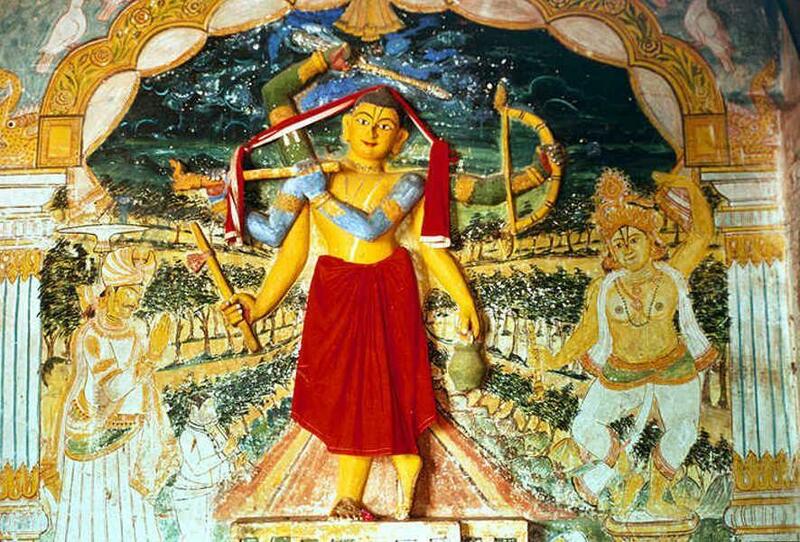 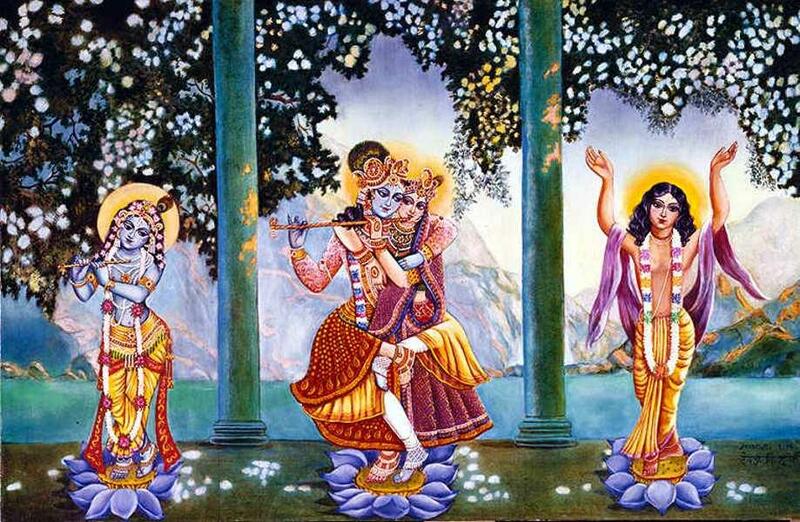 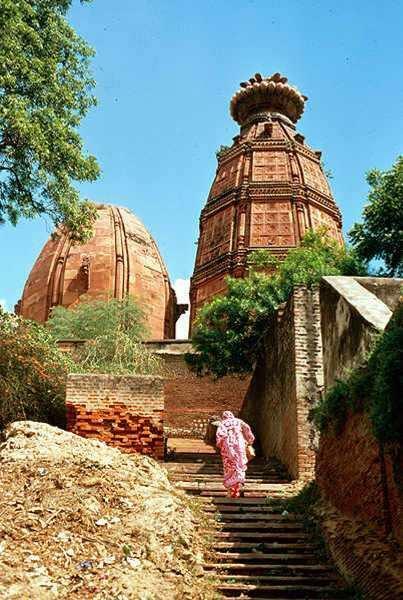 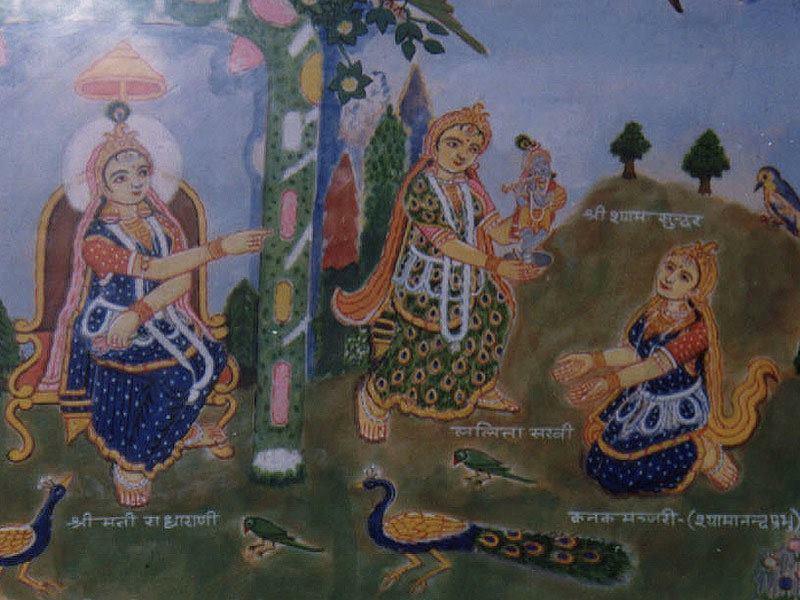 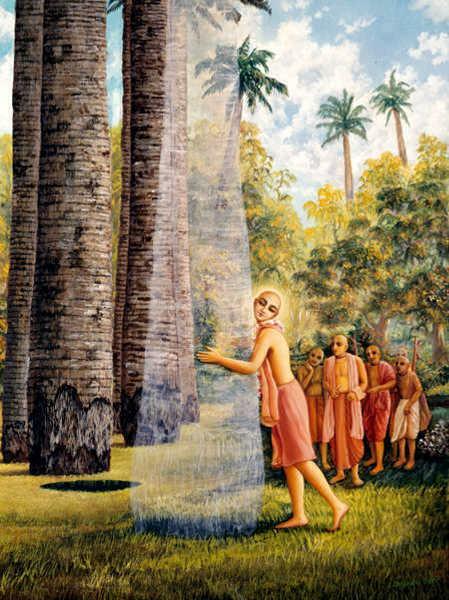 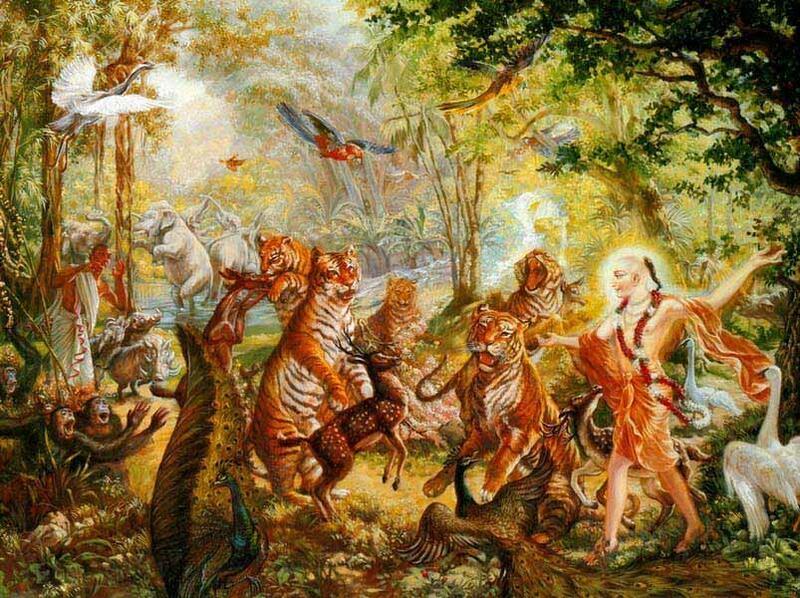 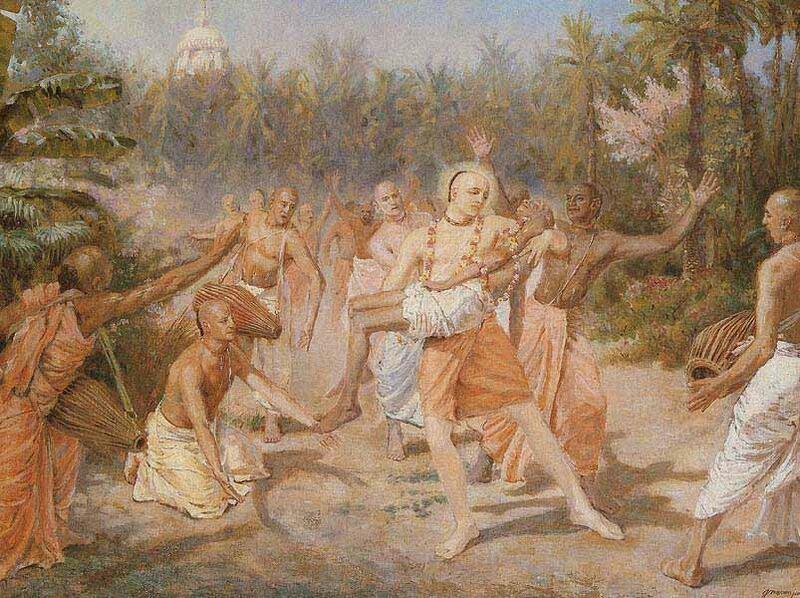 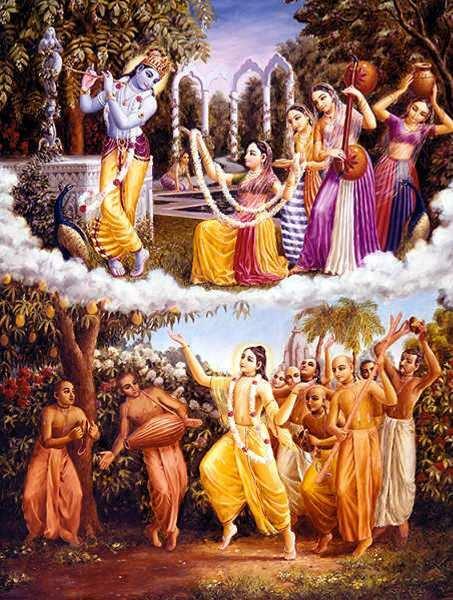 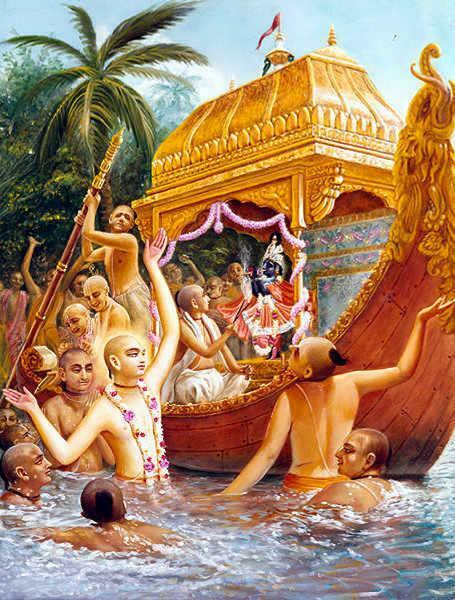 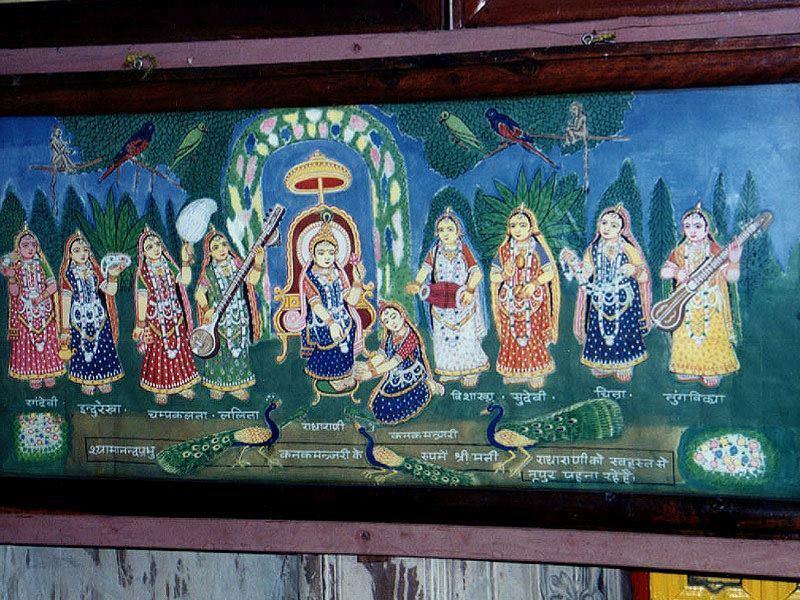 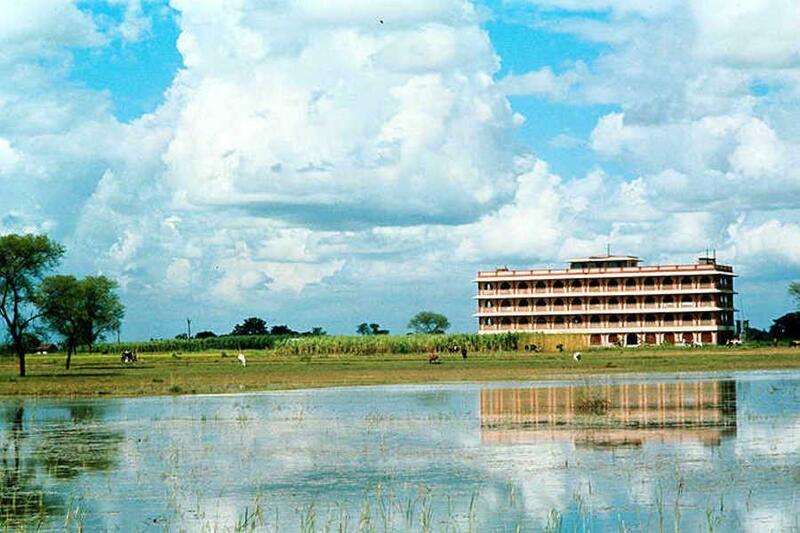 Sri Krishna Chaitanya Mahaprabhu appeared in this world in 1486, in Mayapur, West Bengal, India. 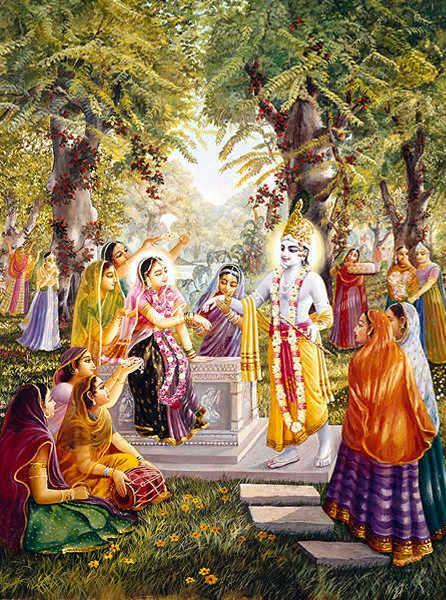 He freely distributed life's most precious gift -- pure love of Godhead. 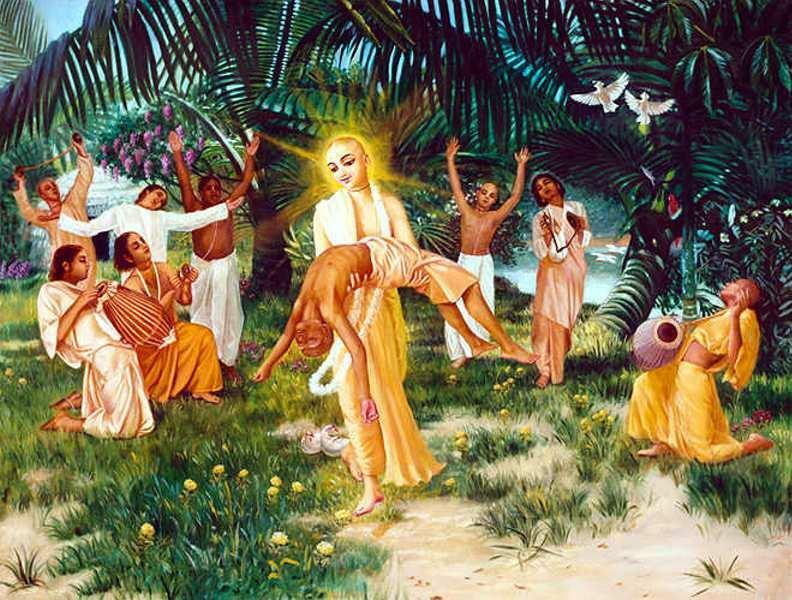 He is praised as being the most merciful Lord because He distributes His mercy without discrimination to all, without any consideration of whether one is qualified or not. 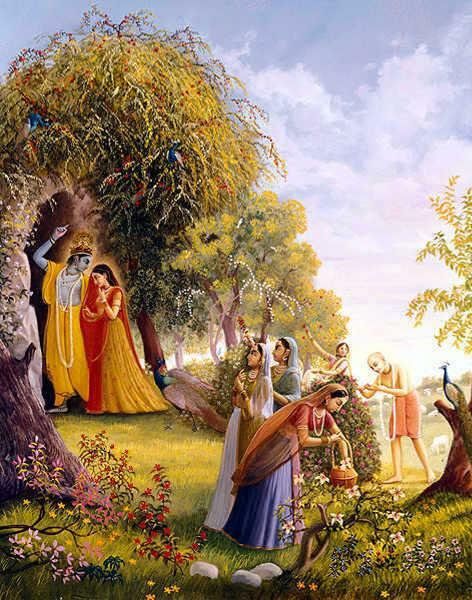 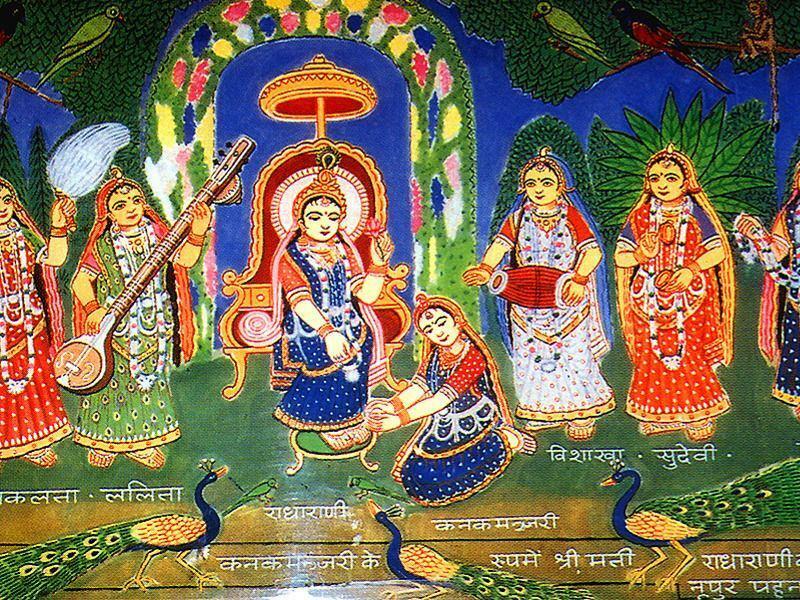 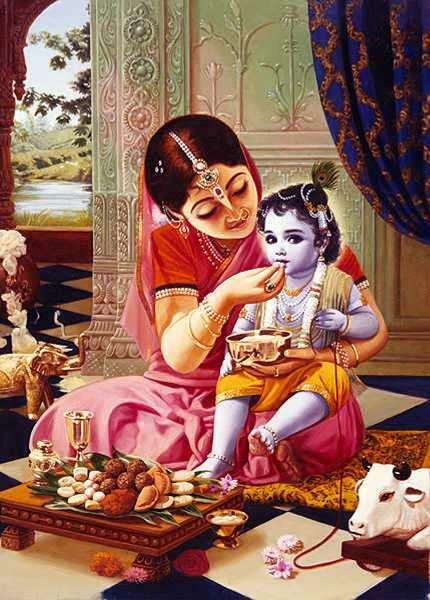 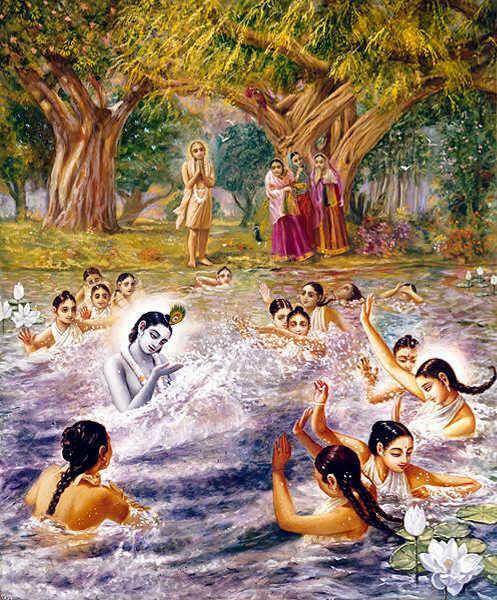 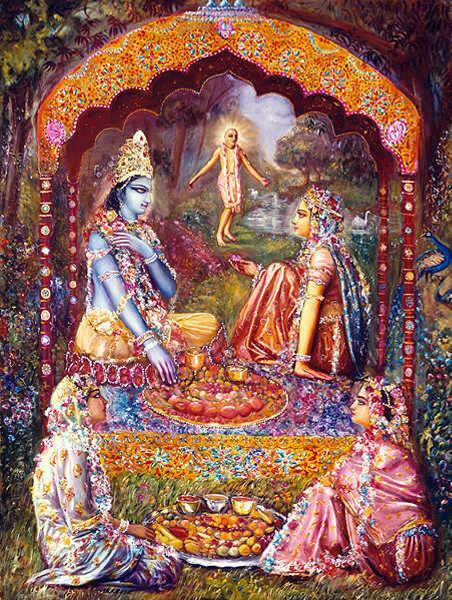 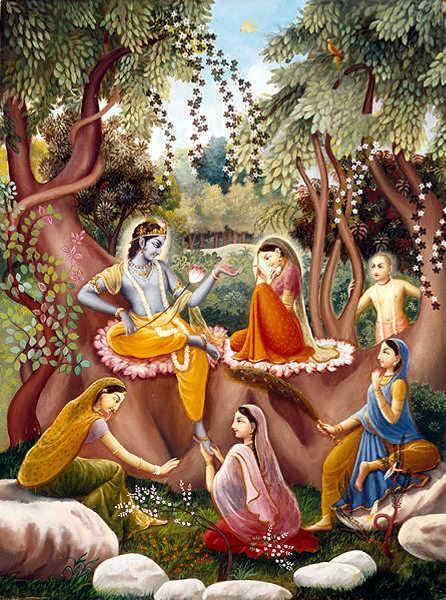 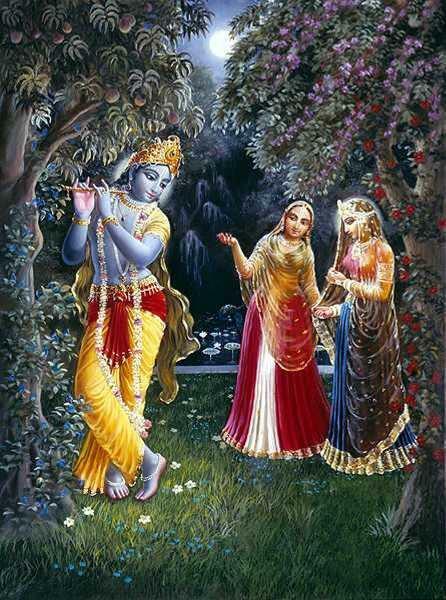 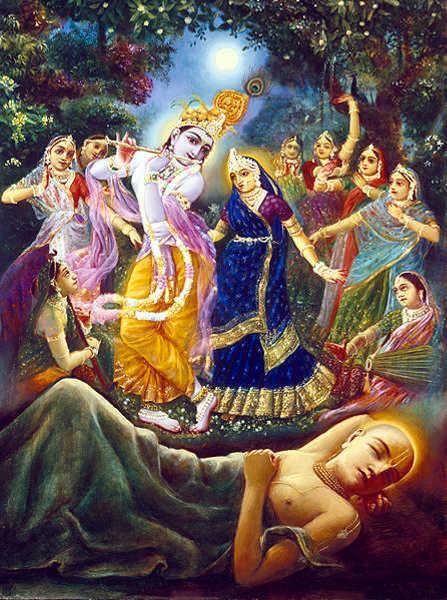 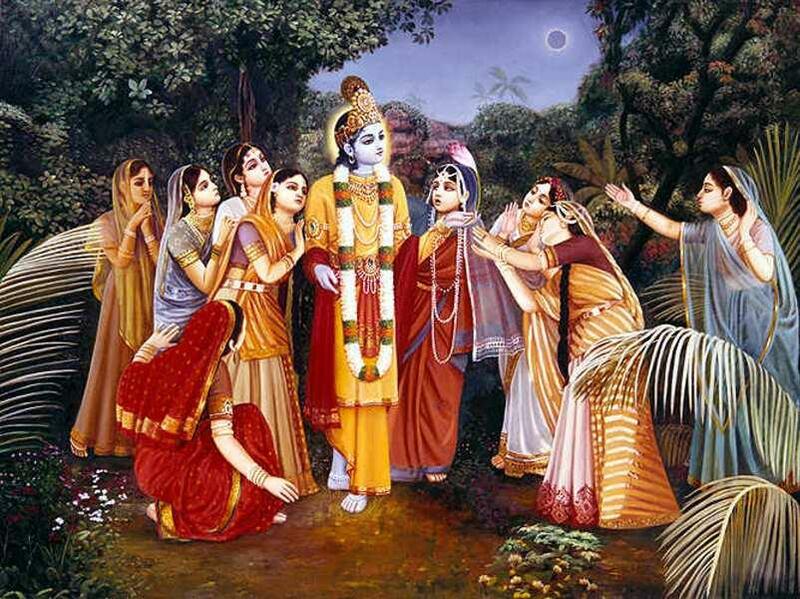 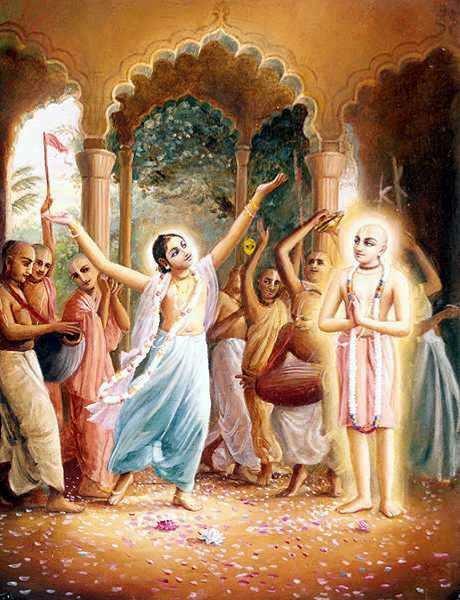 Although He is the Supreme Lord, Krishna, He posed as a devotee, and revealed the most sublime sentiments and the natural disposition of a devotee. 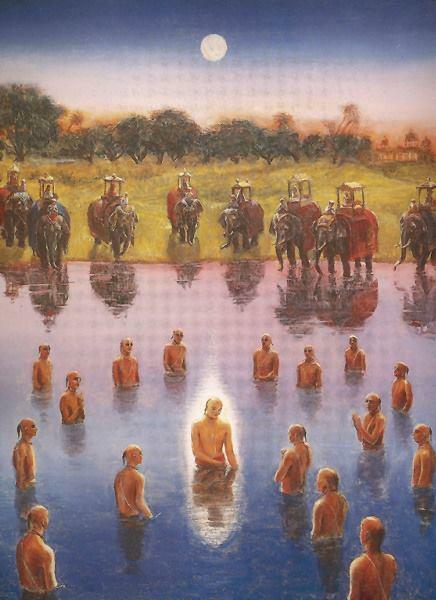 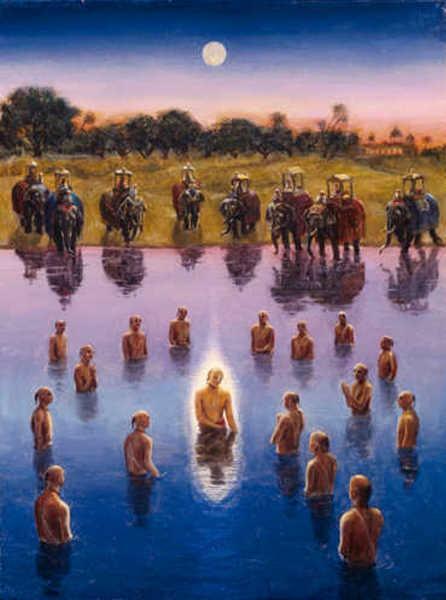 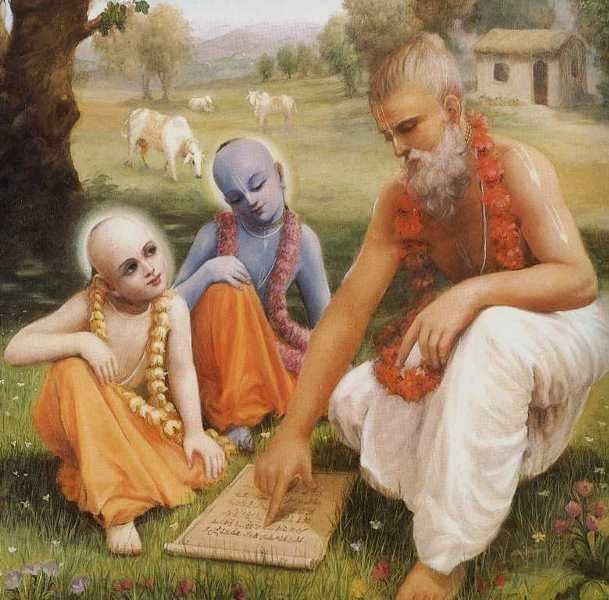 He taught us by His own example how to establish a connection with the Lord through the practice of pure devotion. 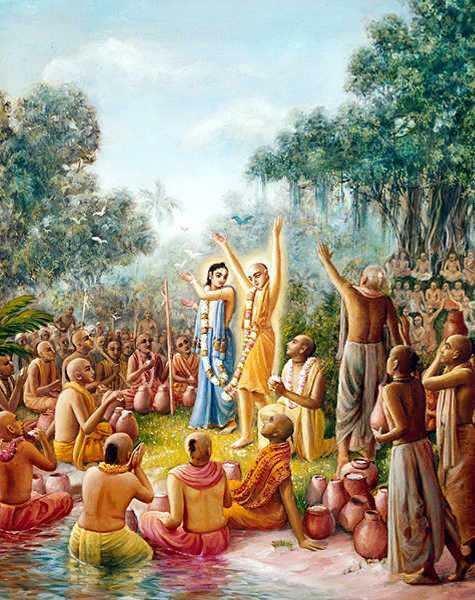 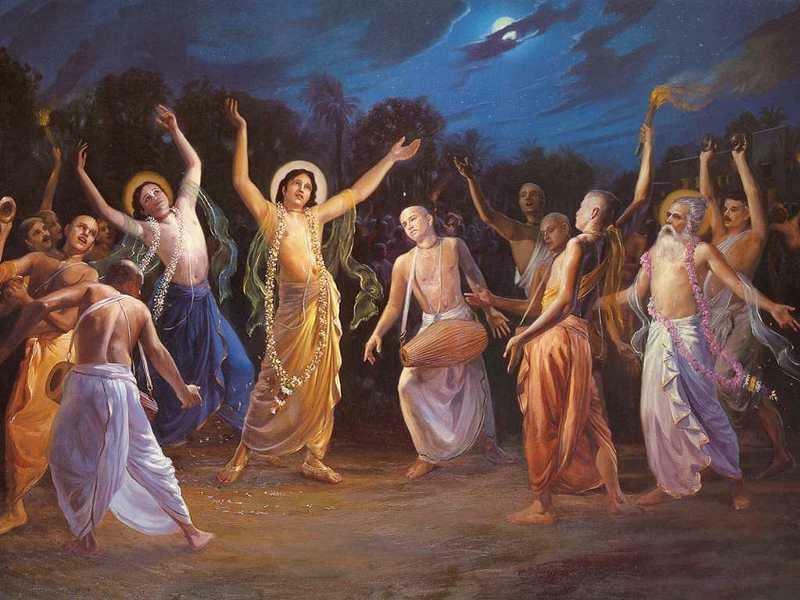 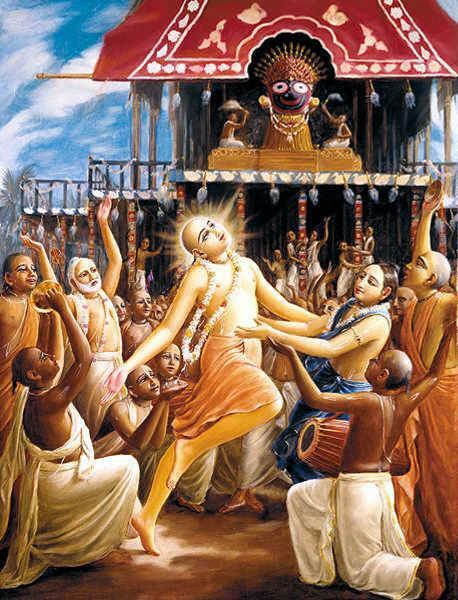 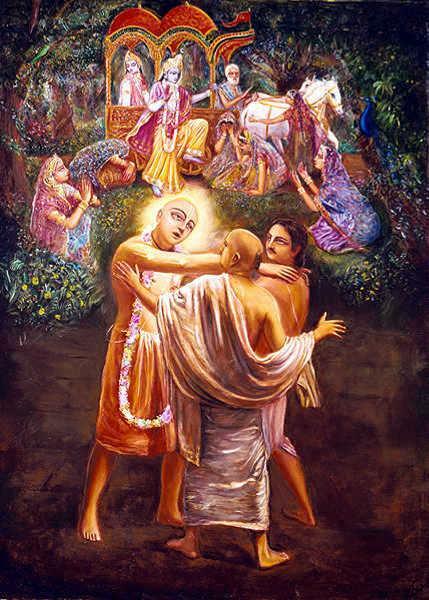 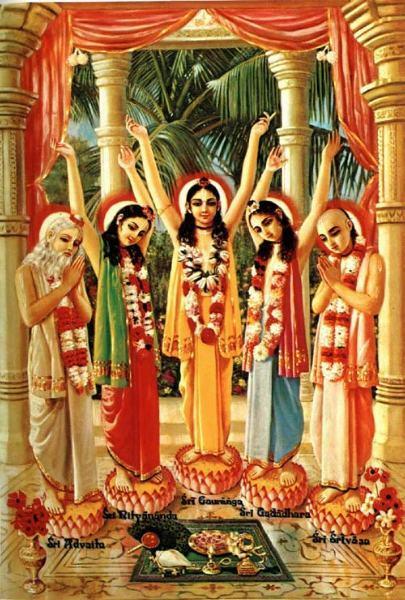 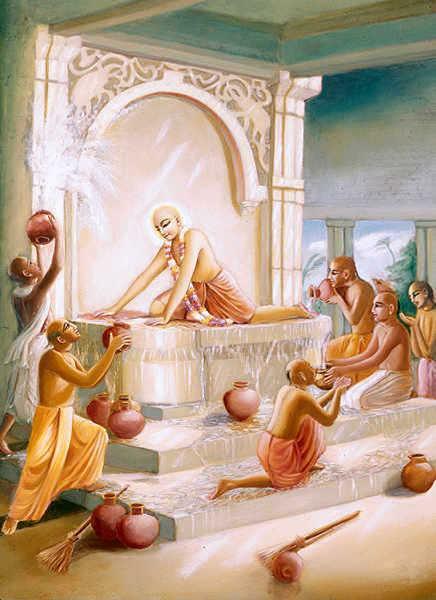 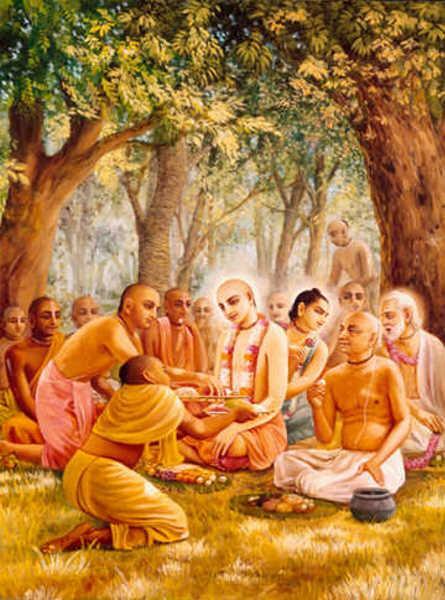 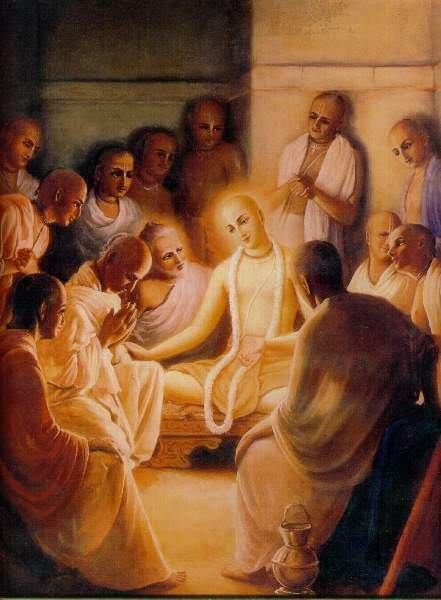 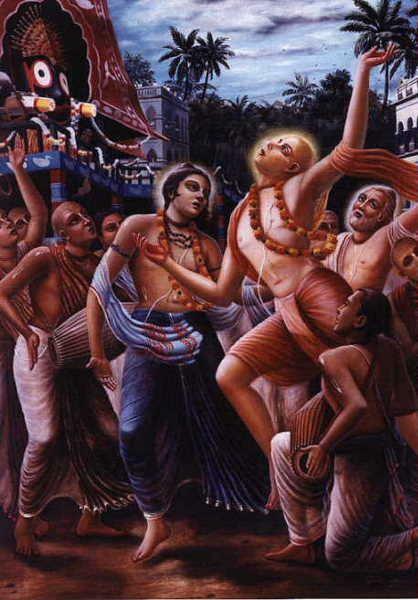 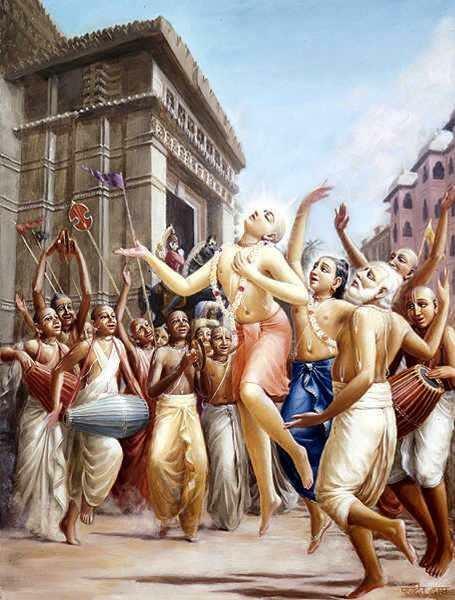 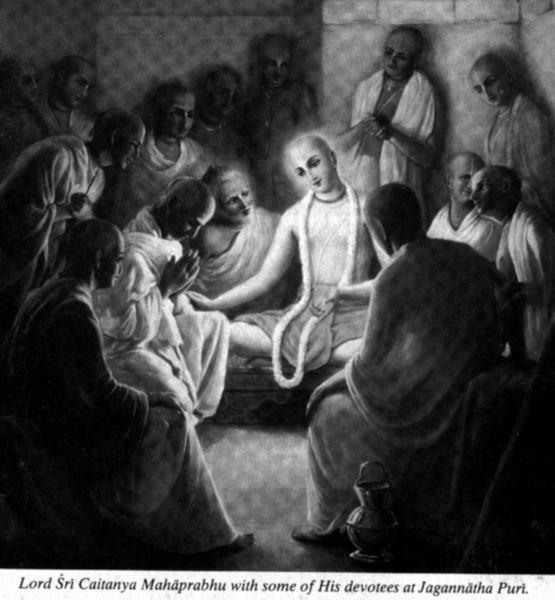 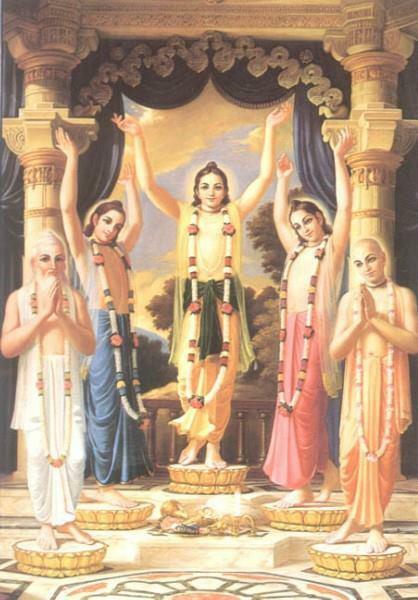 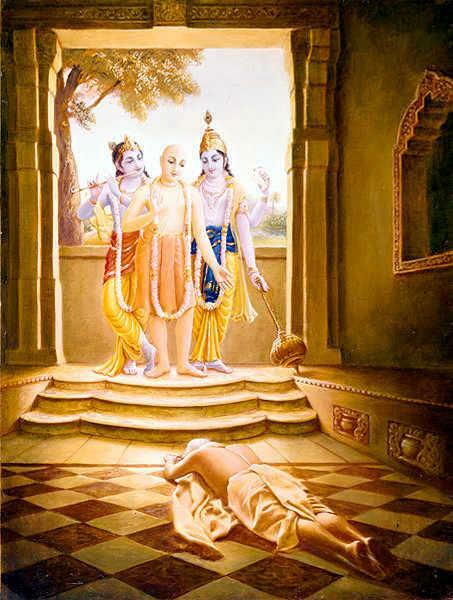 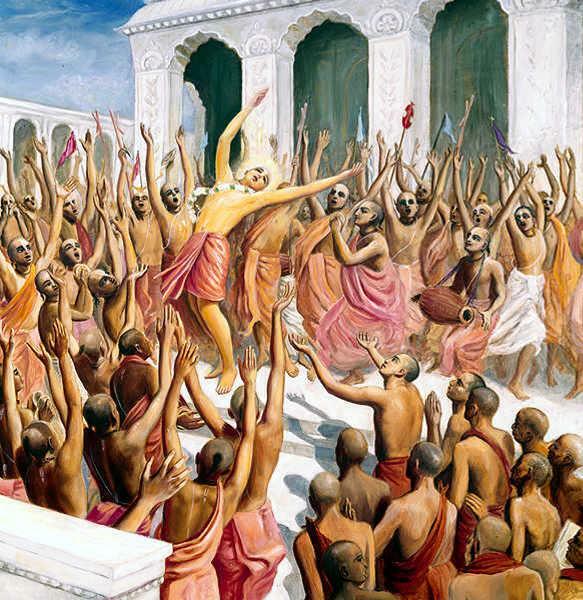 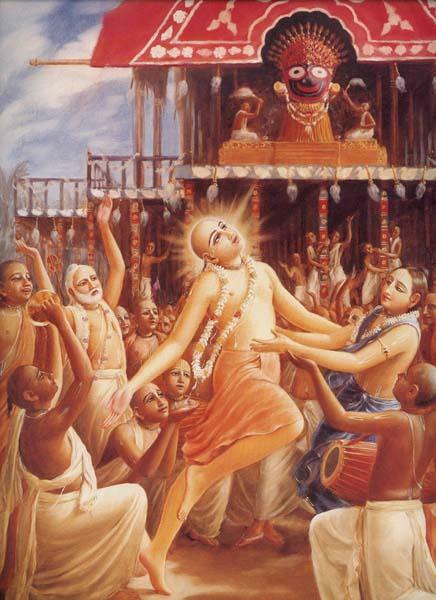 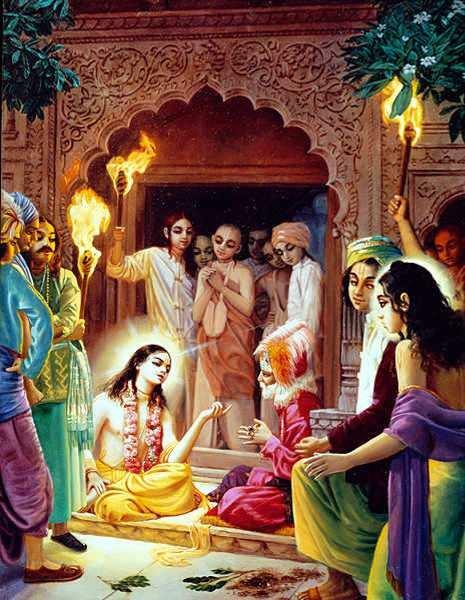 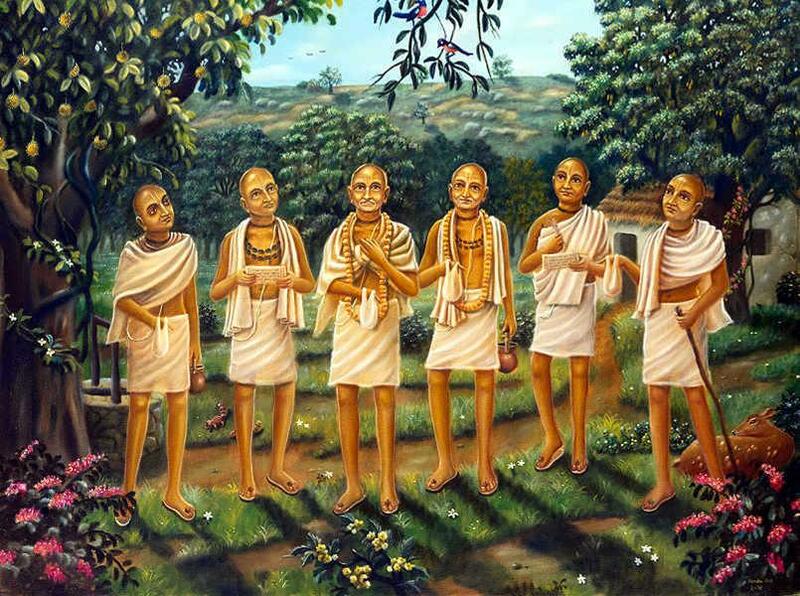 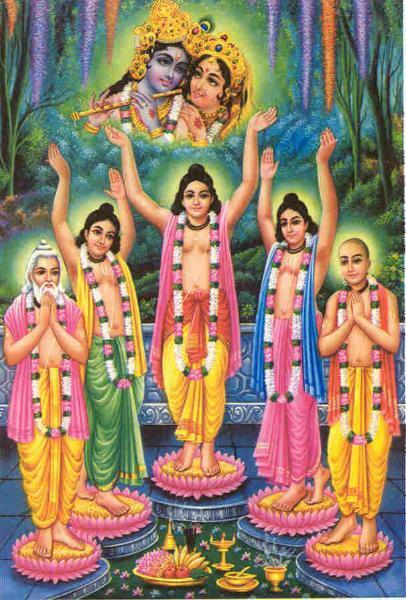 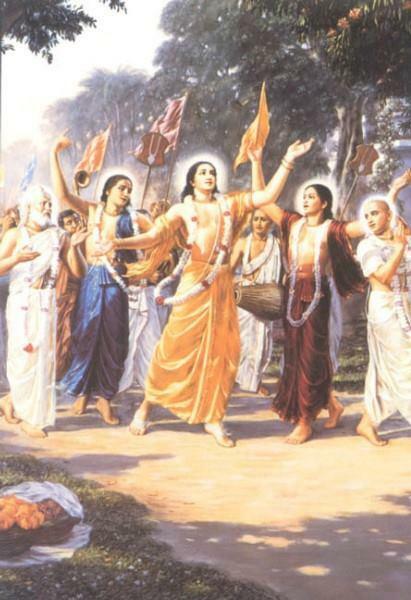 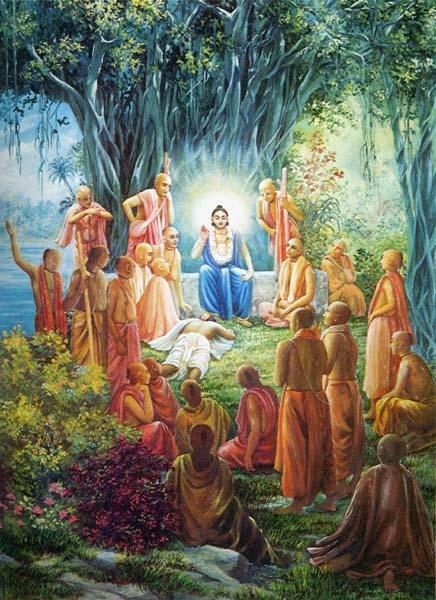 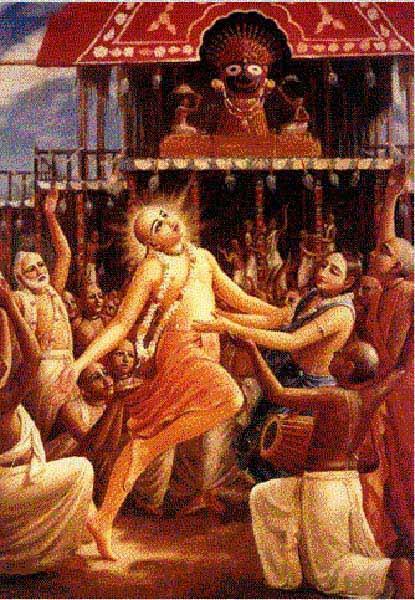 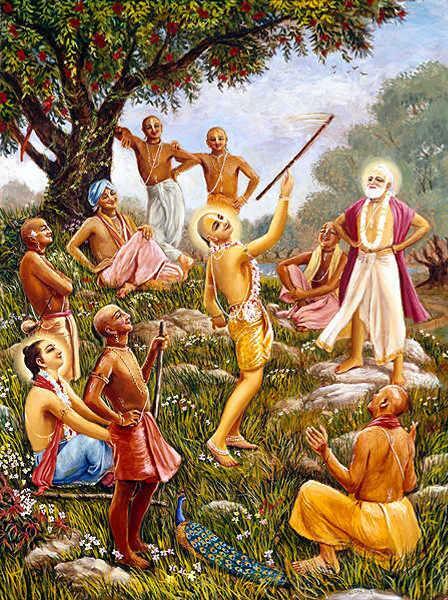 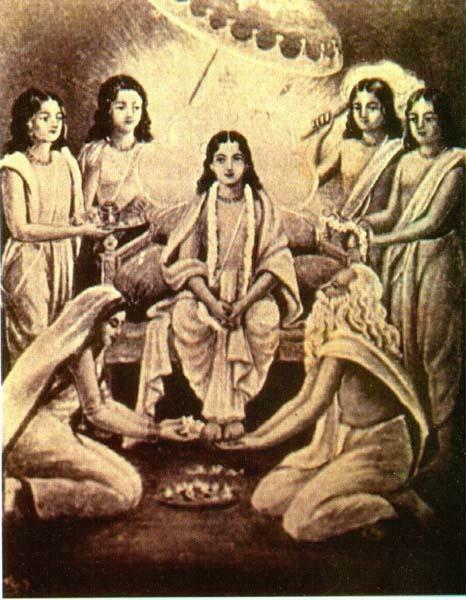 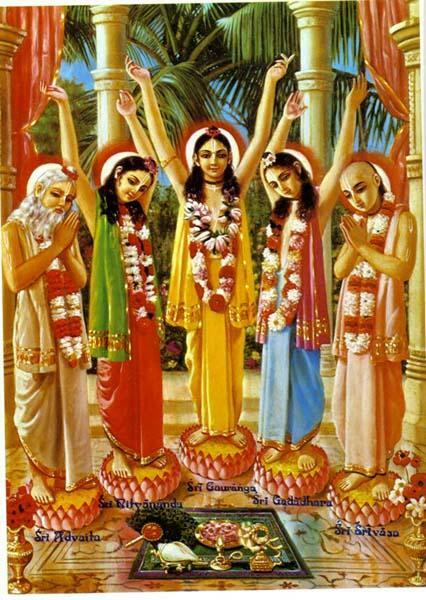 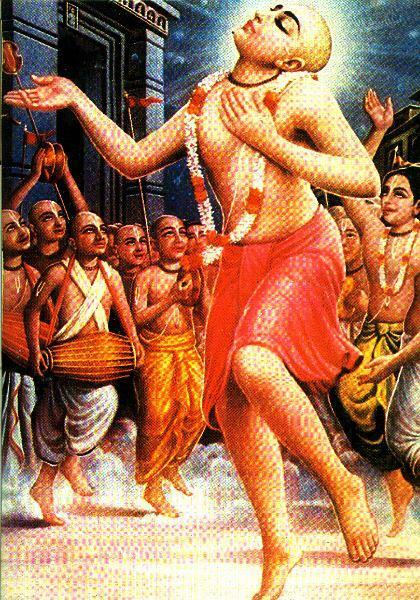 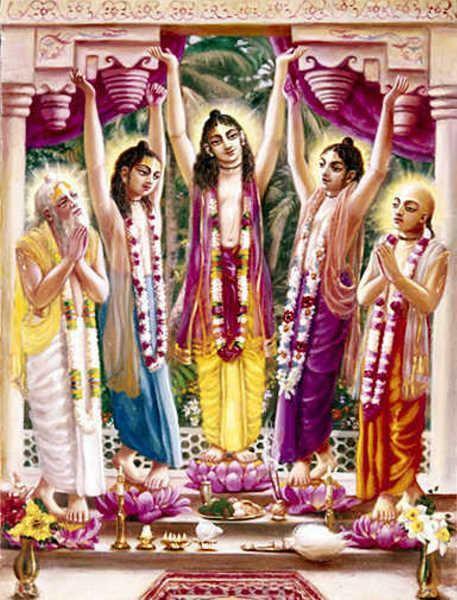 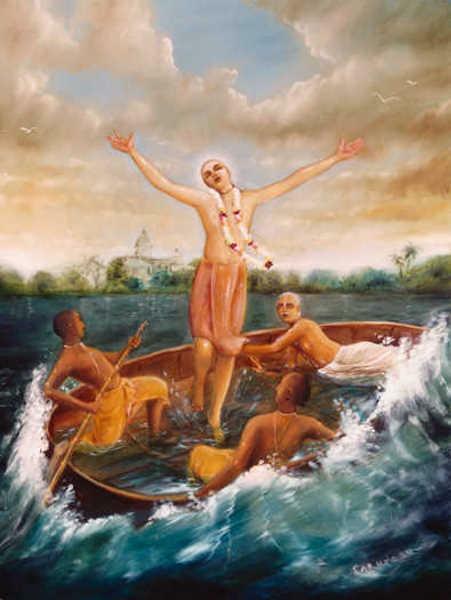 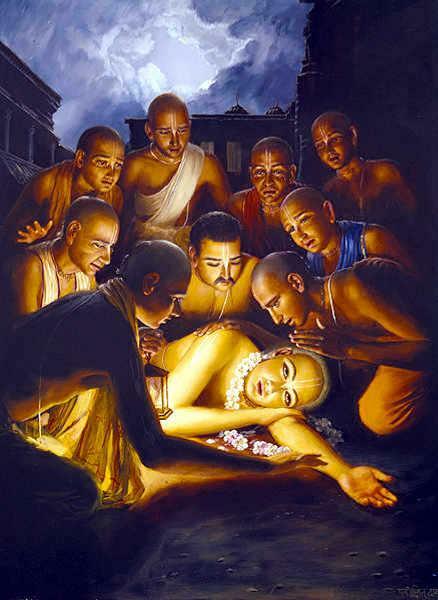 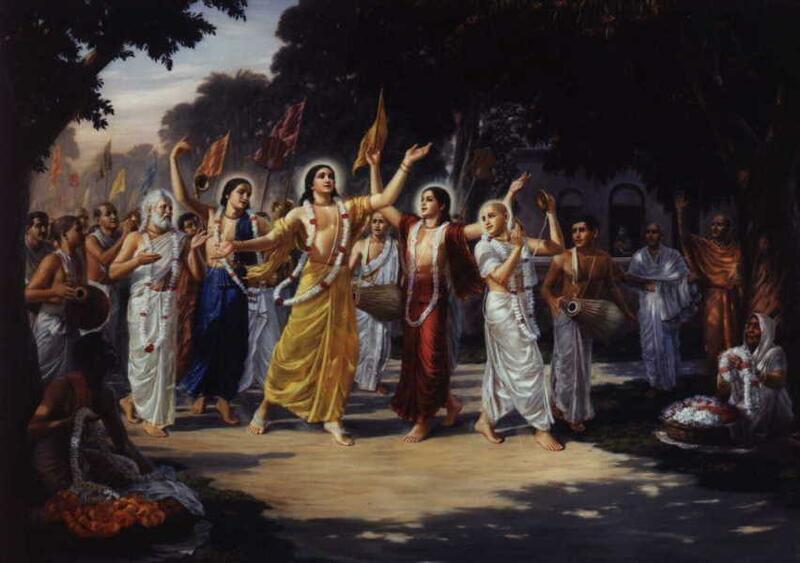 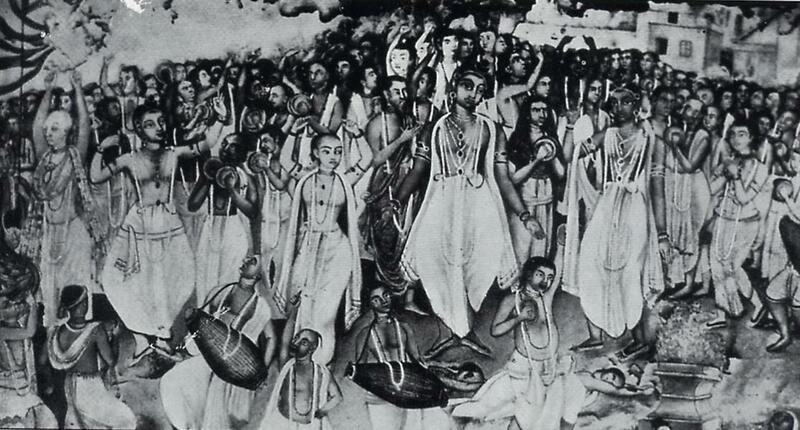 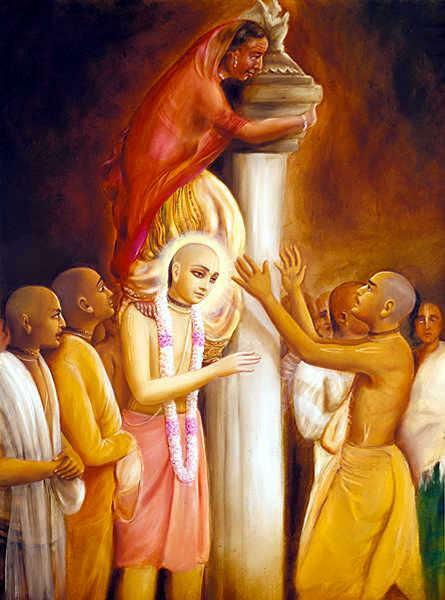 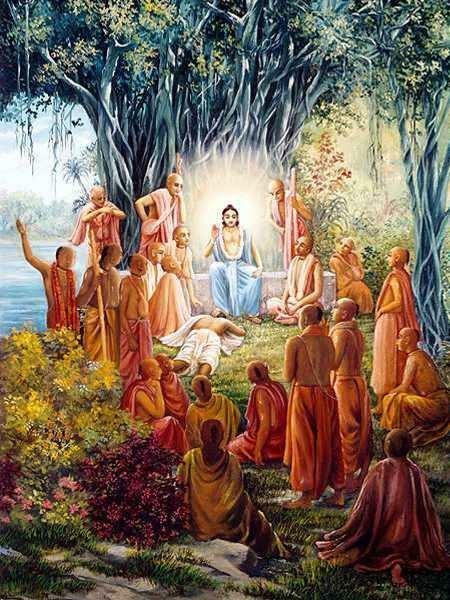 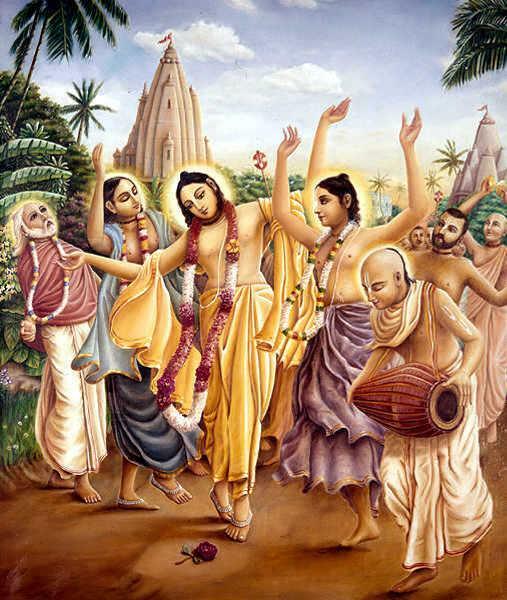 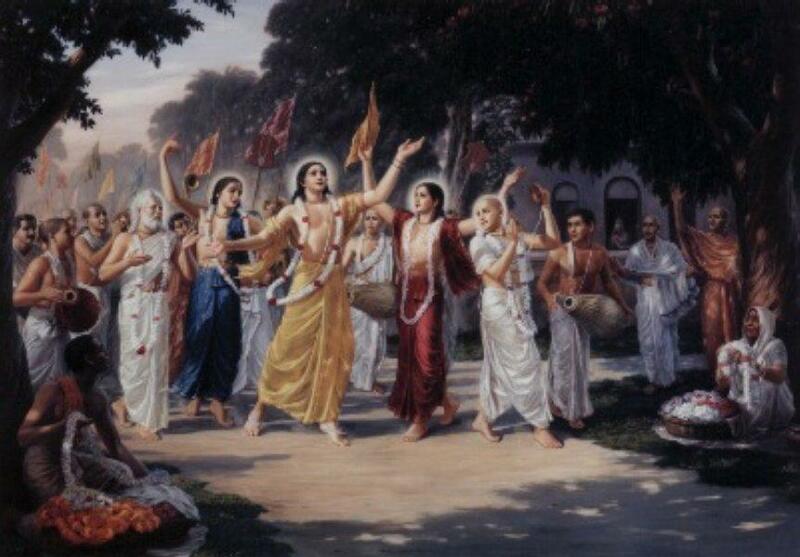 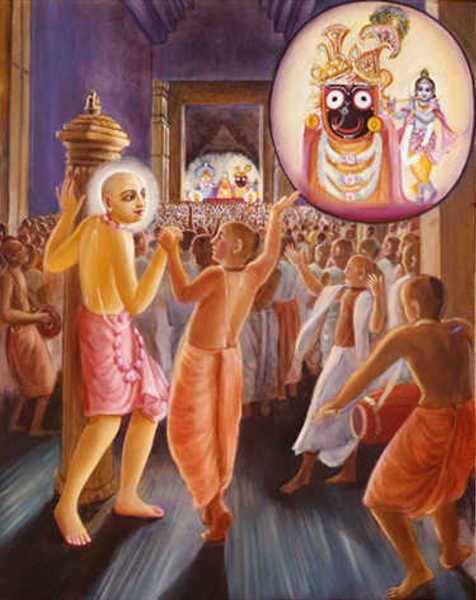 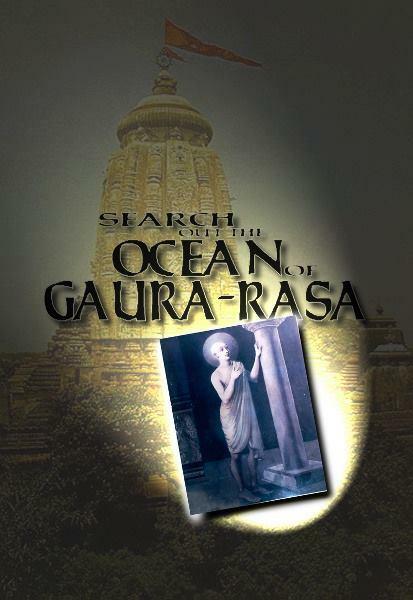 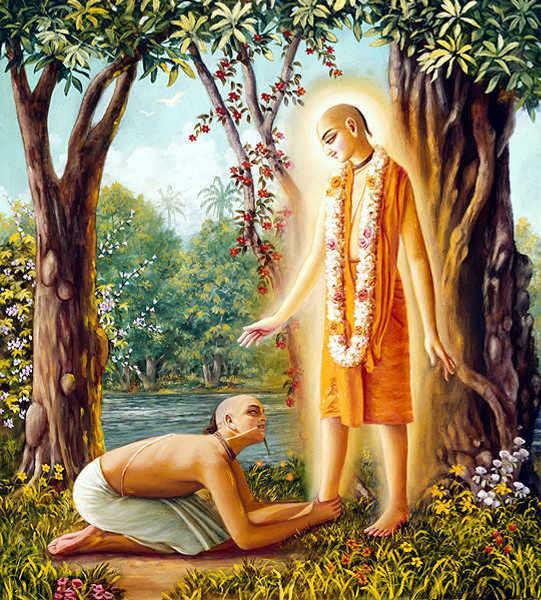 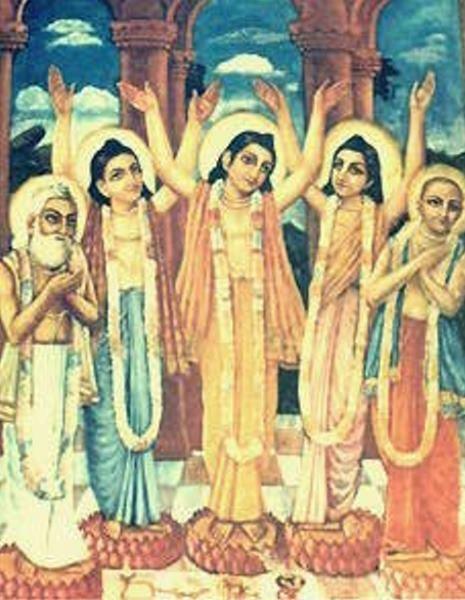 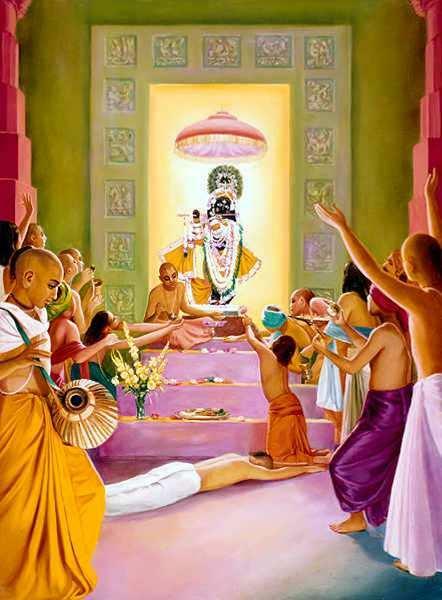 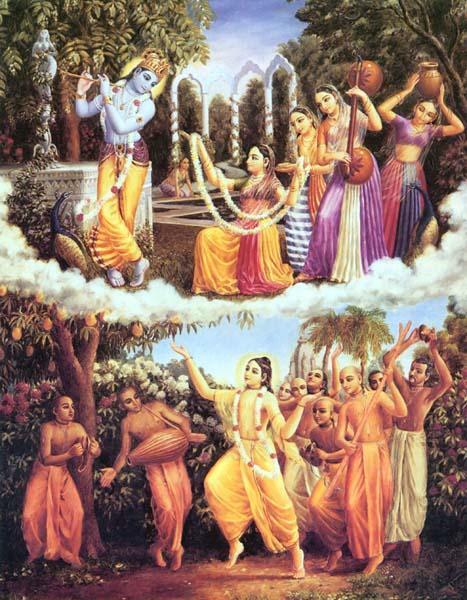 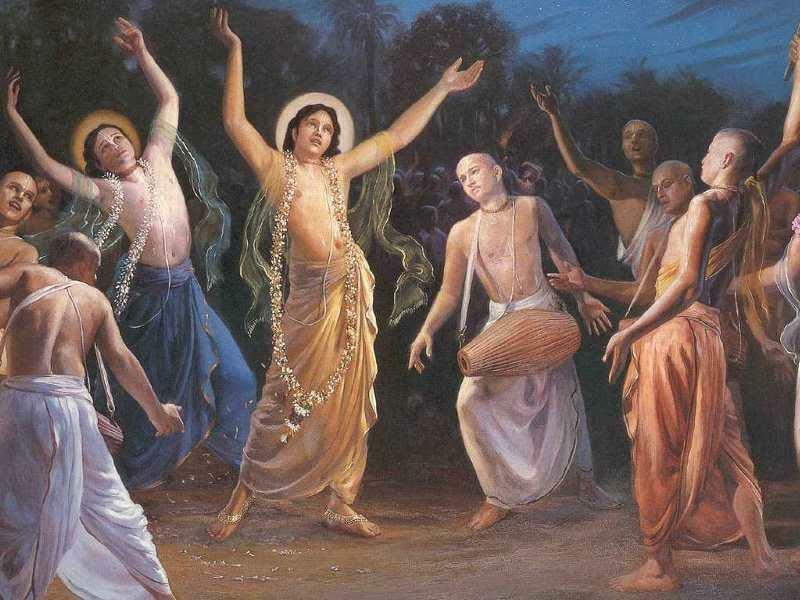 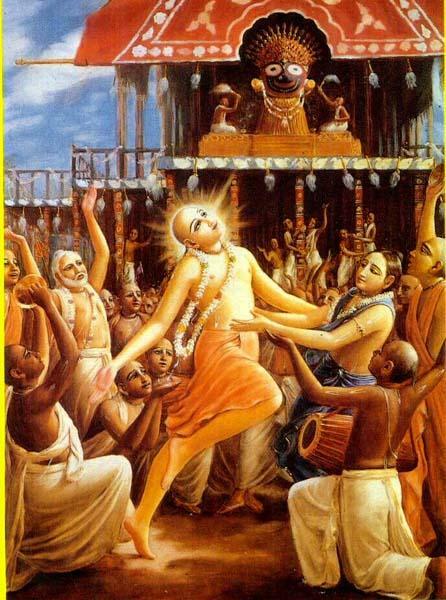 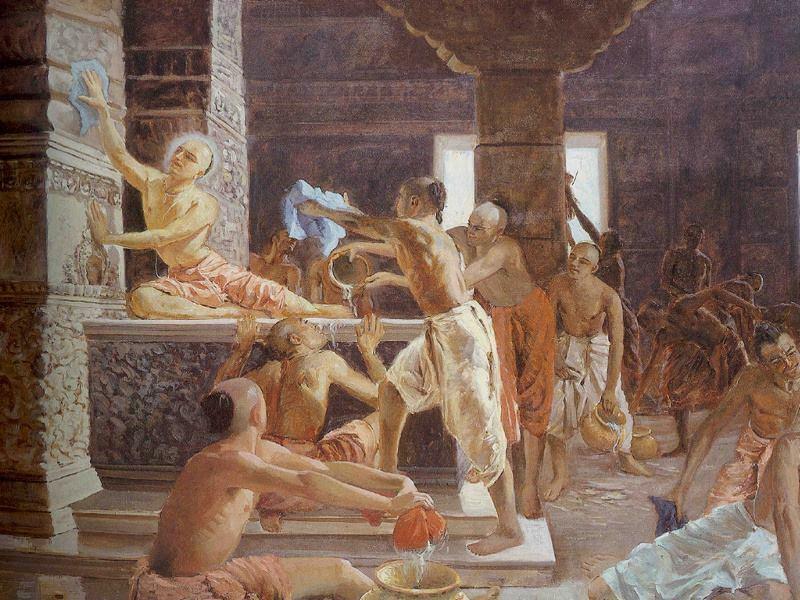 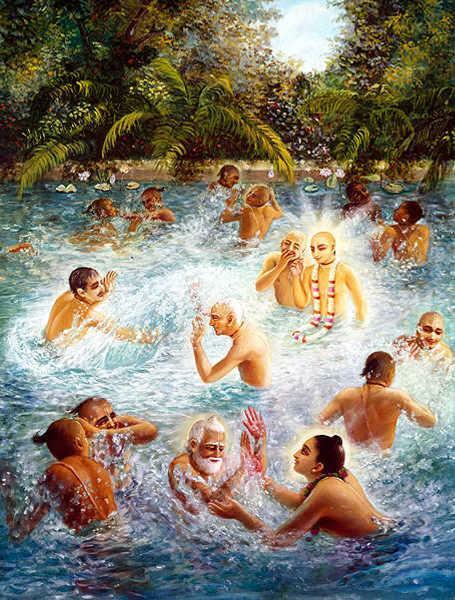 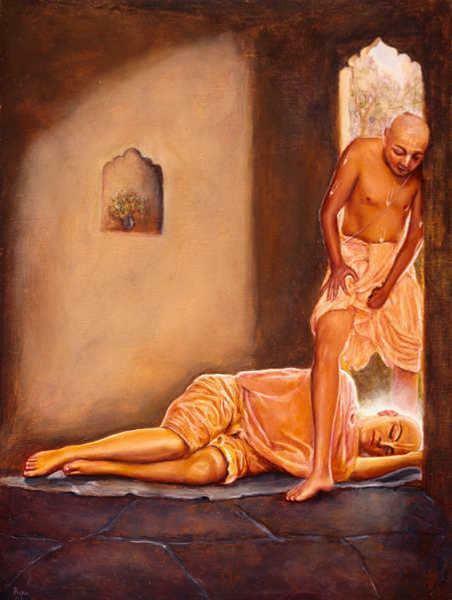 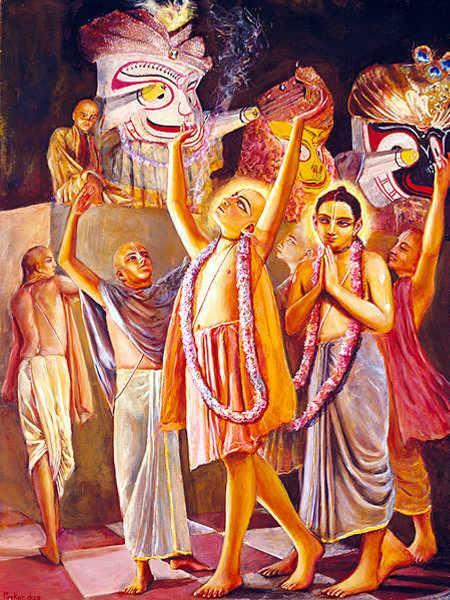 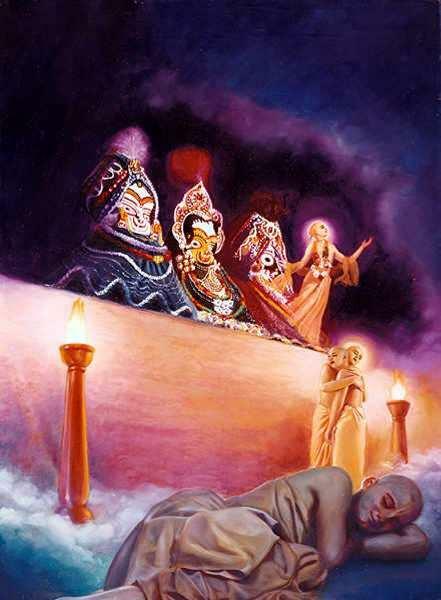 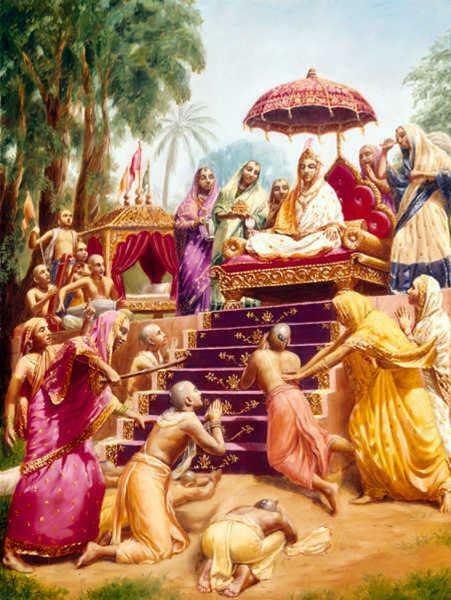 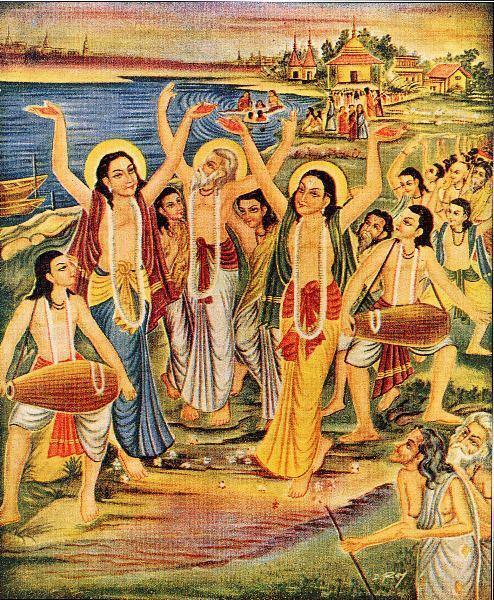 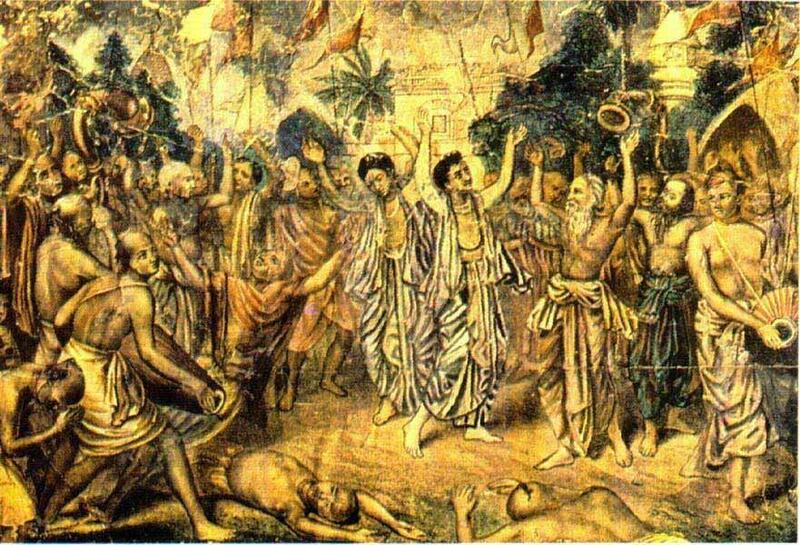 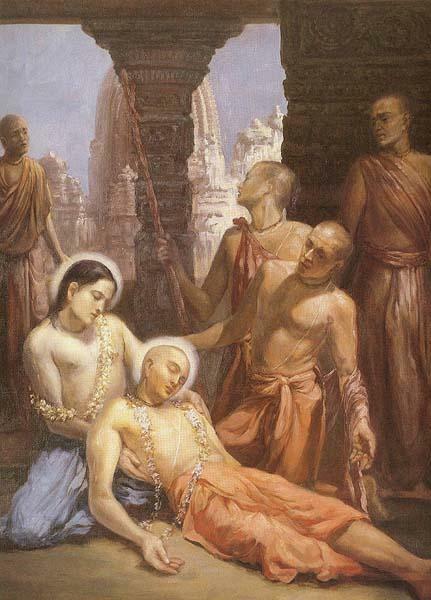 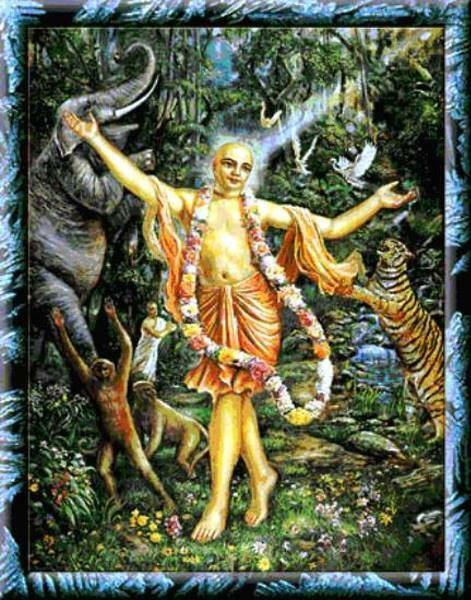 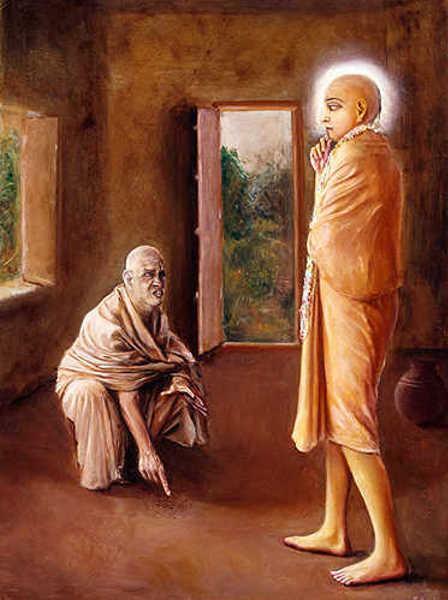 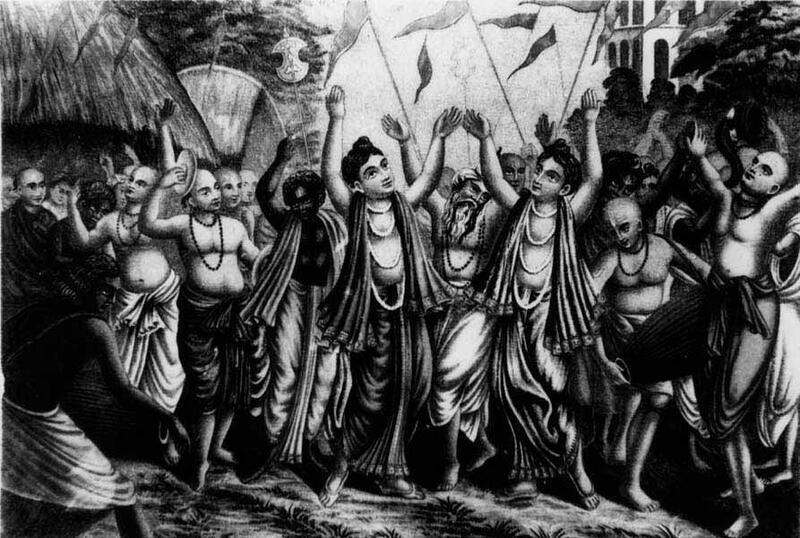 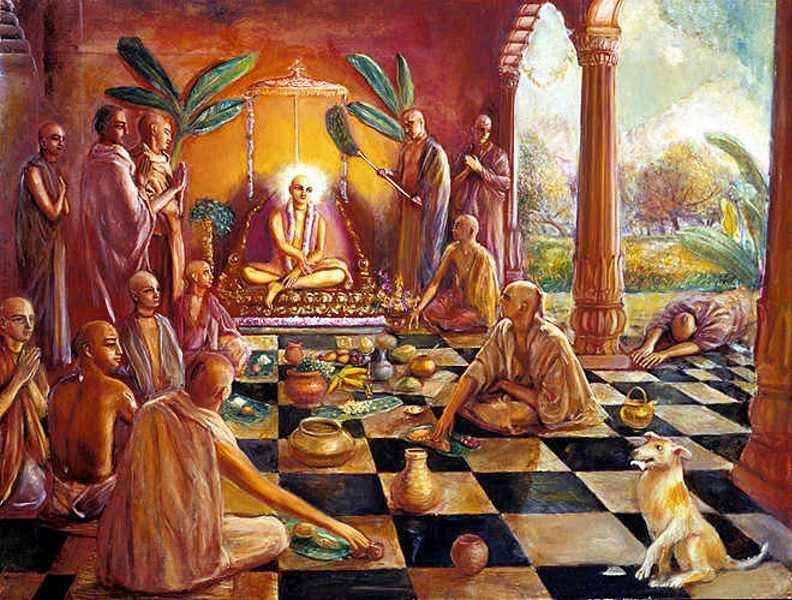 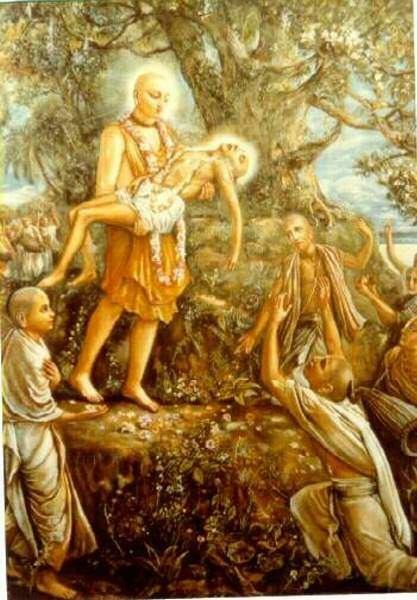 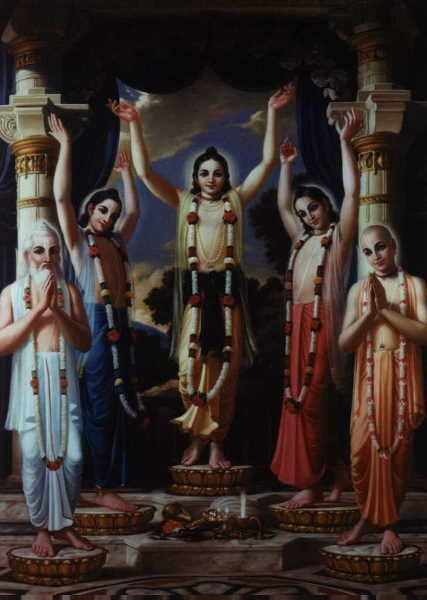 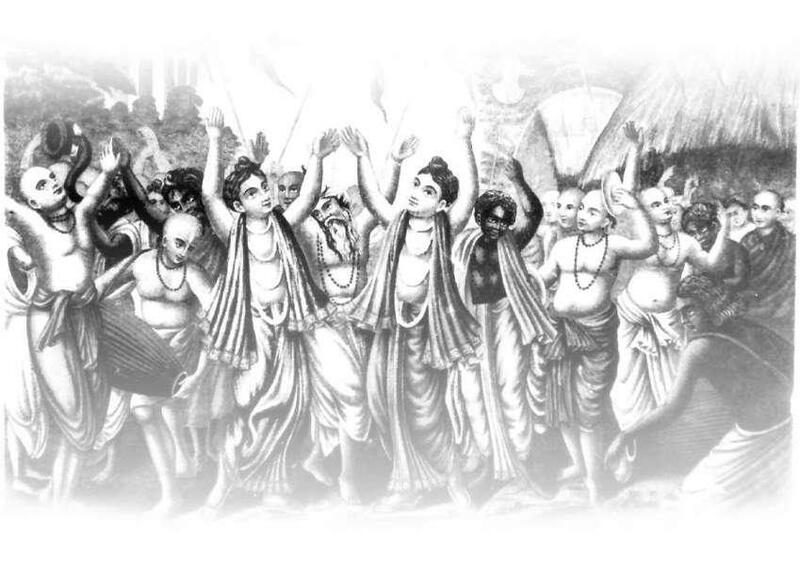 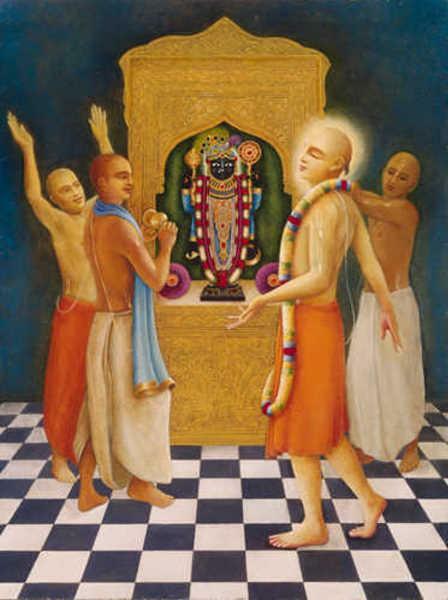 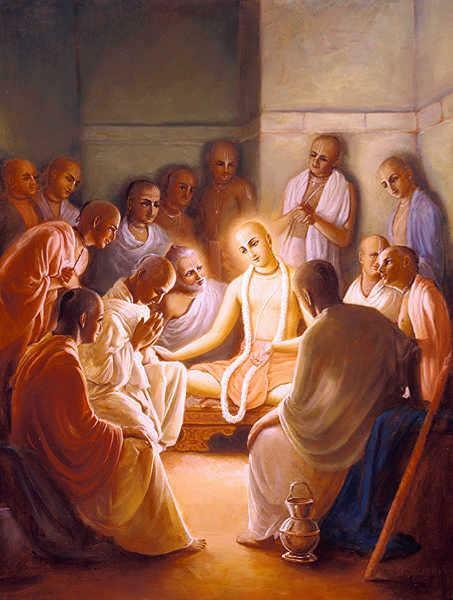 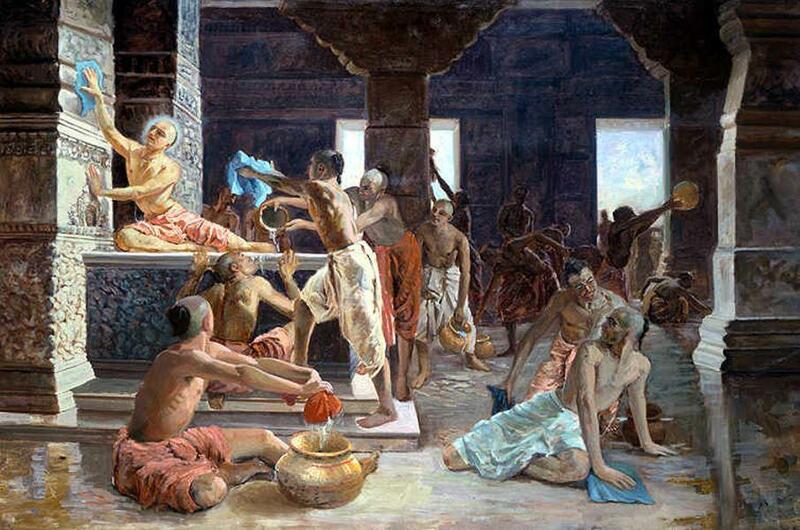 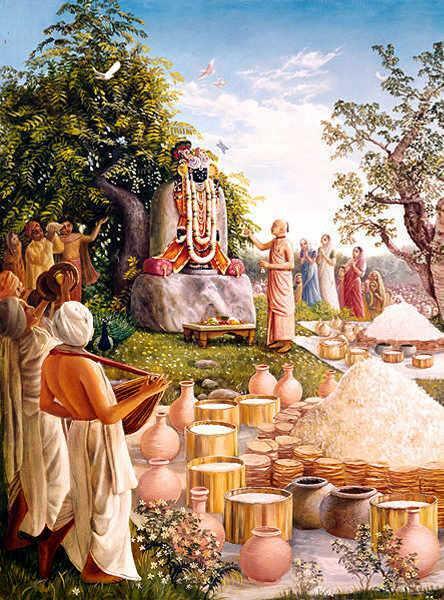 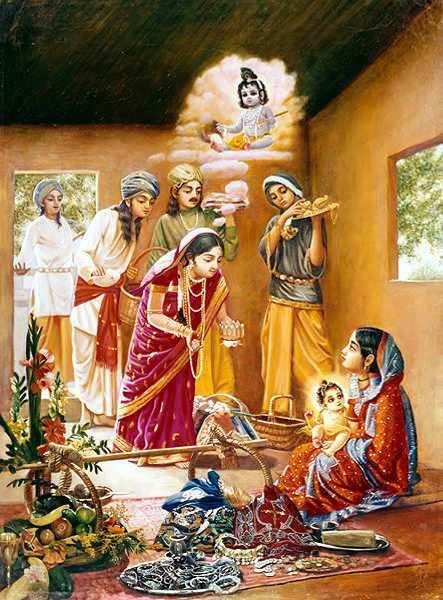 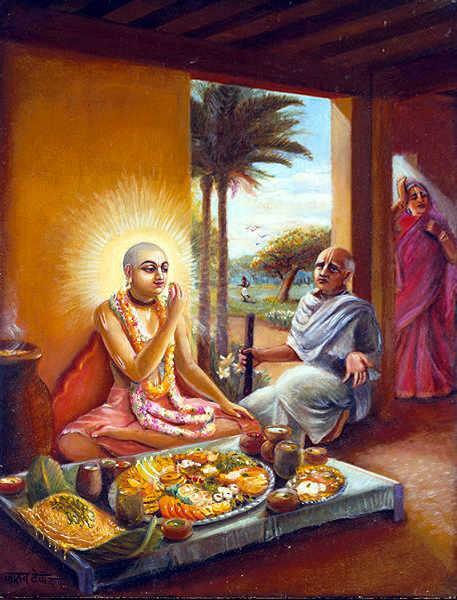 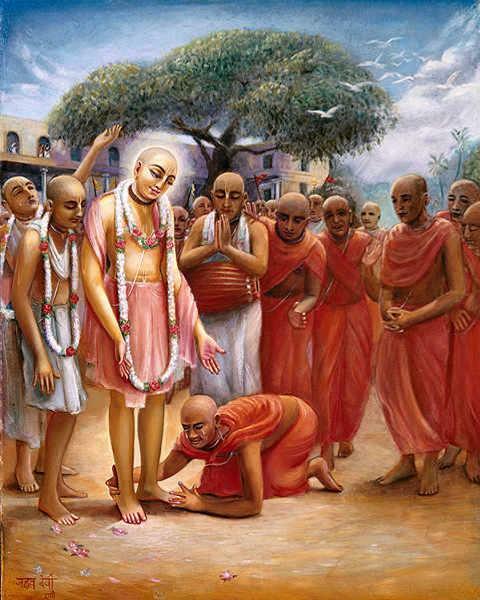 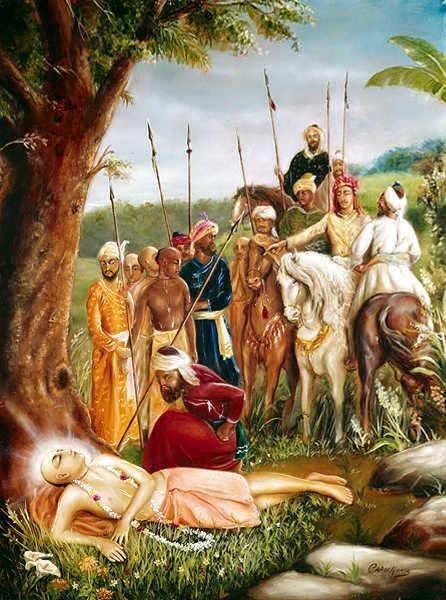 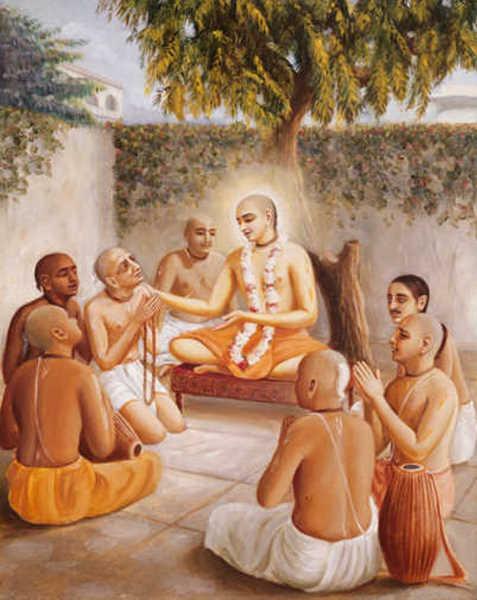 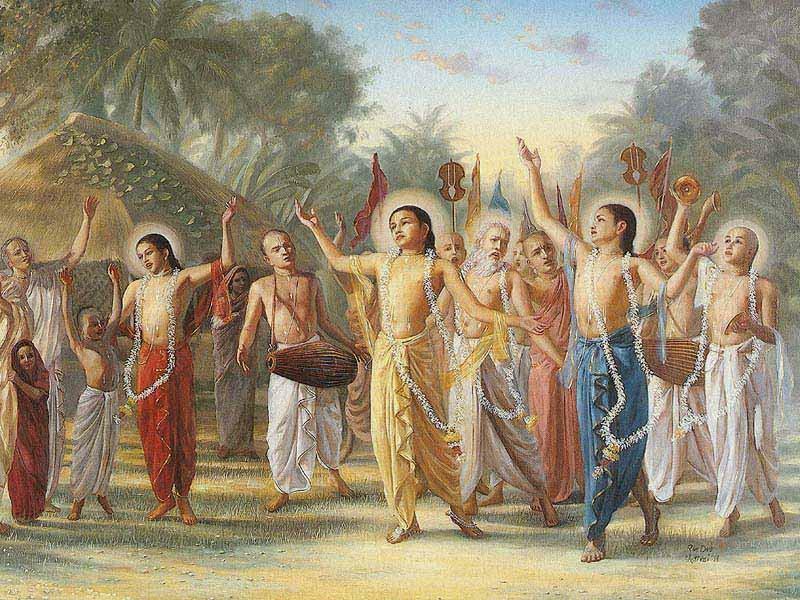 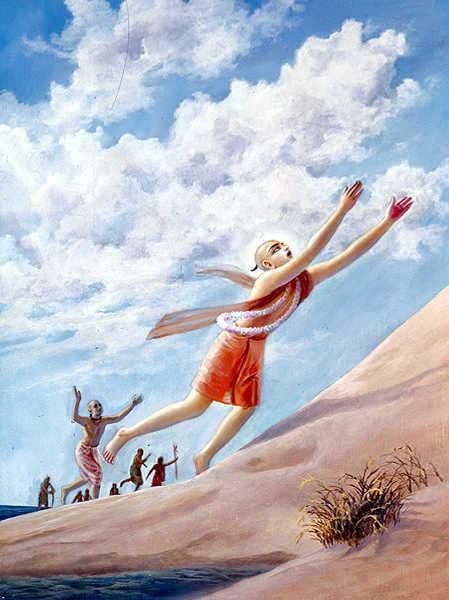 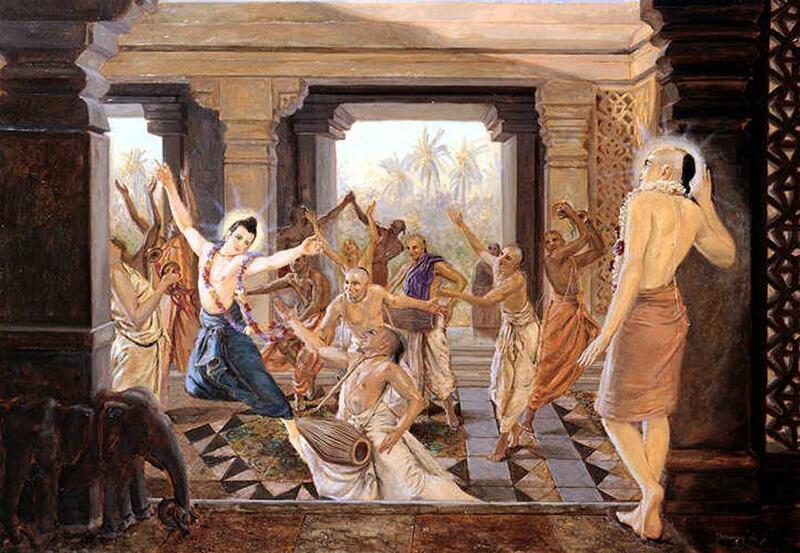 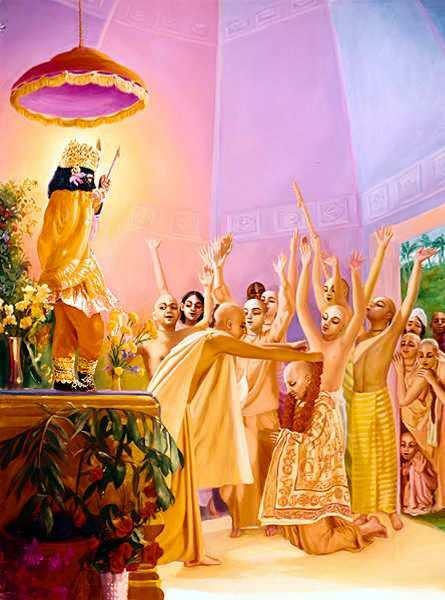 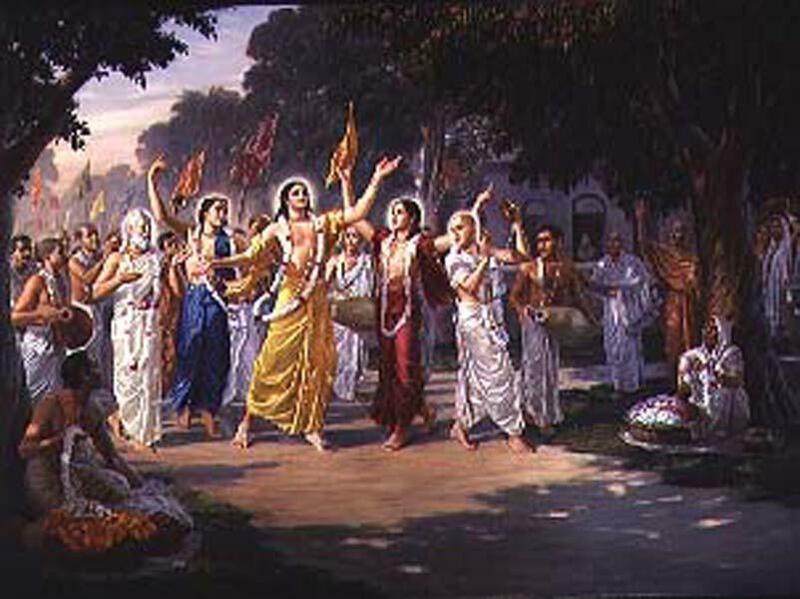 When Sri Chaitanya Mahaprabhu appeared in this world, He brought His dearest servitors with Him, personalities such as Lord Nityananda Prabhu, Sri Advaita Acharya, Sri Gadadhar Pandit, Srivas Thakur, and other exalted associates, and along with these devotees He spread the Yuga-dharma, or the practice most recommended for the attainment of pure love for Sri Sri Radha-Krishna. 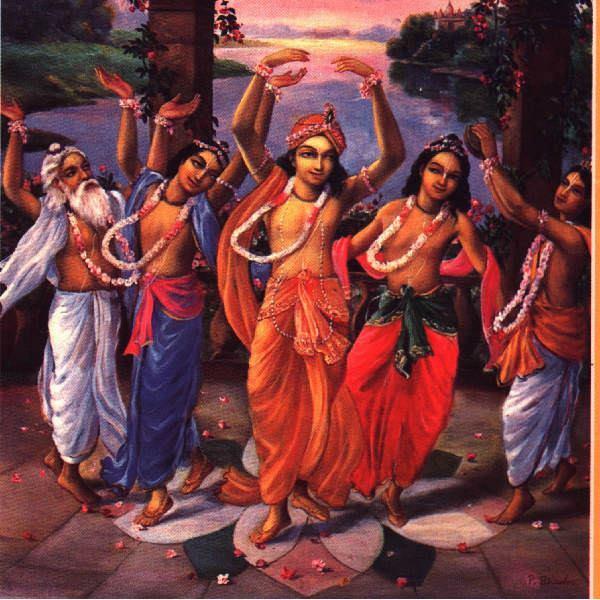 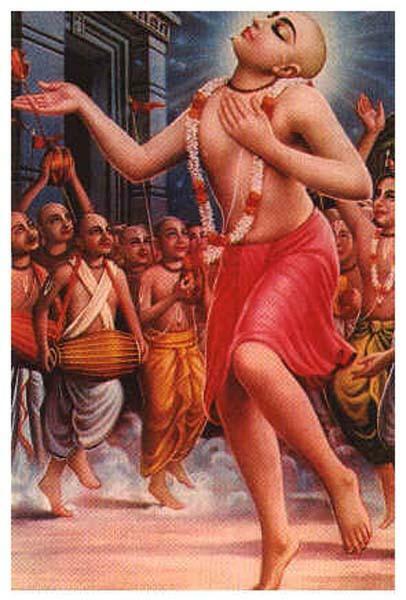 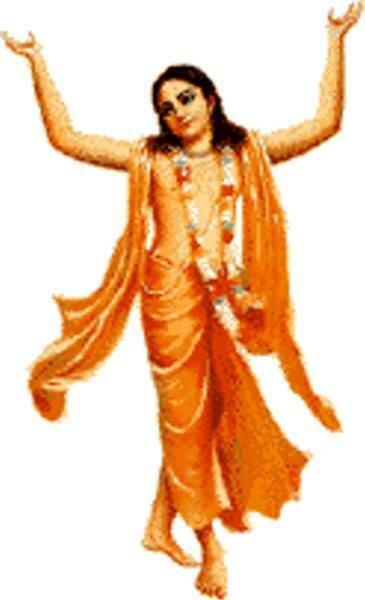 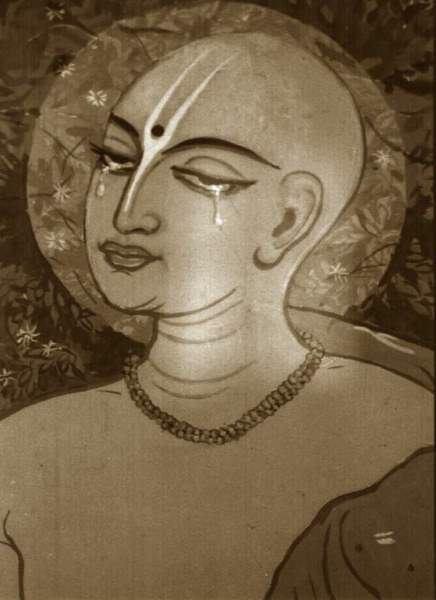 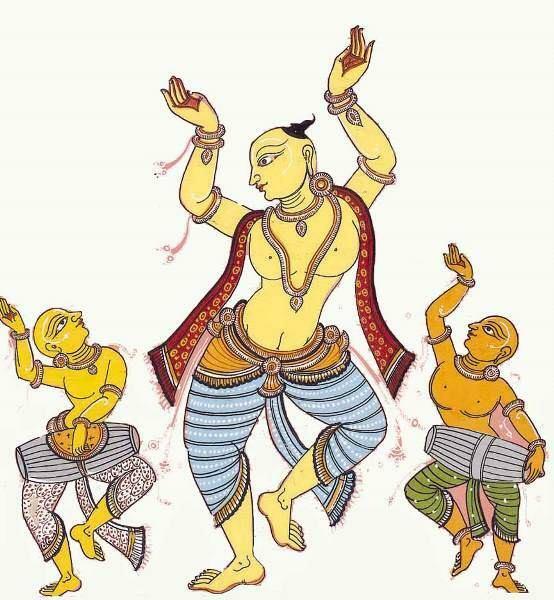 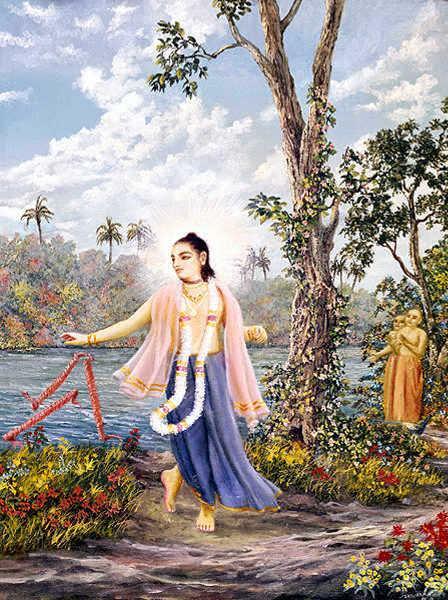 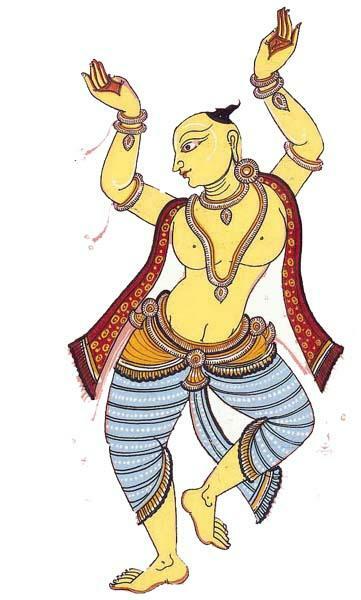 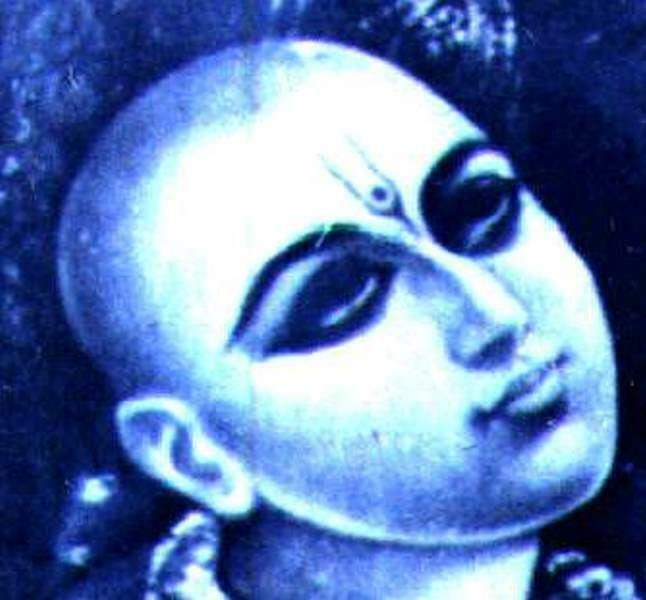 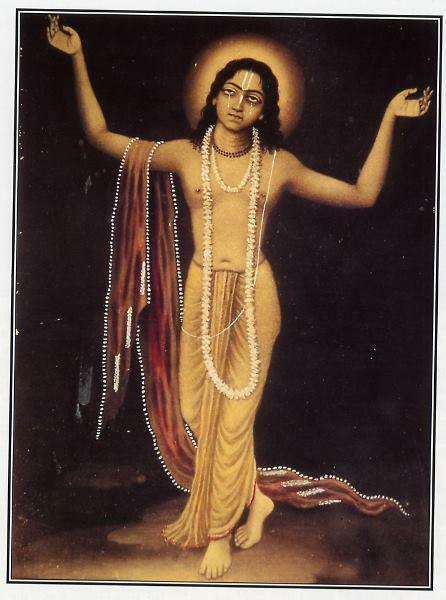 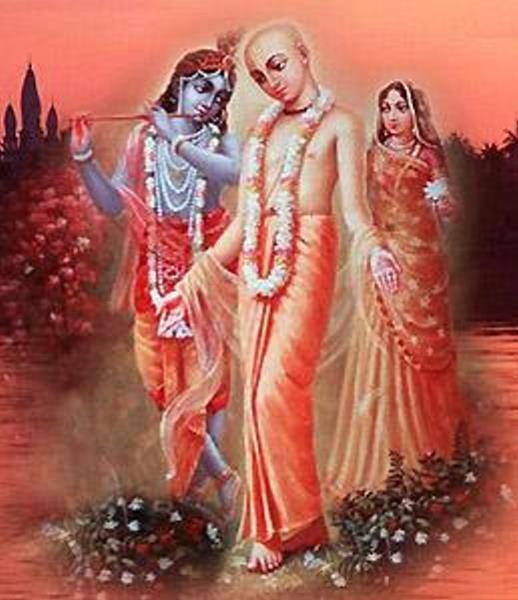 Nityananda is a Vaishnava saint, famous as a primary religious figure within the Gaudiya Vaishnava tradition of Bengal, by whom he is worshipped as an incarnation of Balarama. 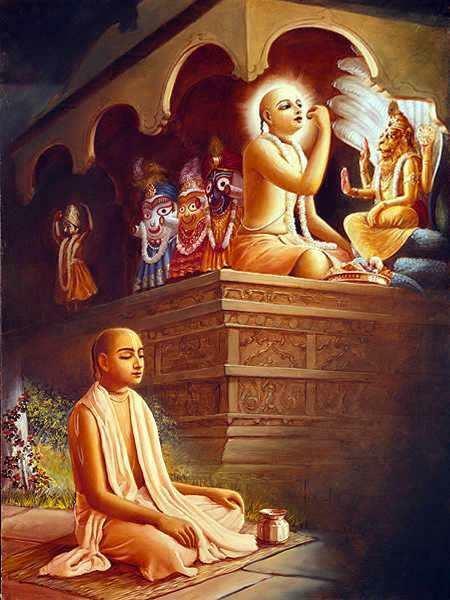 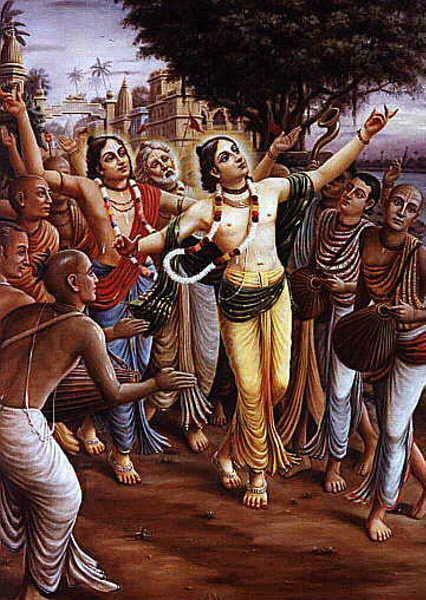 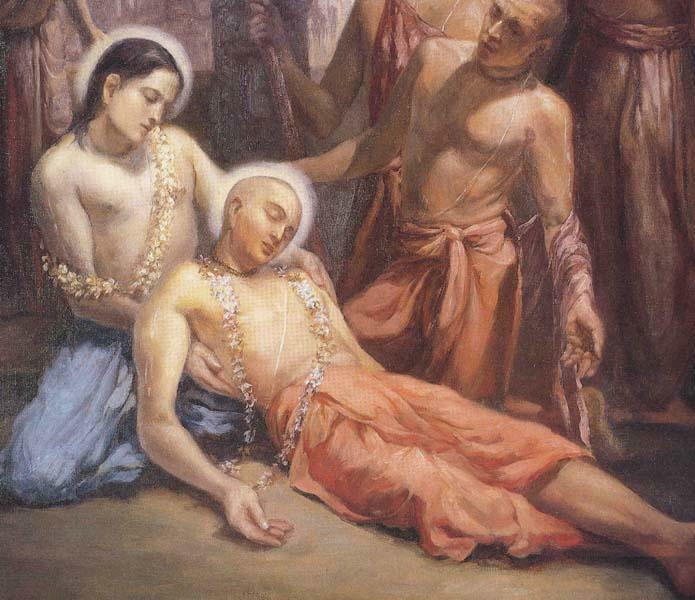 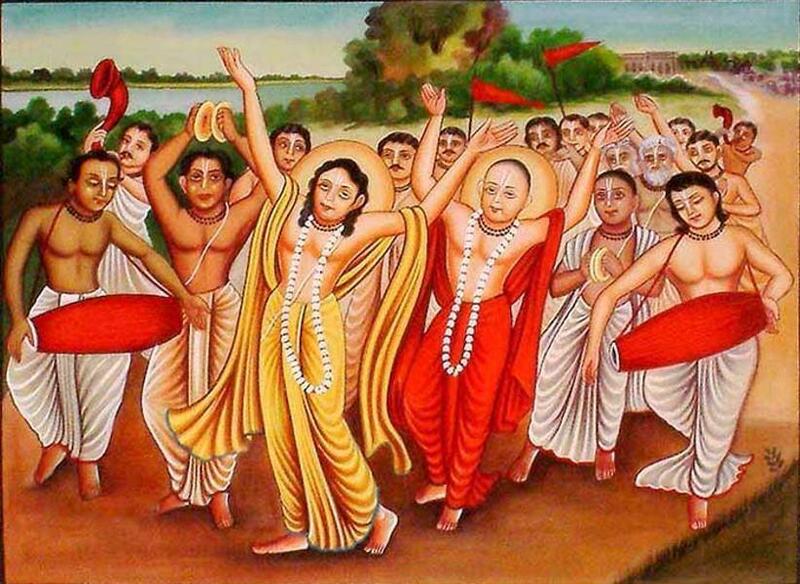 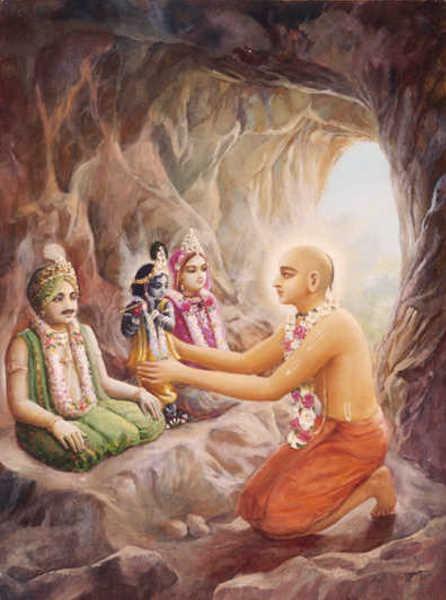 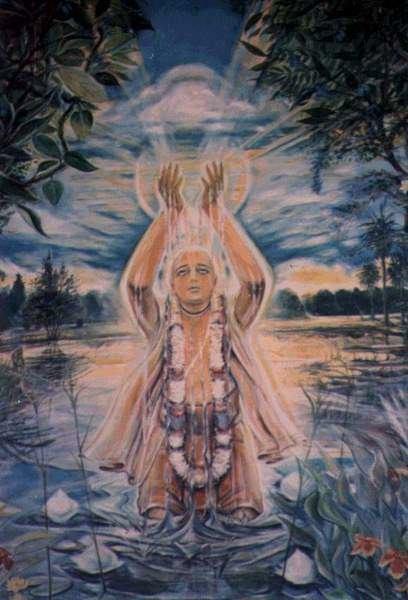 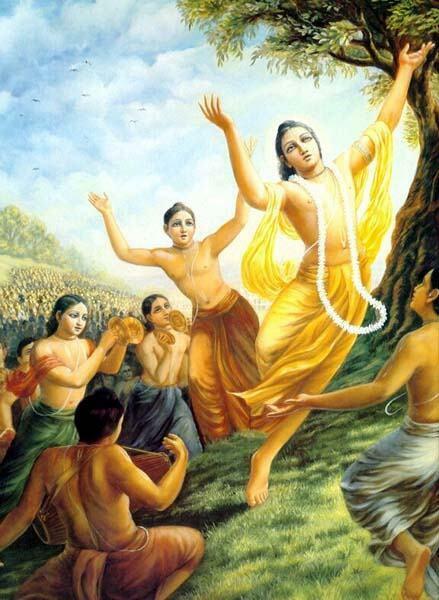 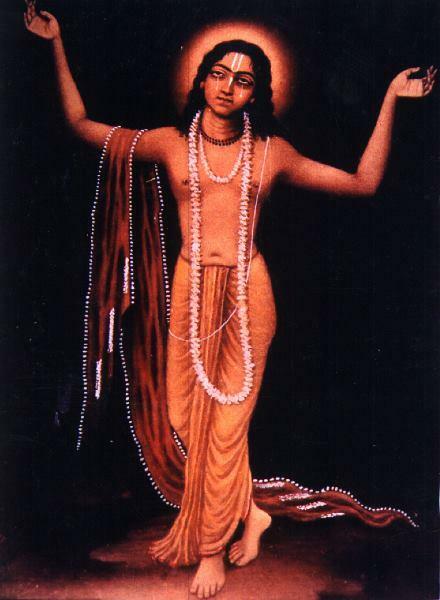 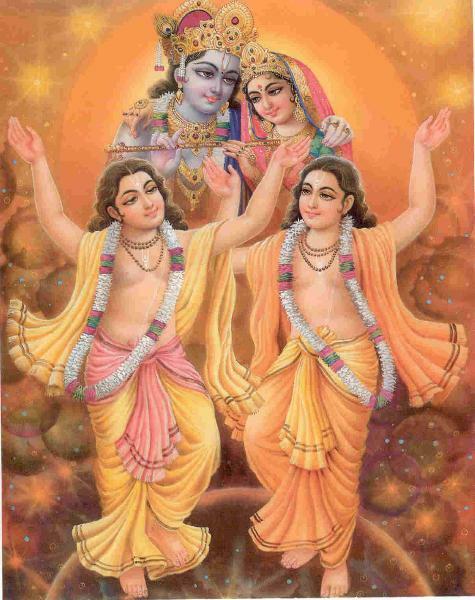 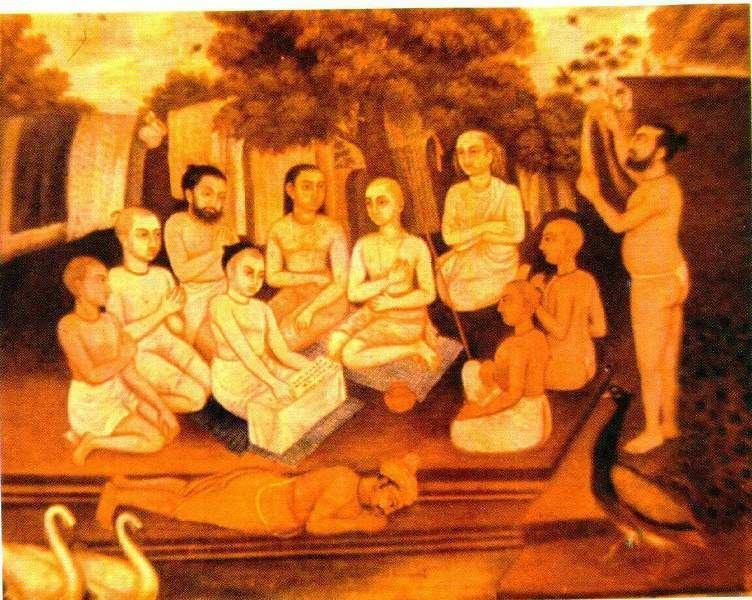 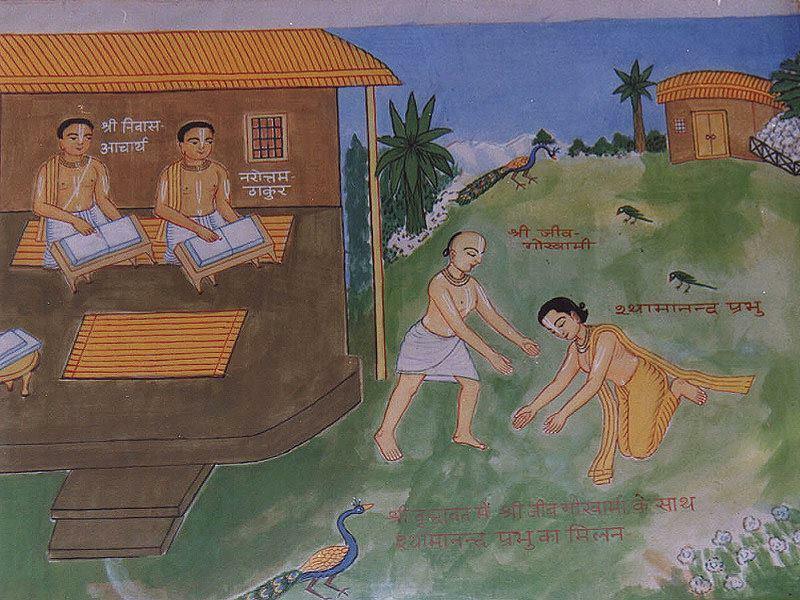 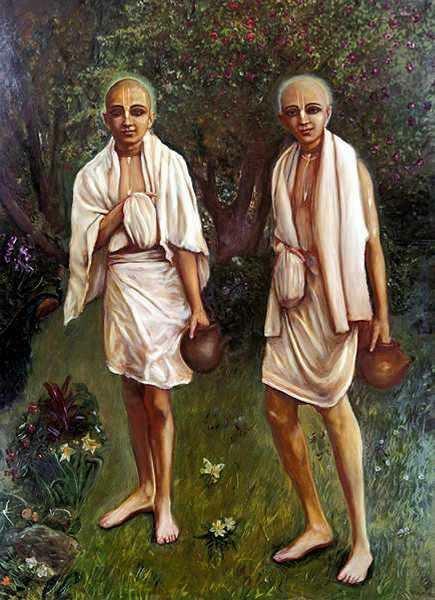 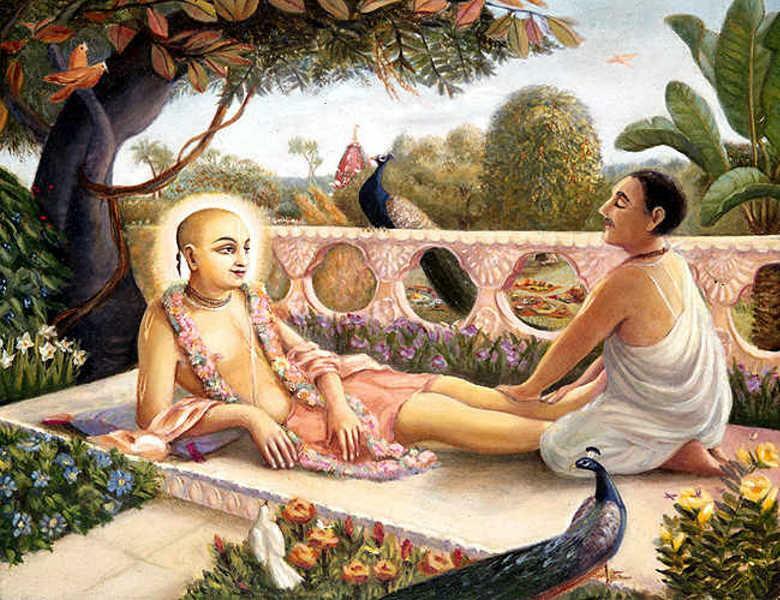 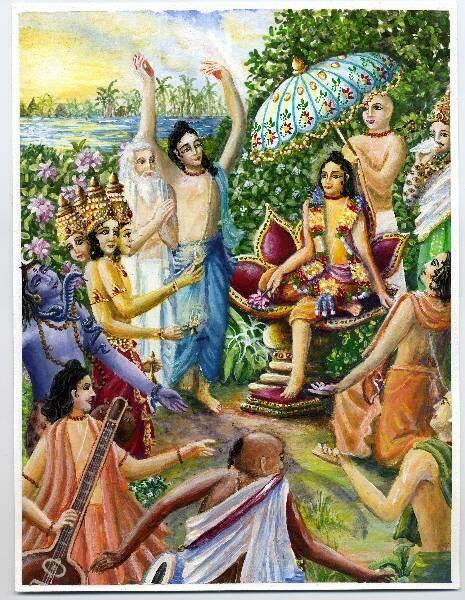 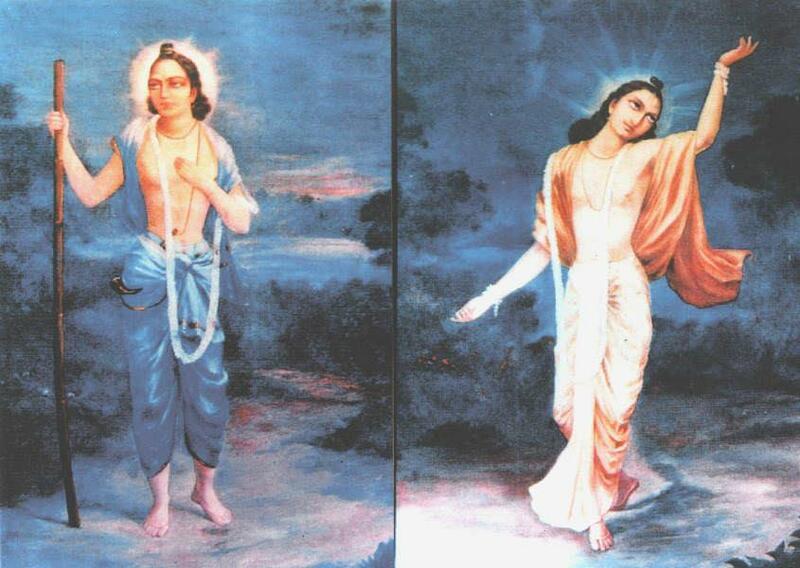 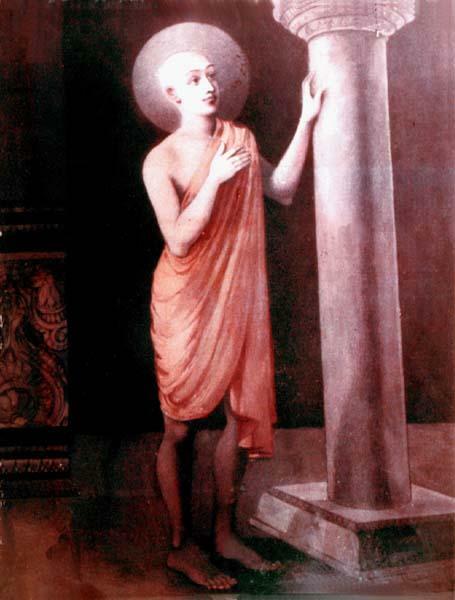 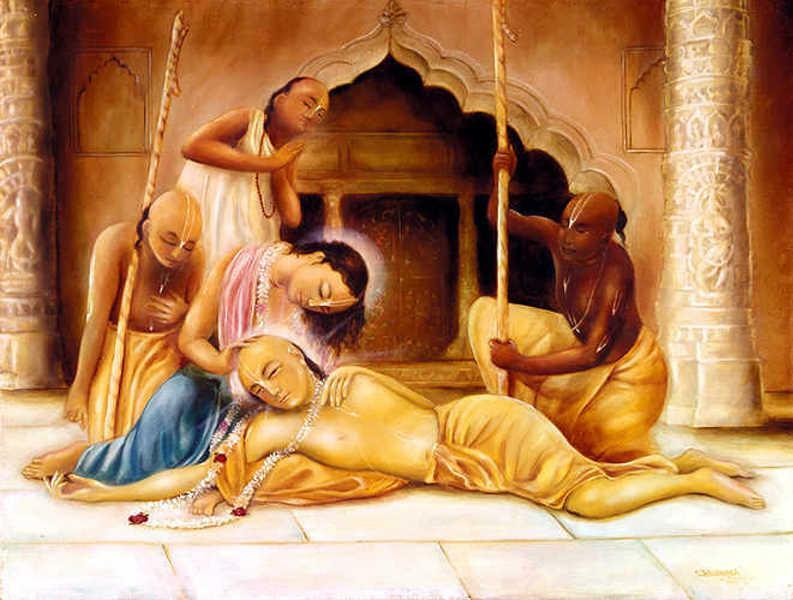 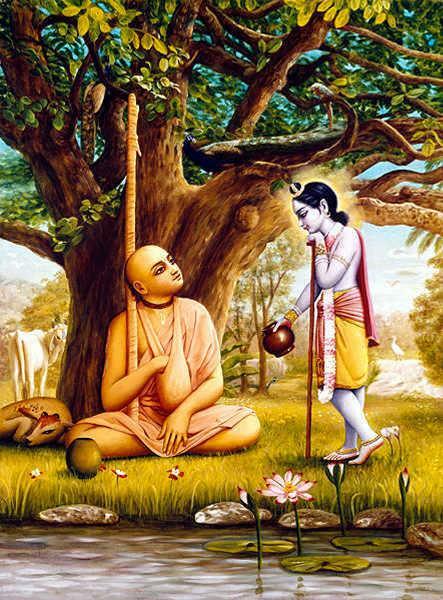 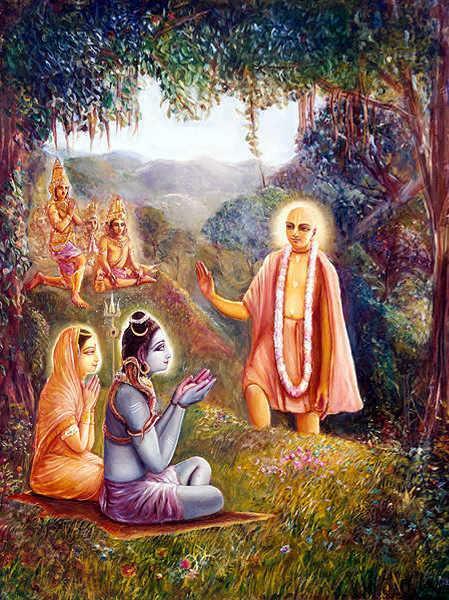 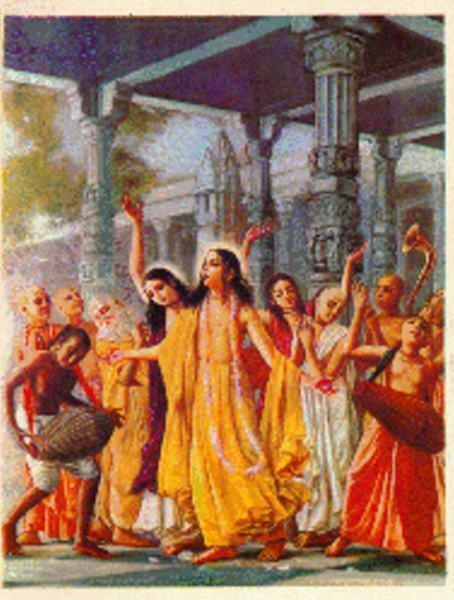 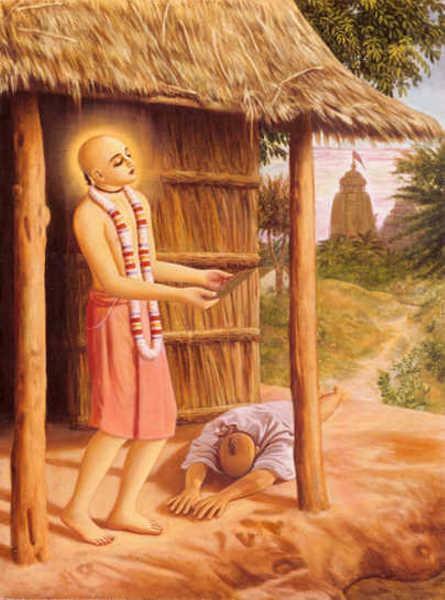 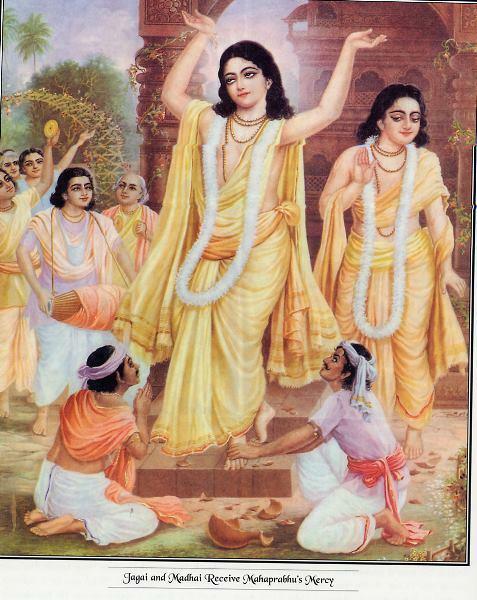 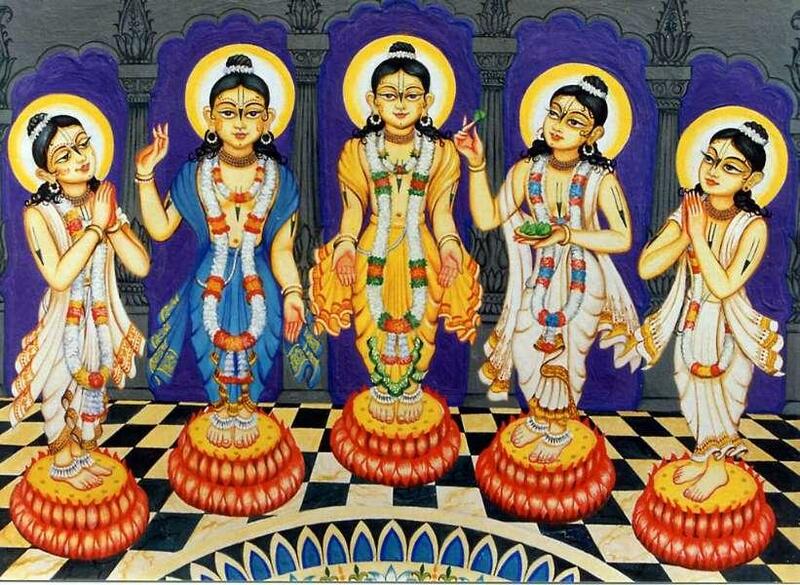 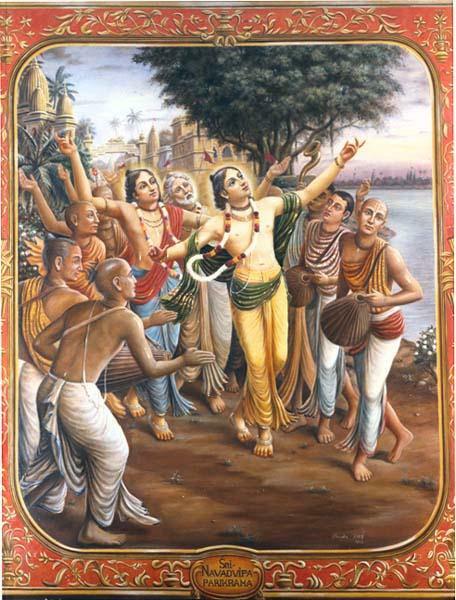 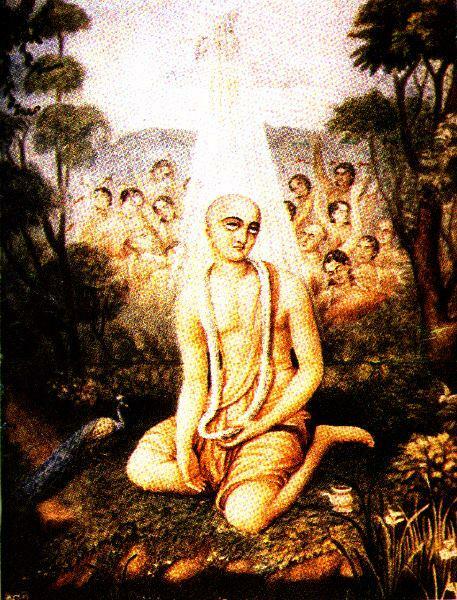 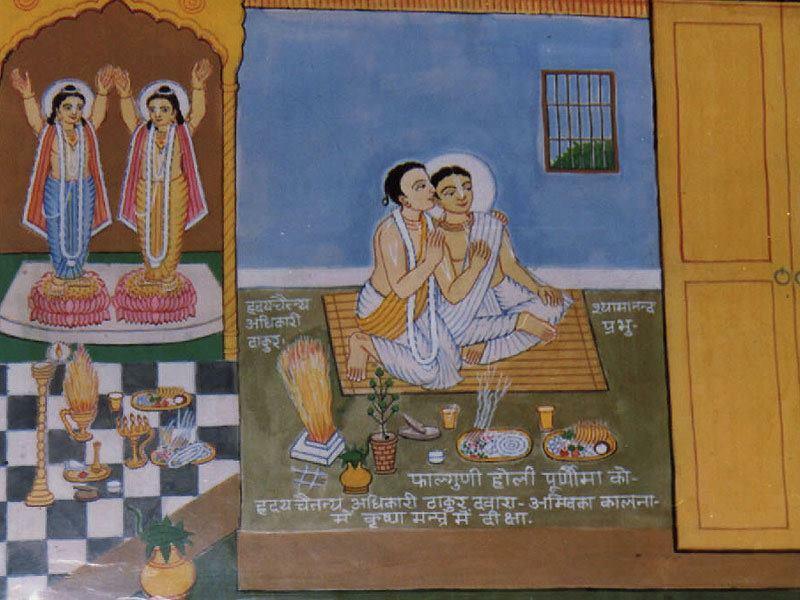 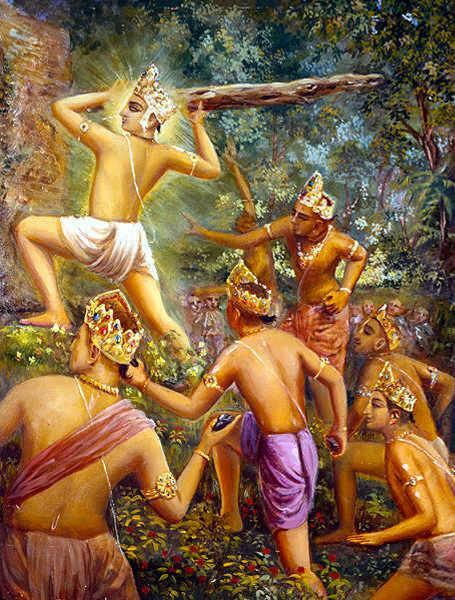 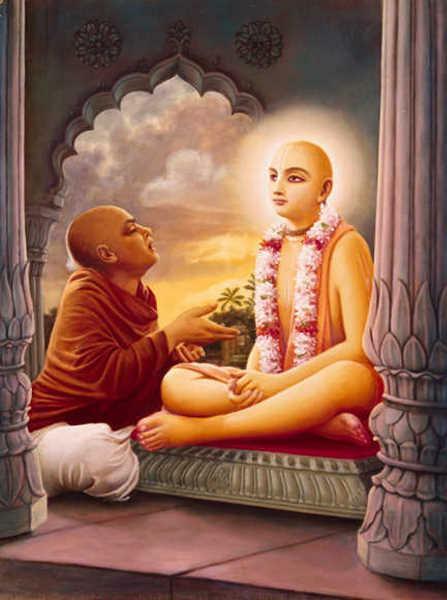 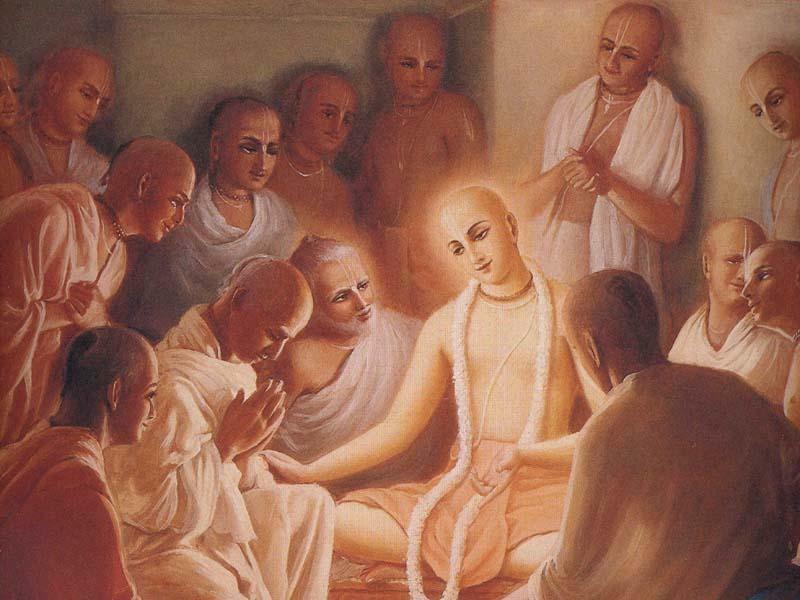 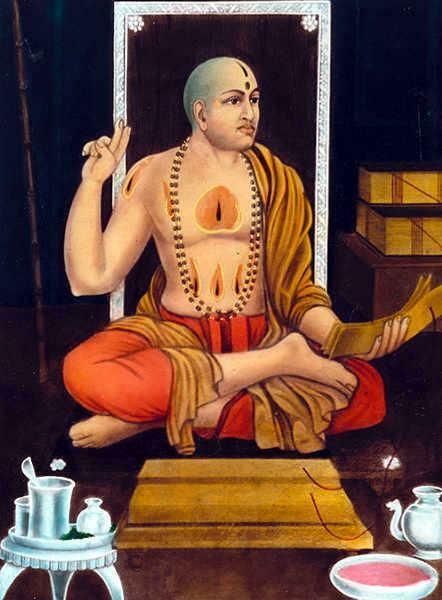 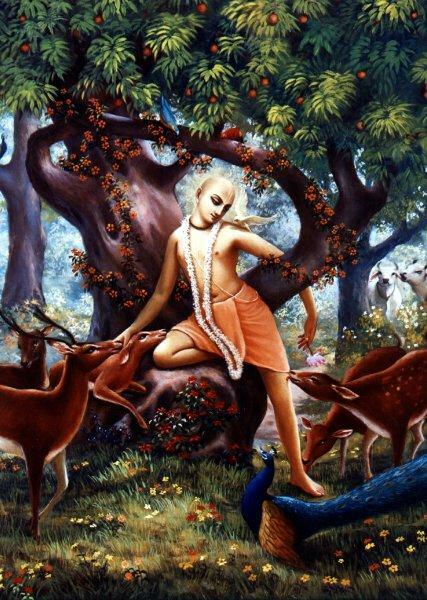 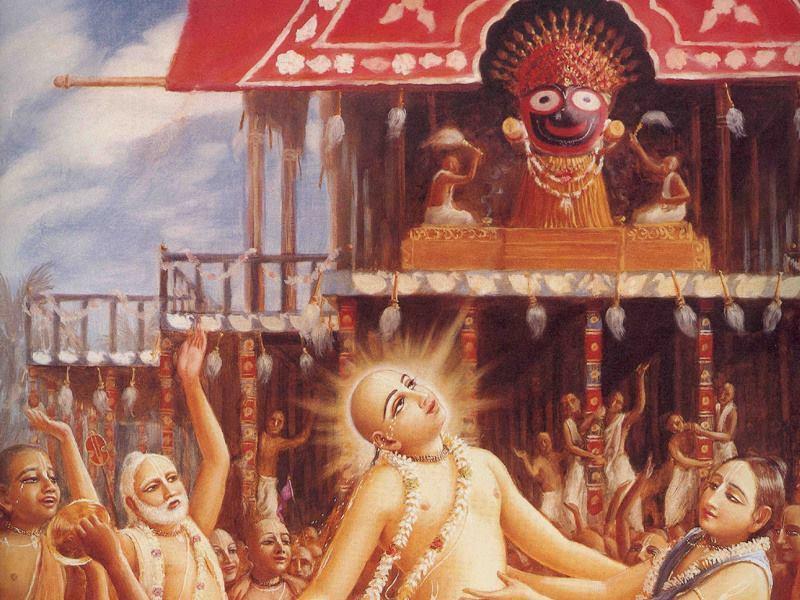 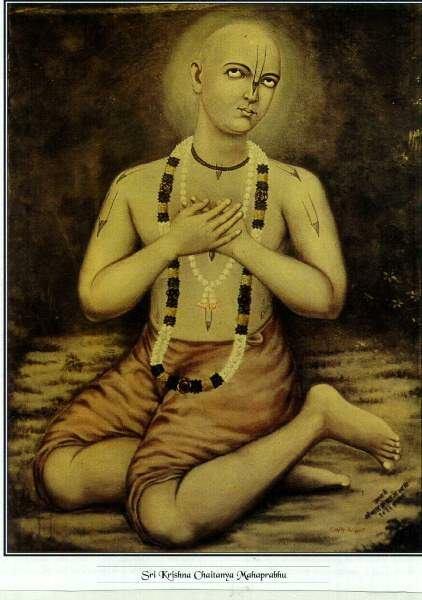 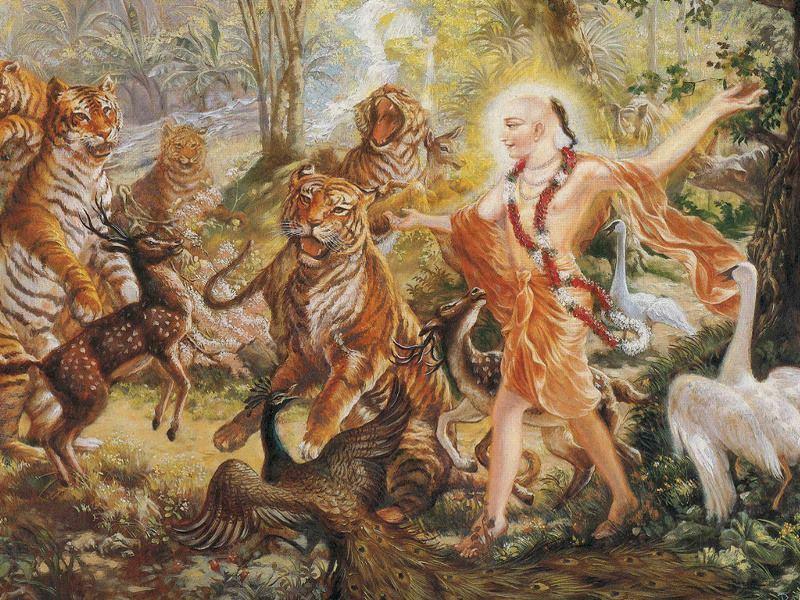 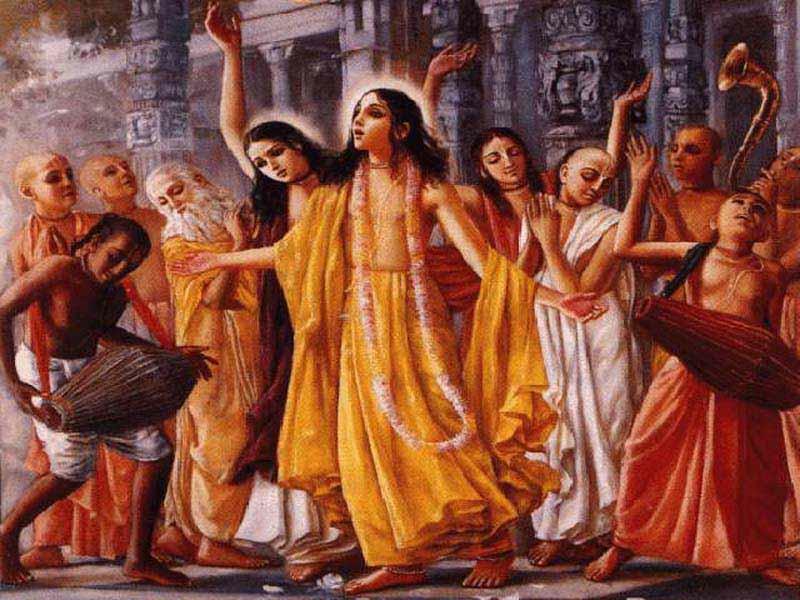 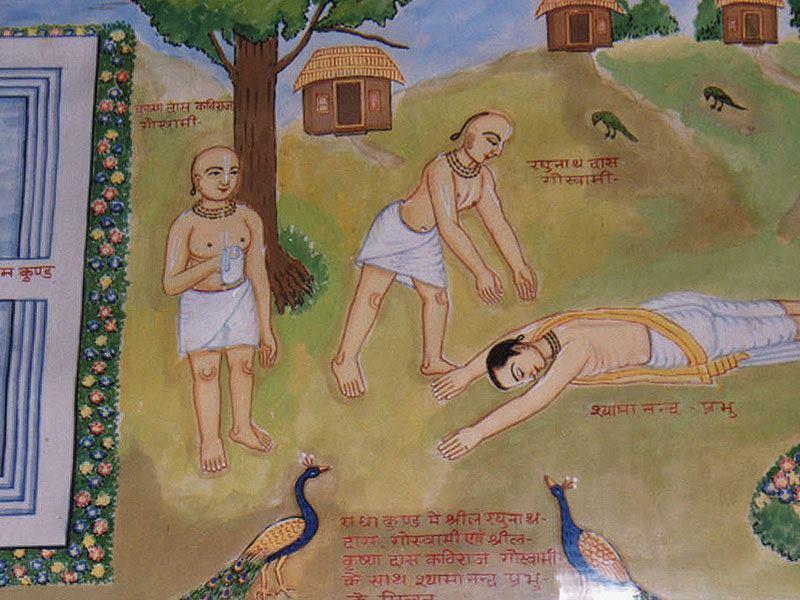 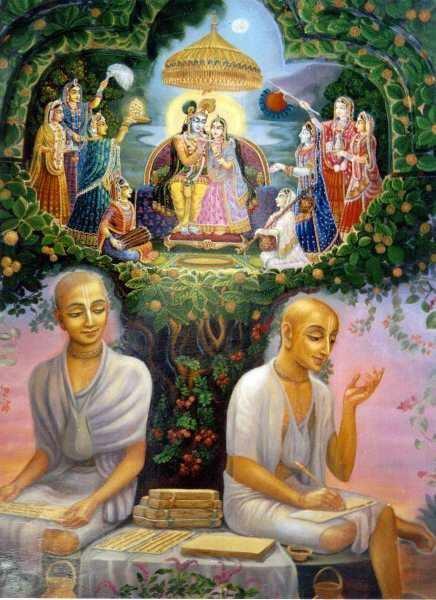 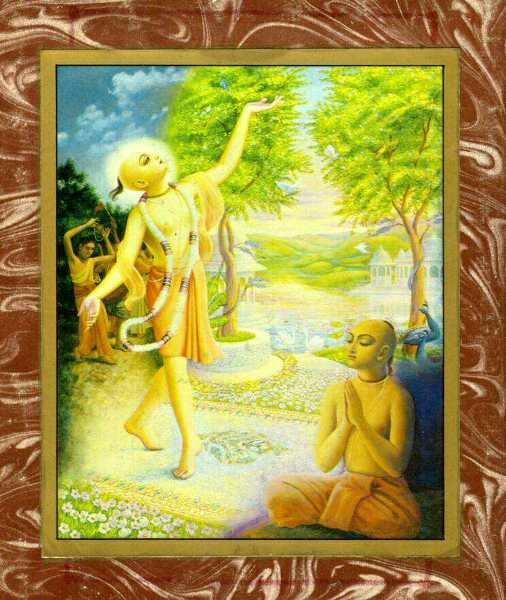 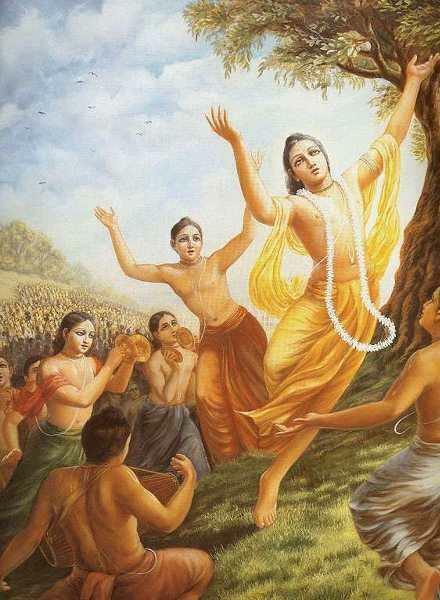 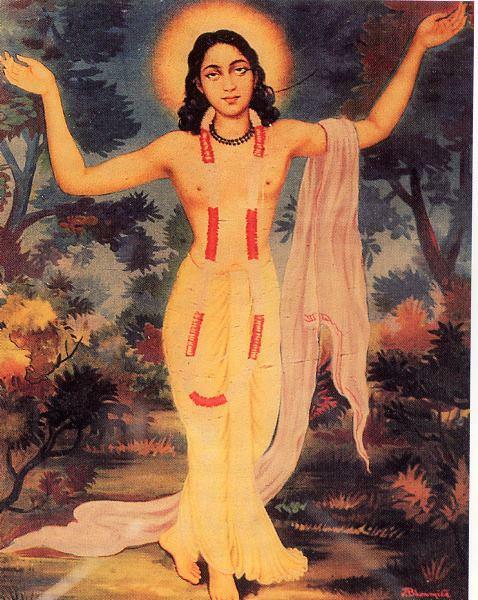 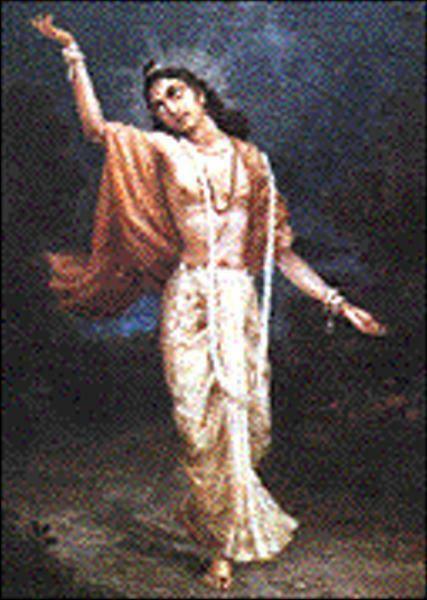 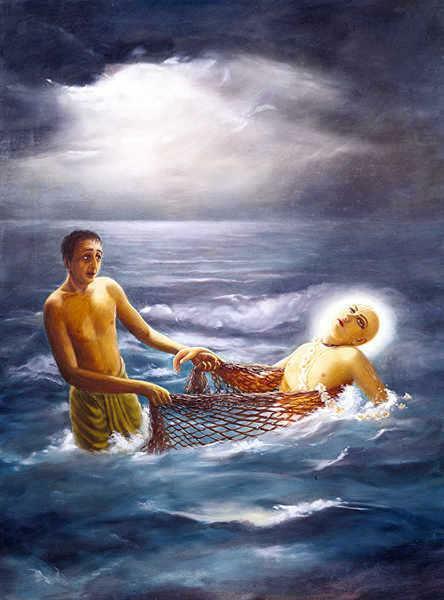 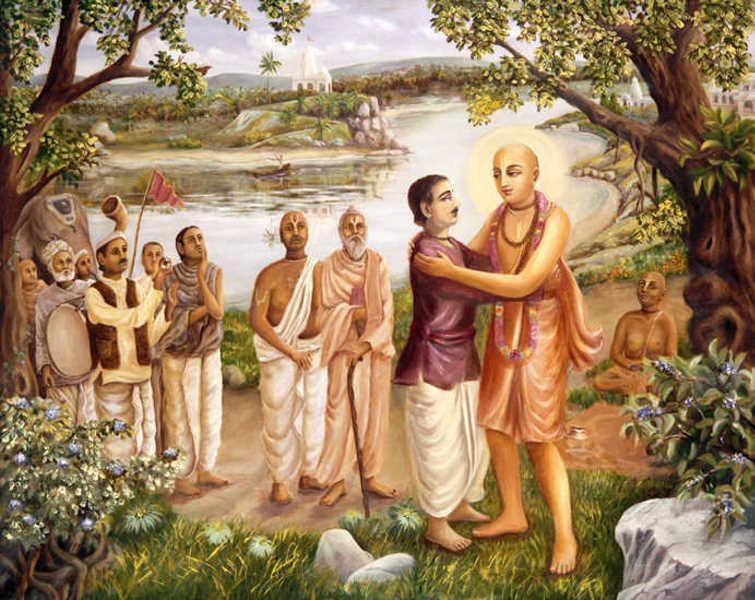 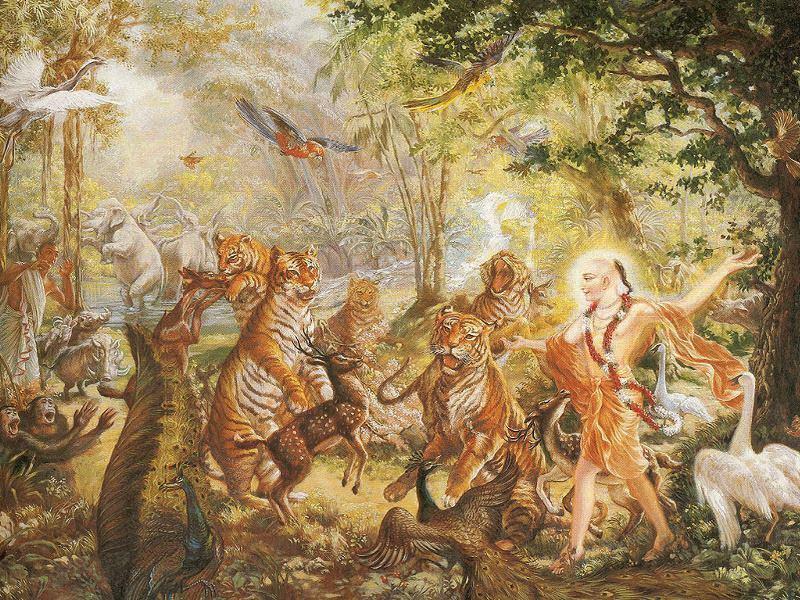 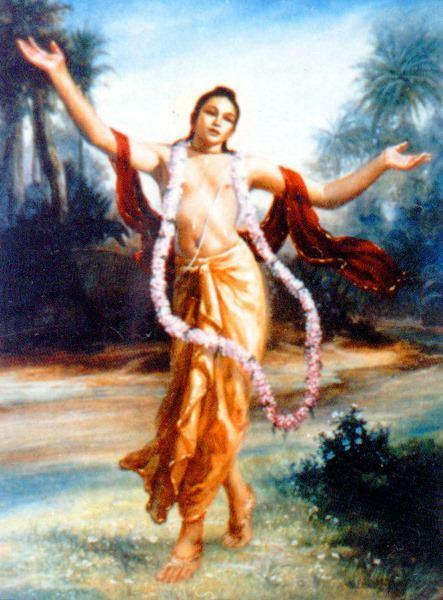 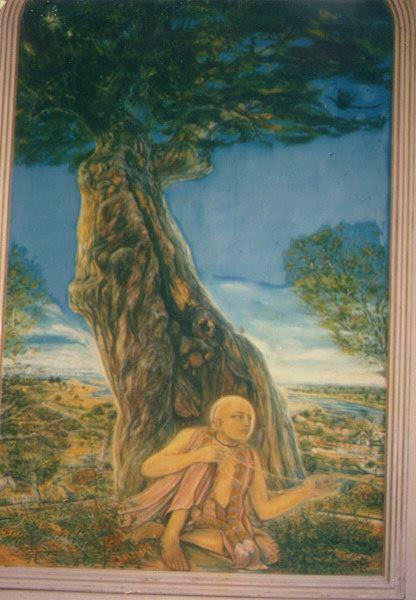 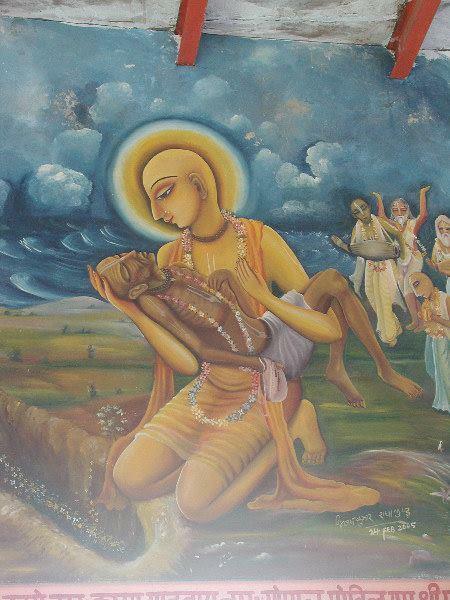 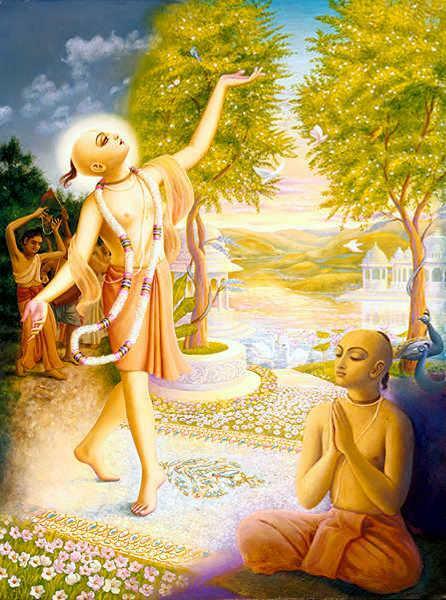 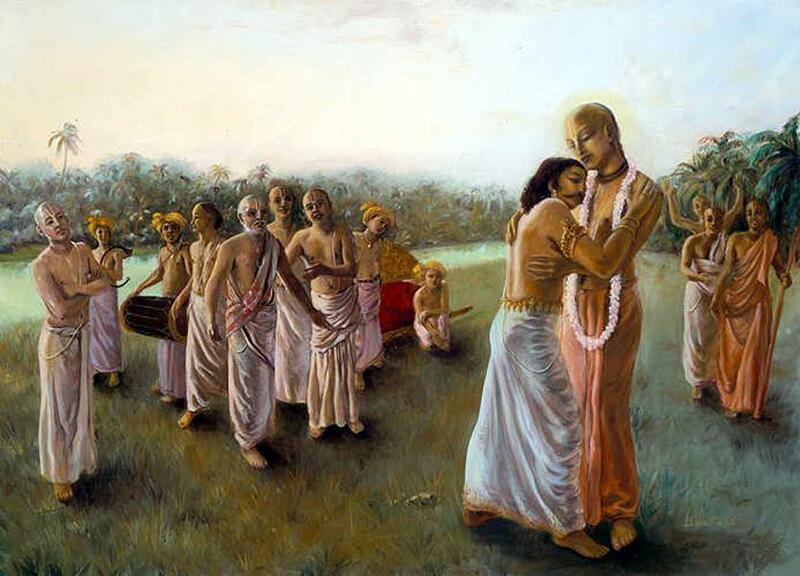 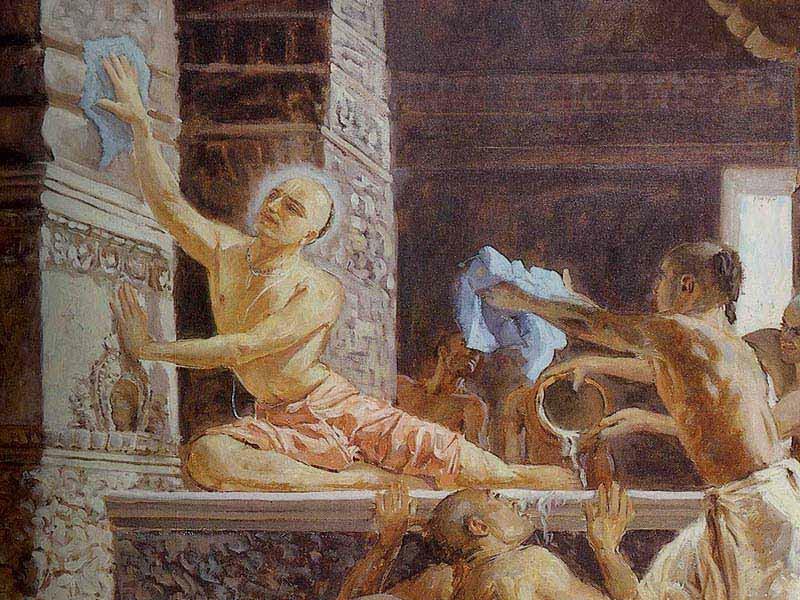 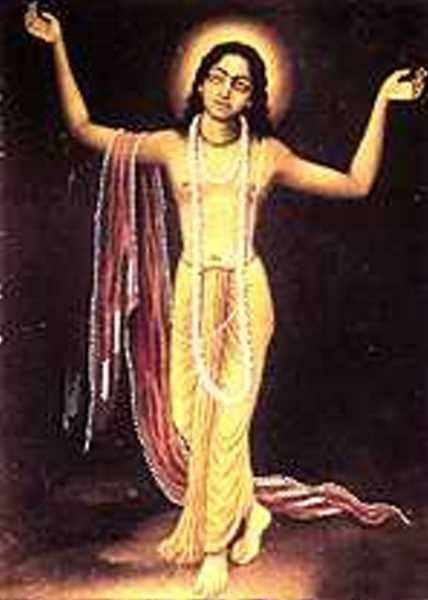 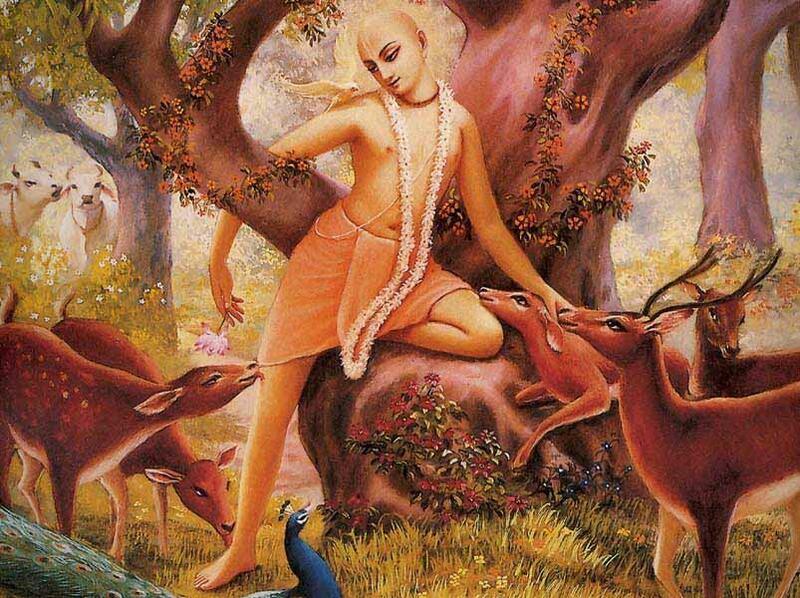 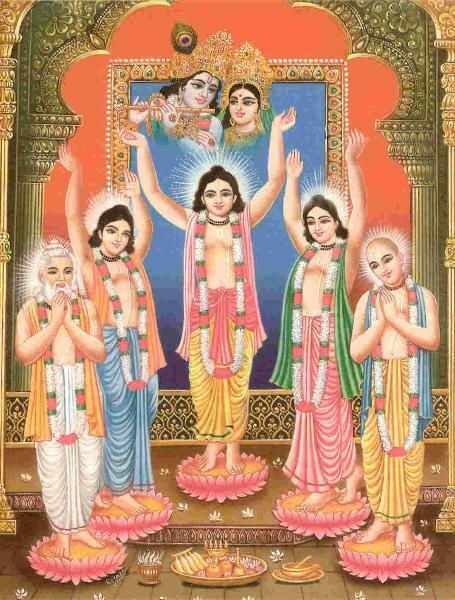 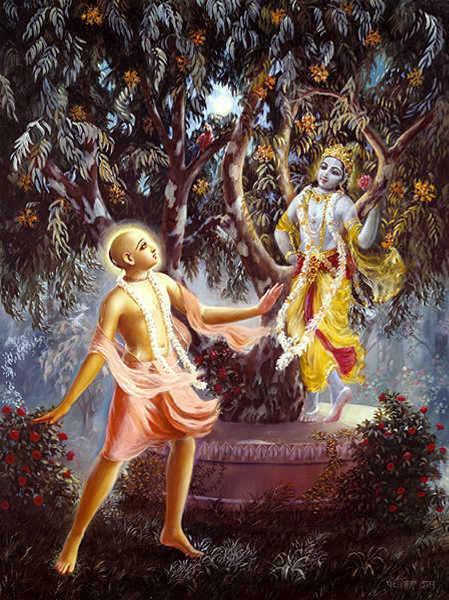 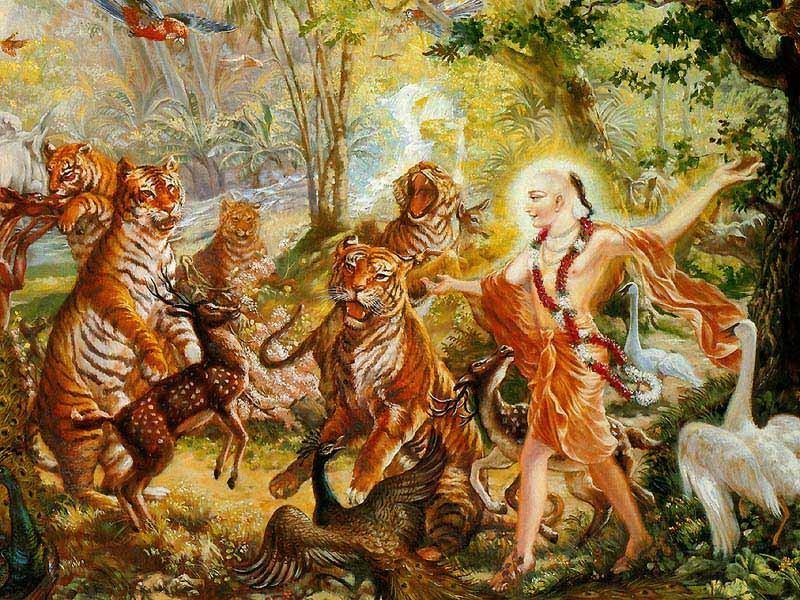 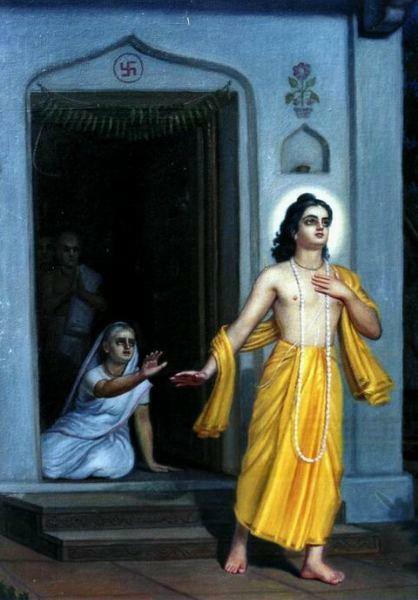 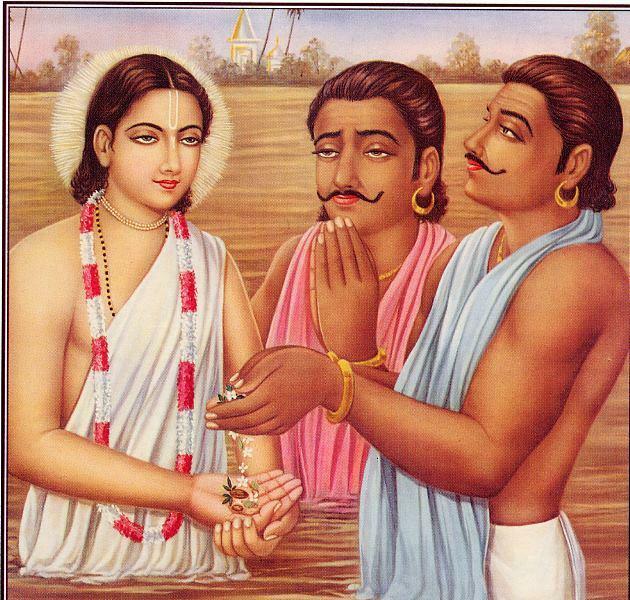 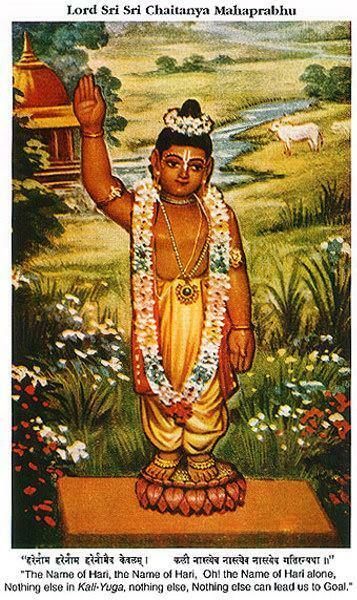 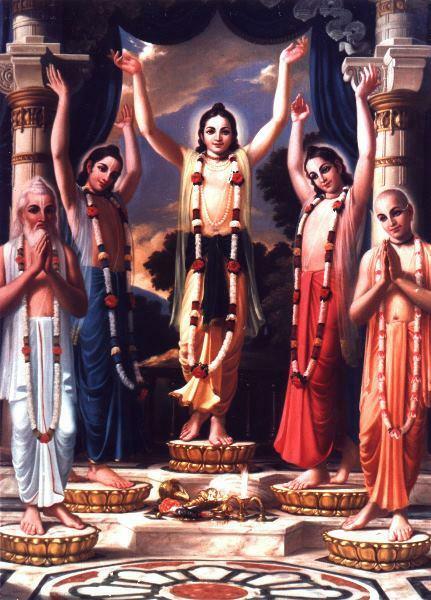 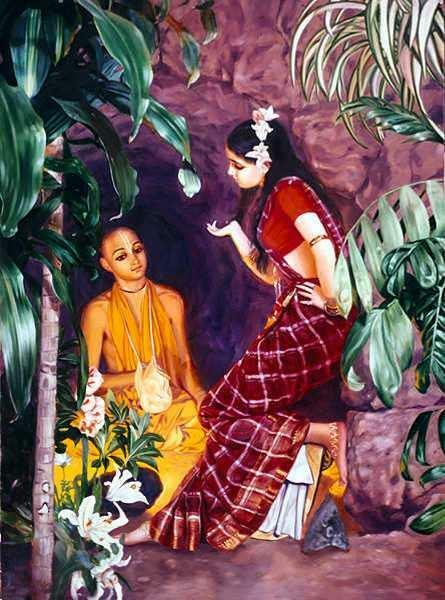 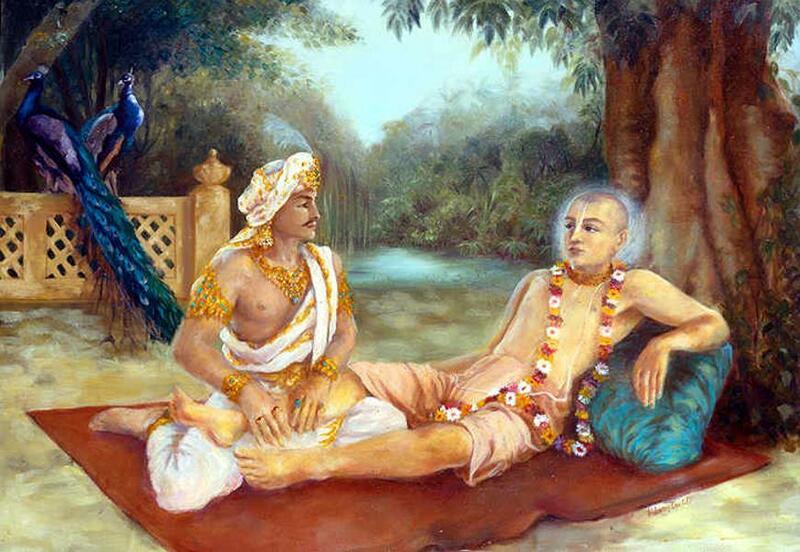 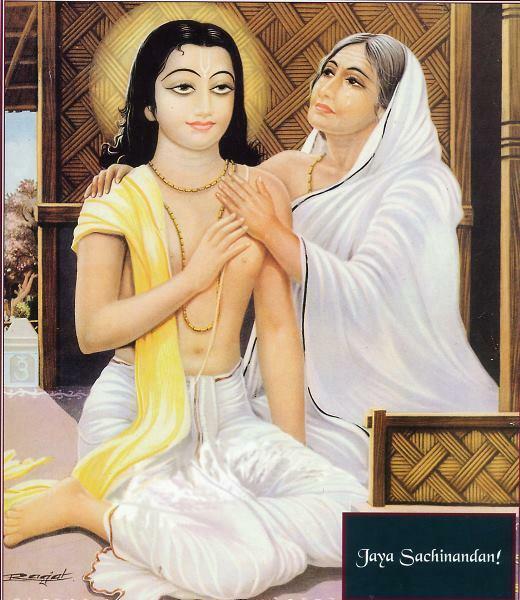 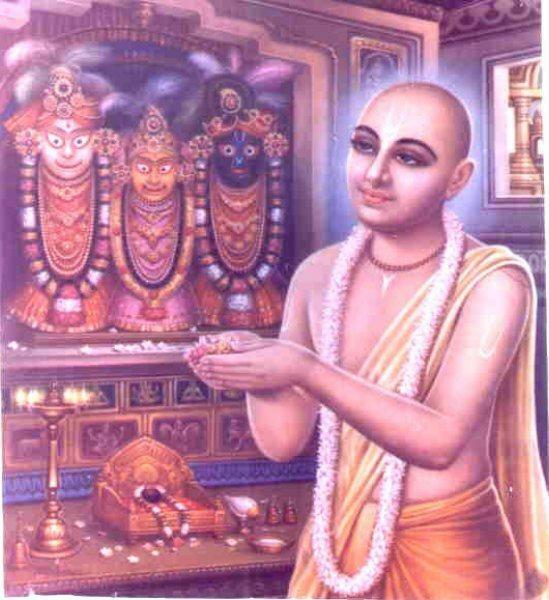 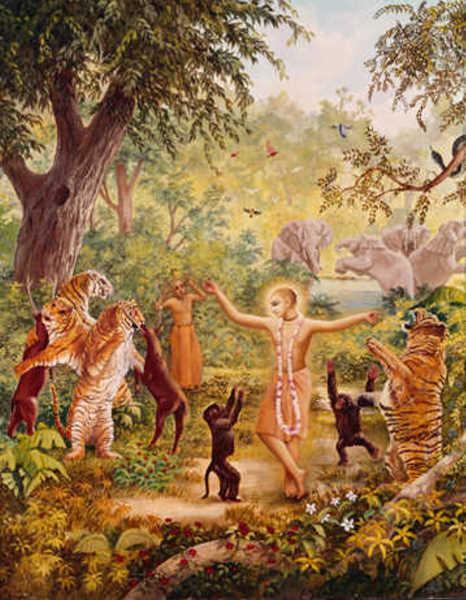 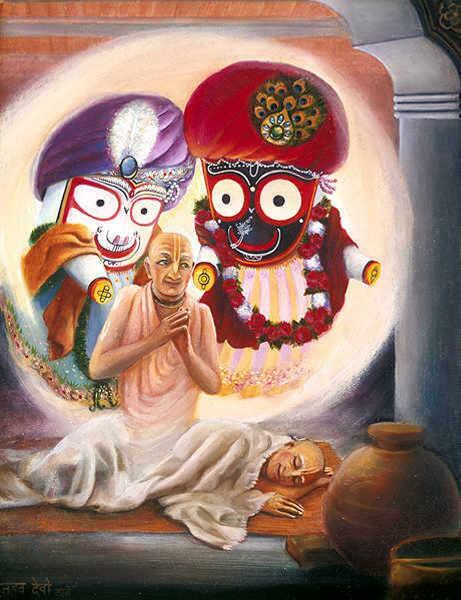 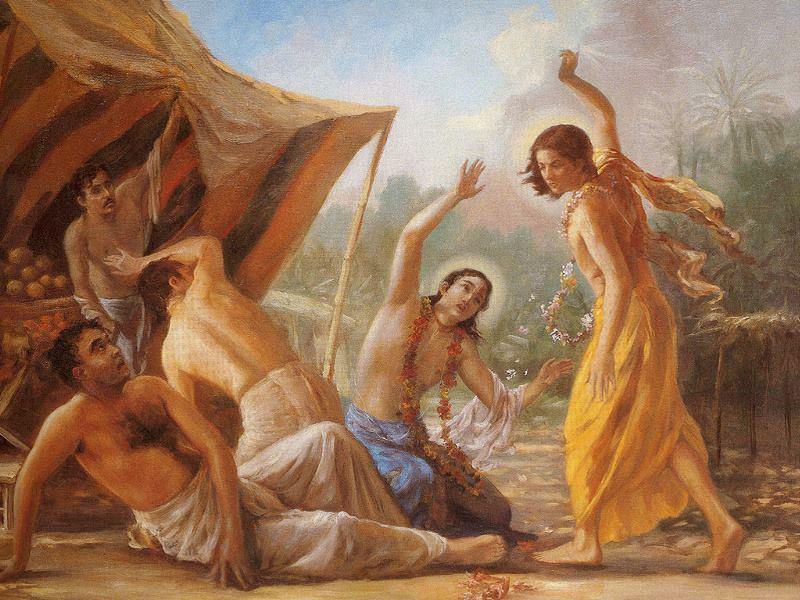 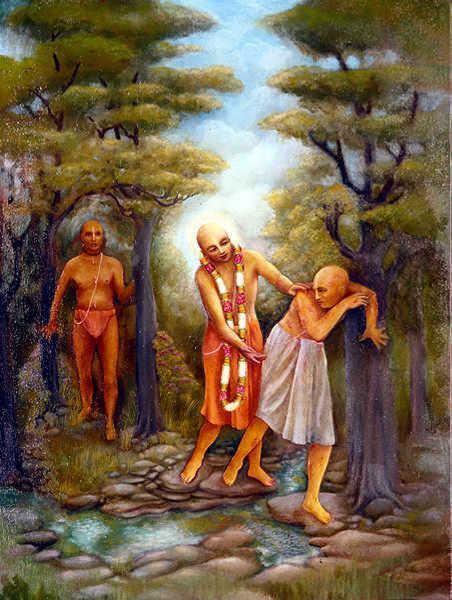 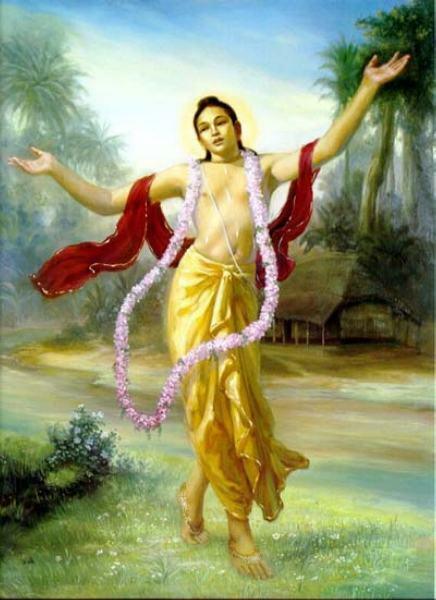 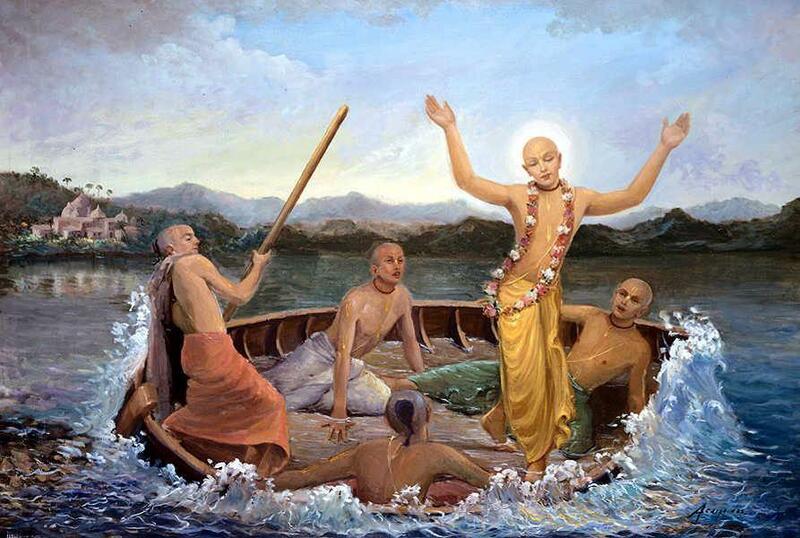 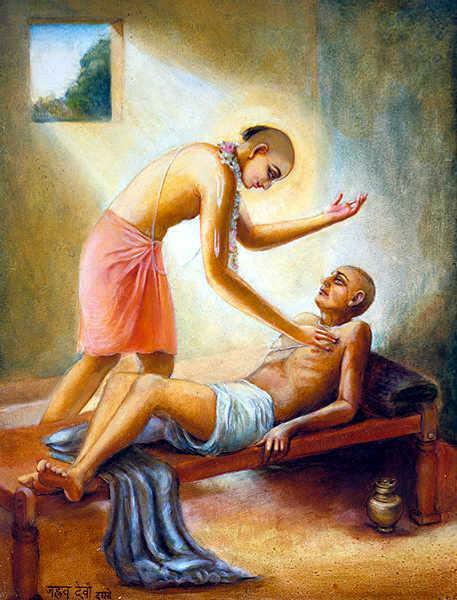 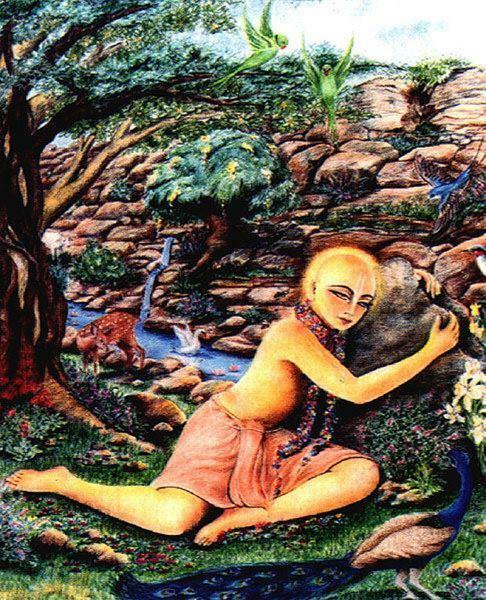 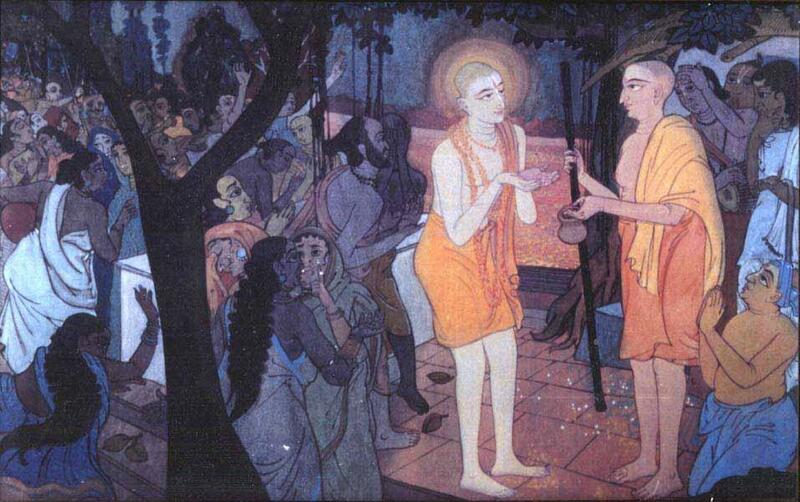 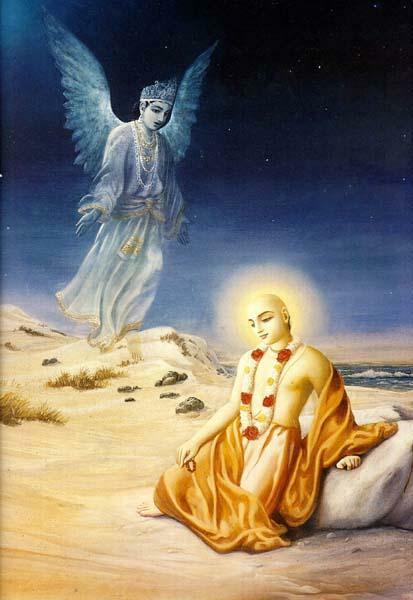 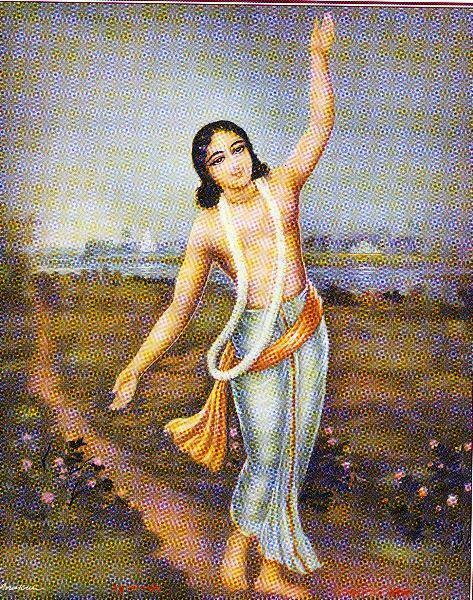 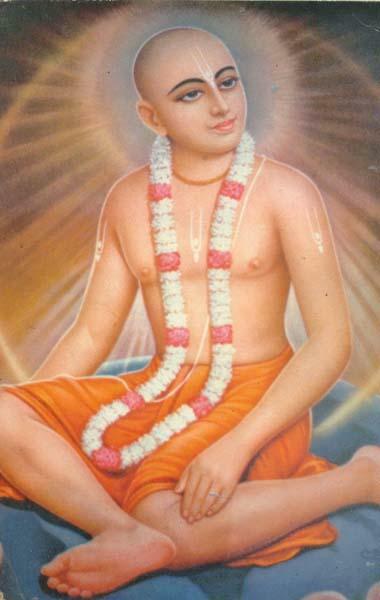 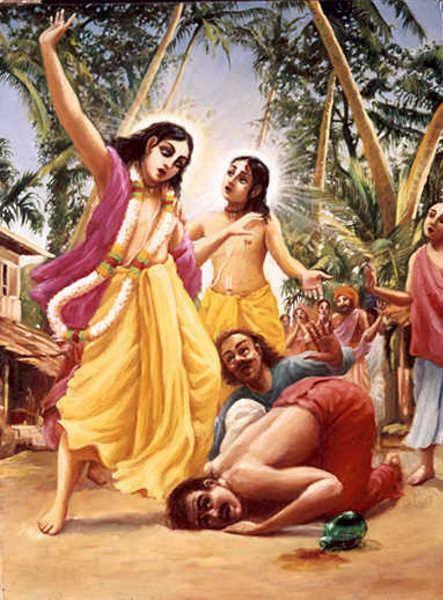 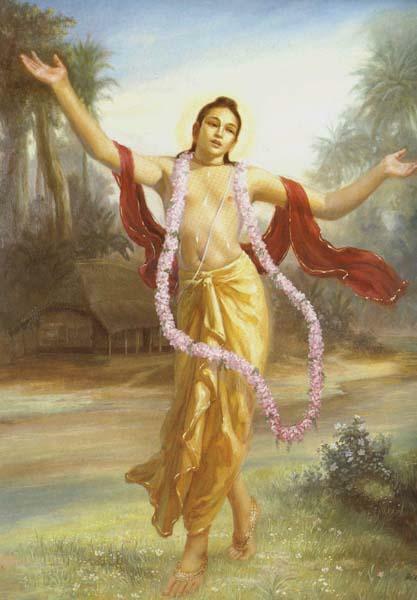 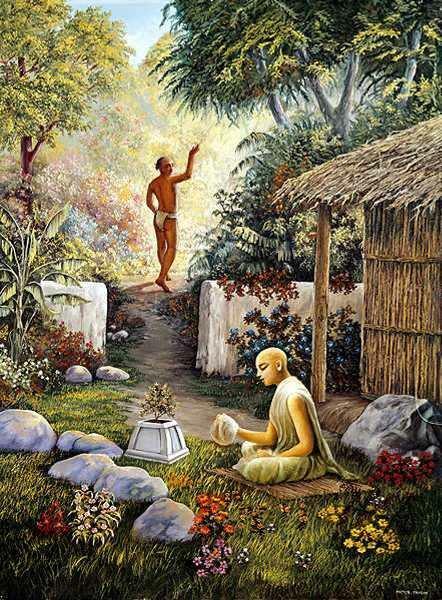 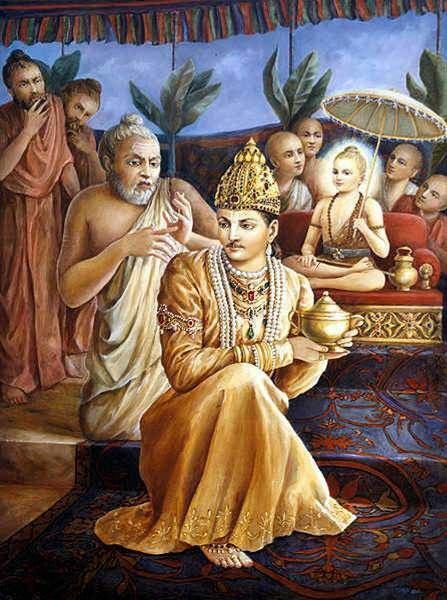 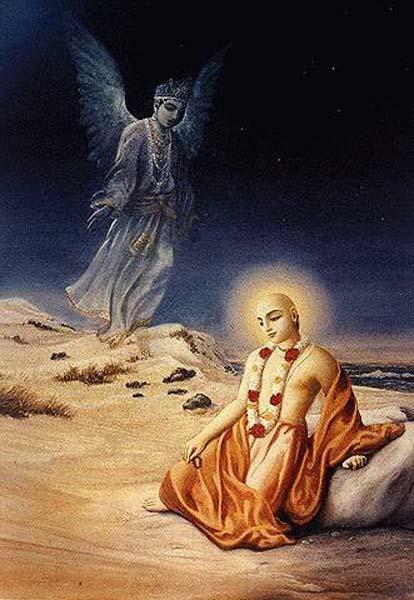 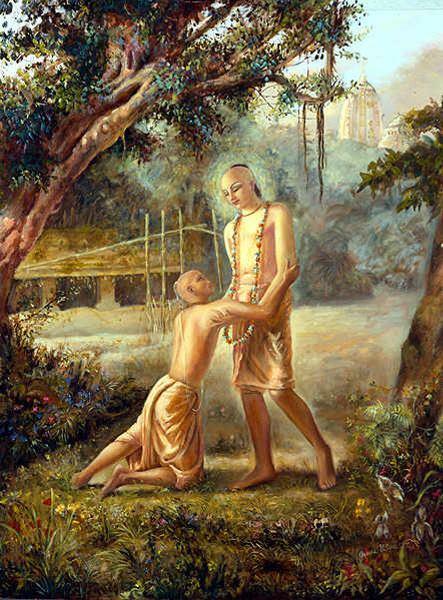 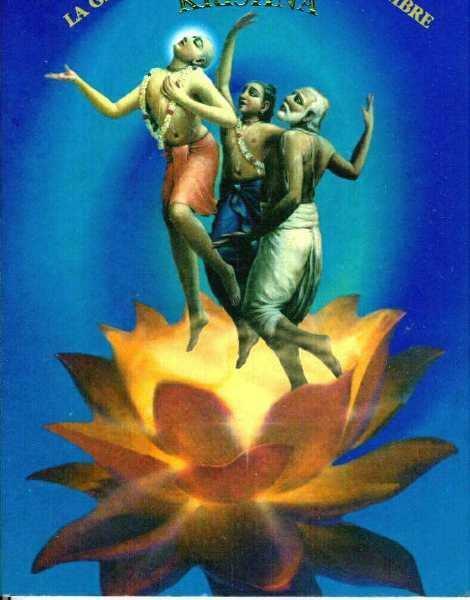 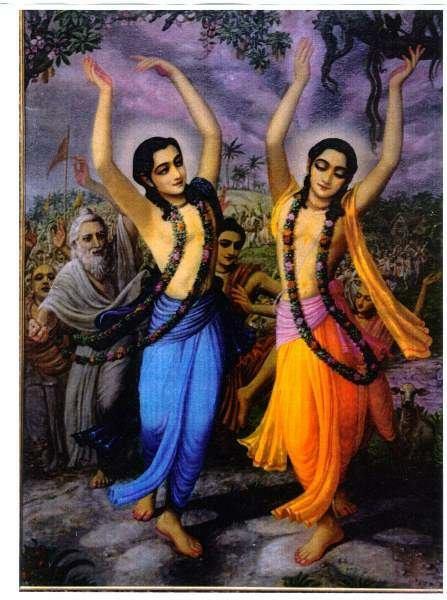 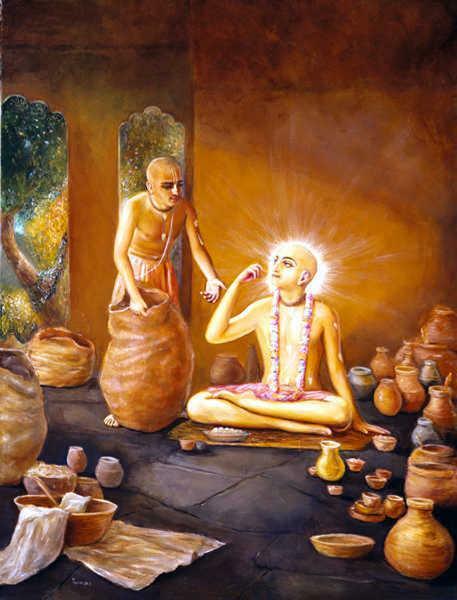 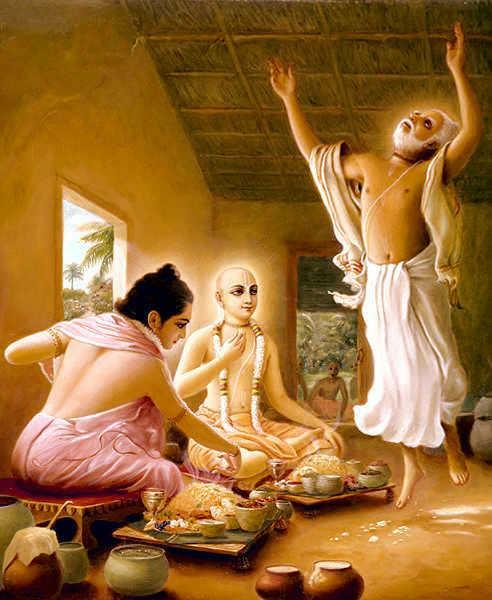 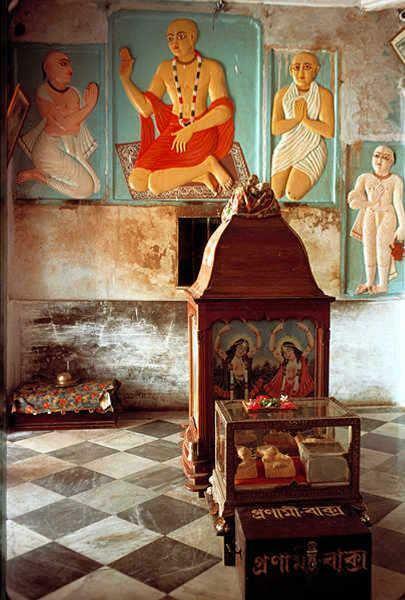 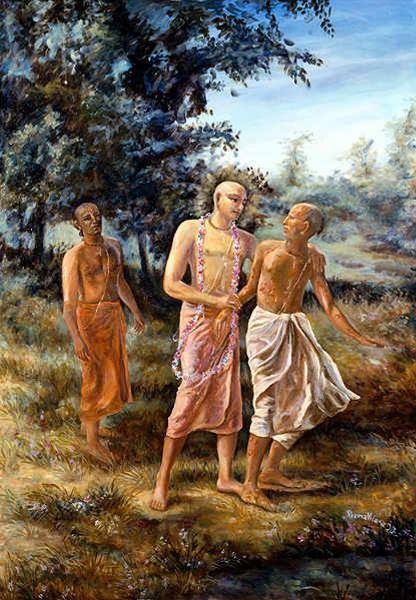 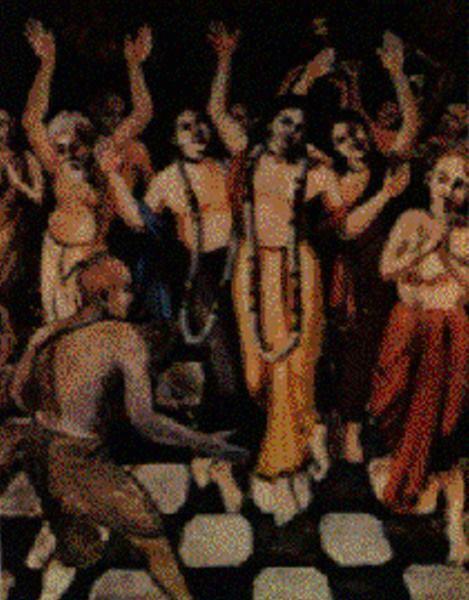 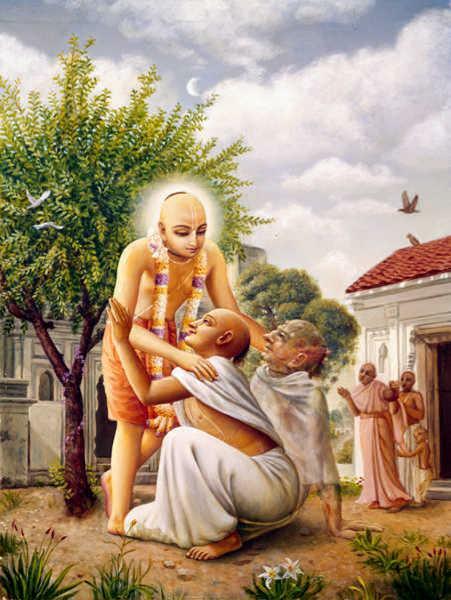 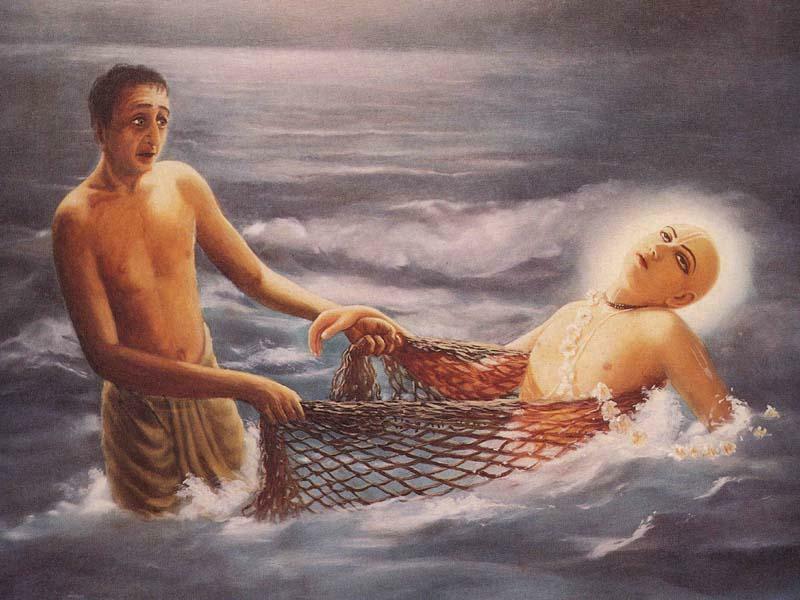 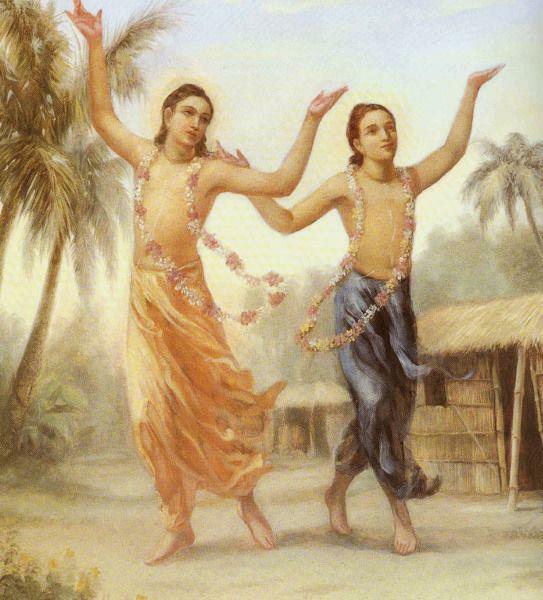 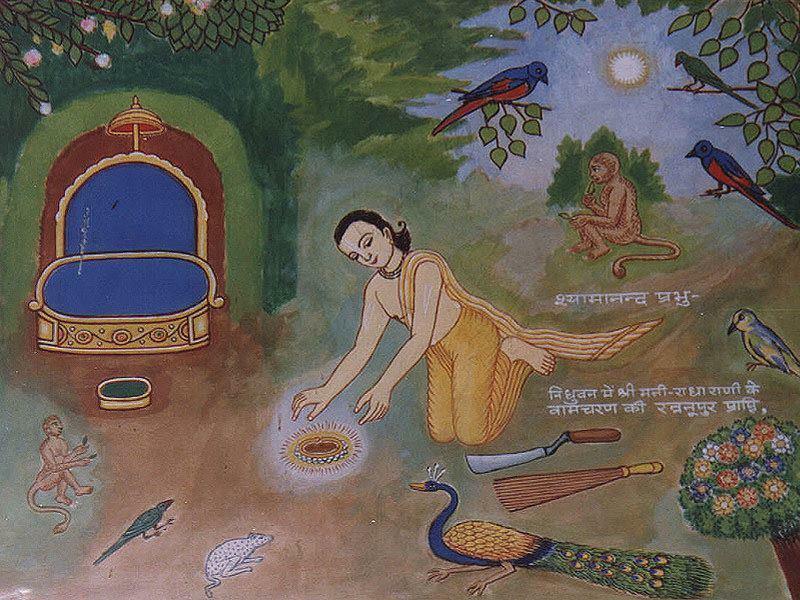 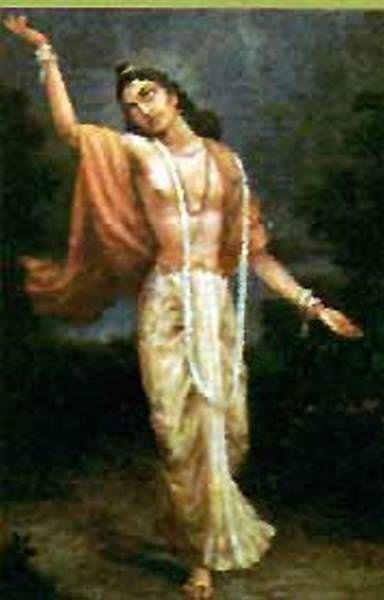 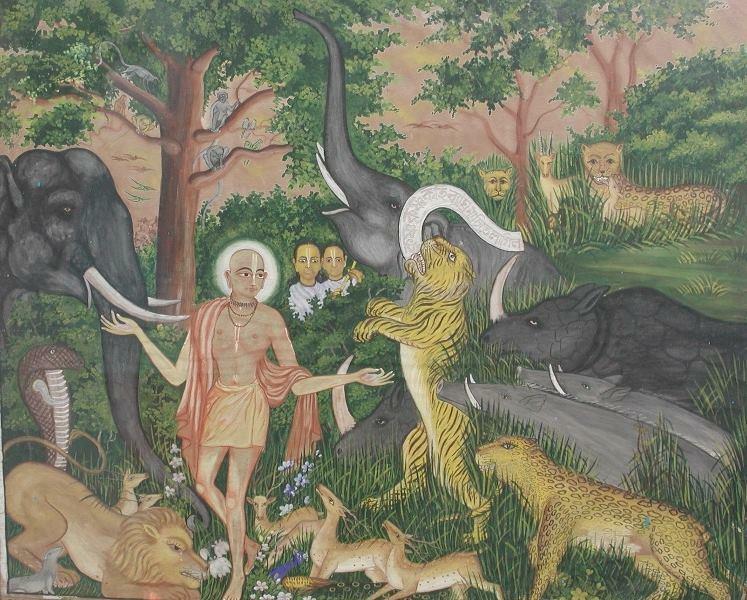 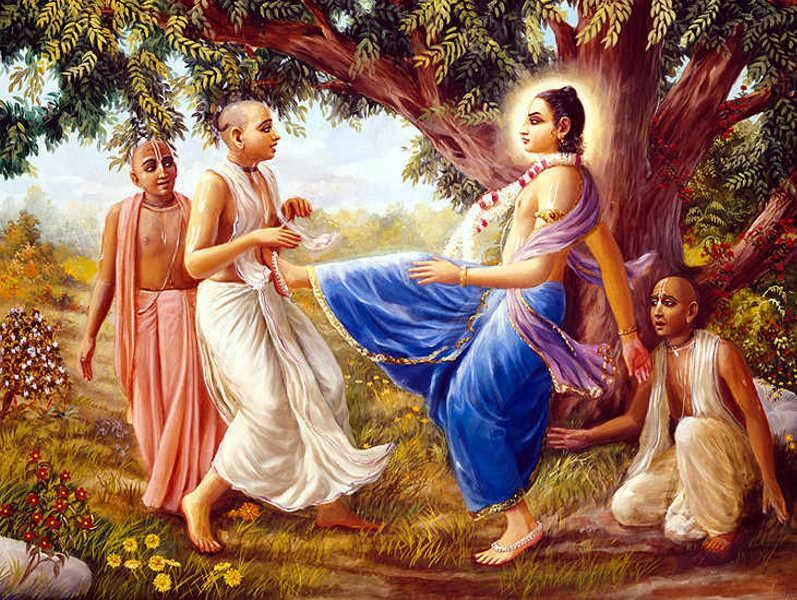 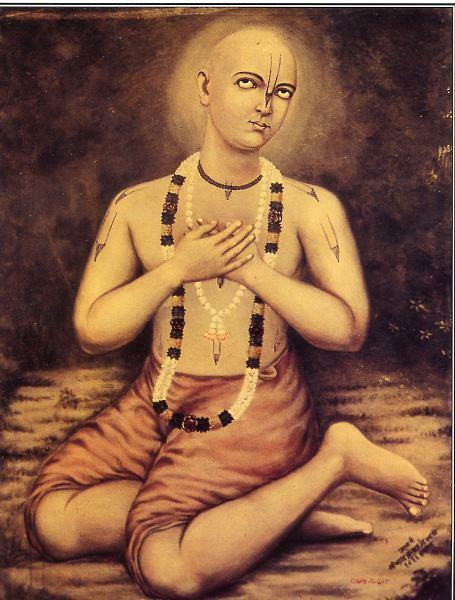 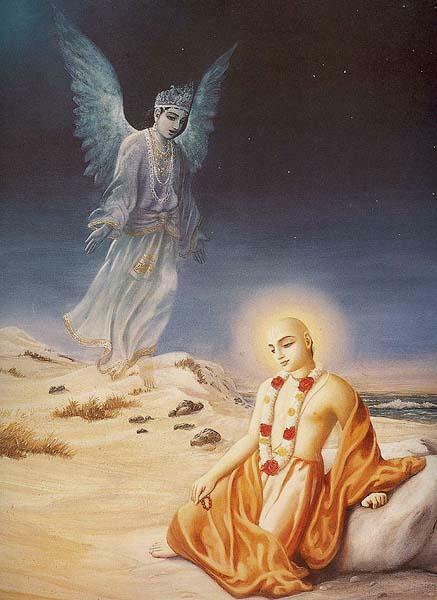 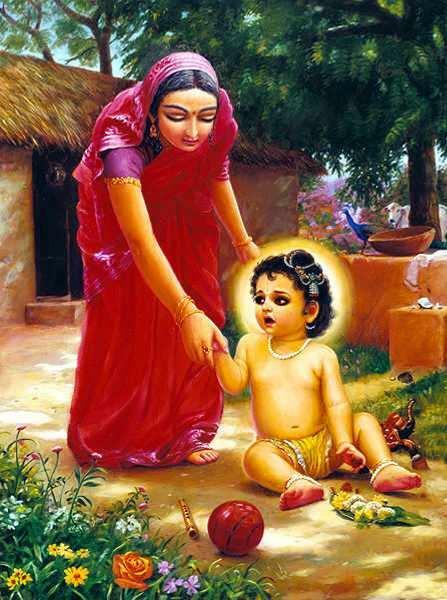 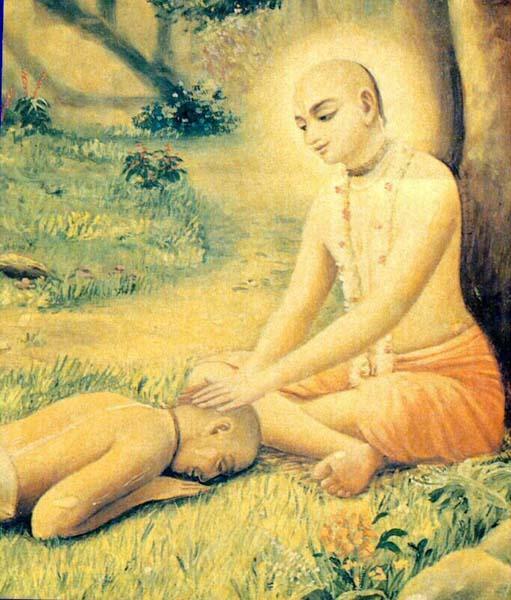 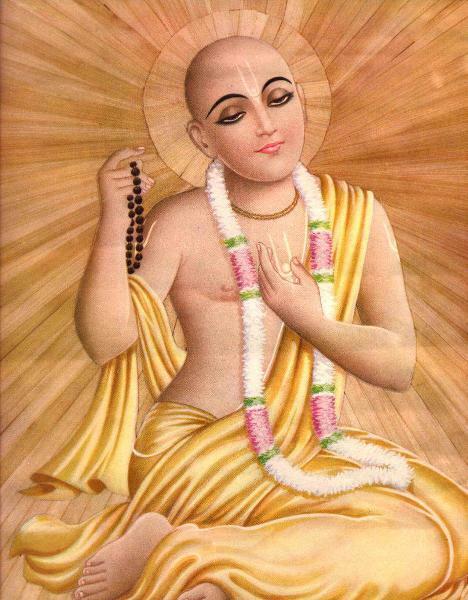 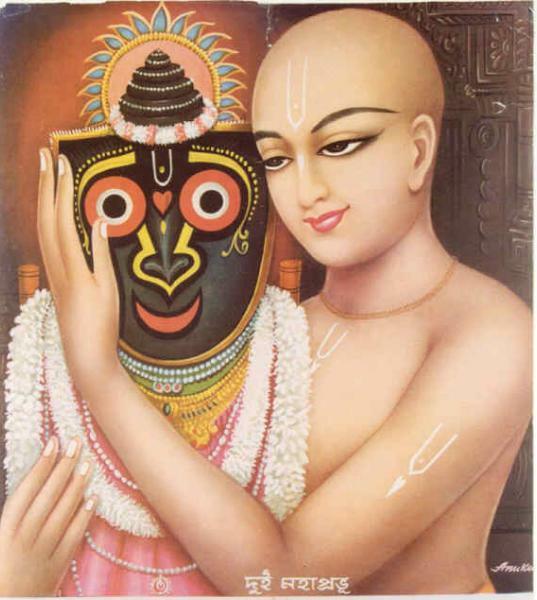 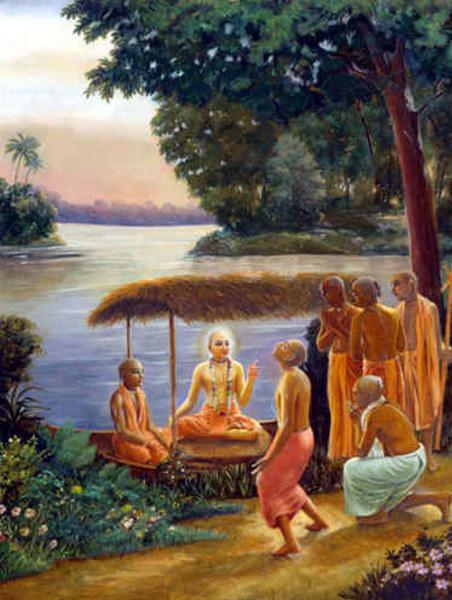 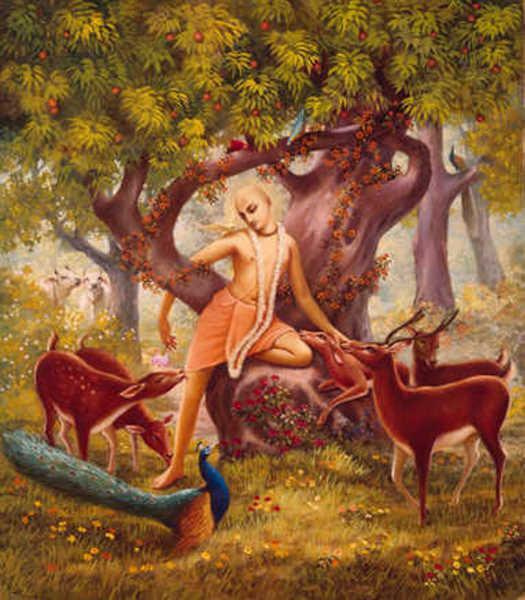 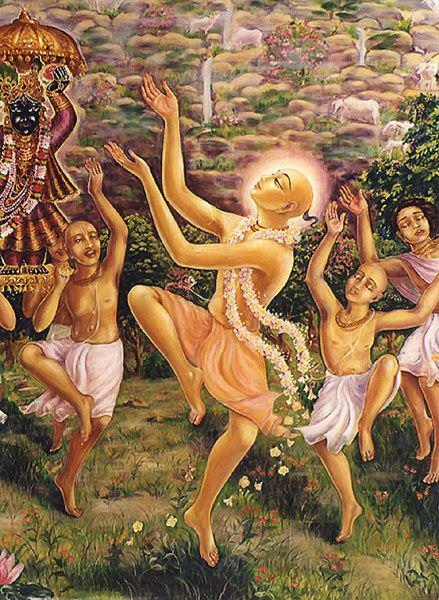 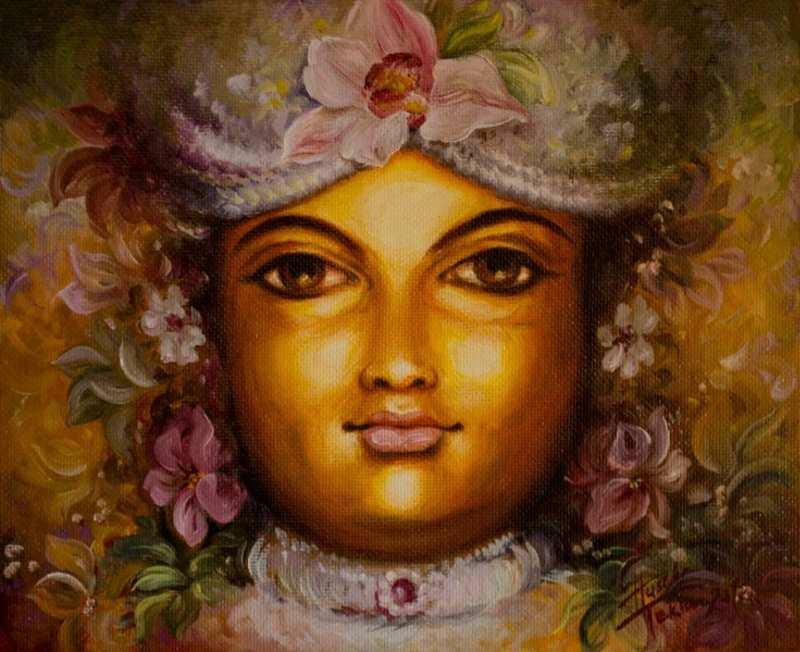 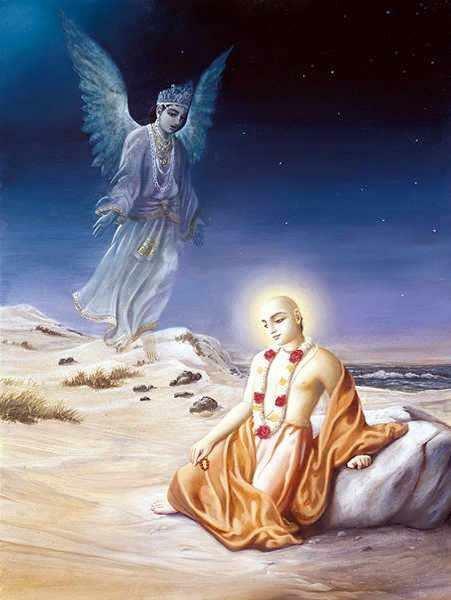 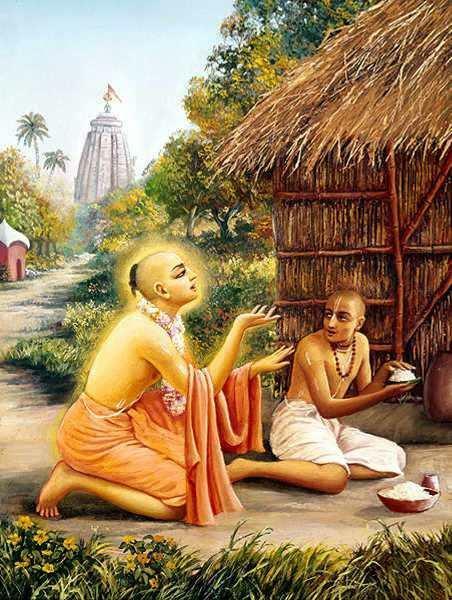 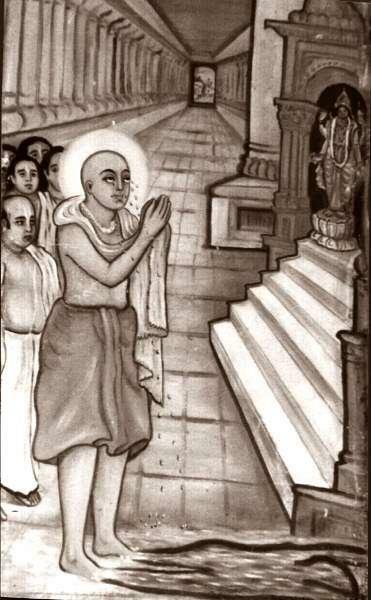 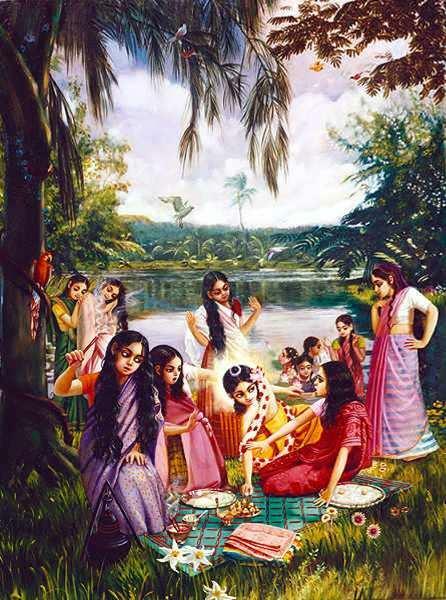 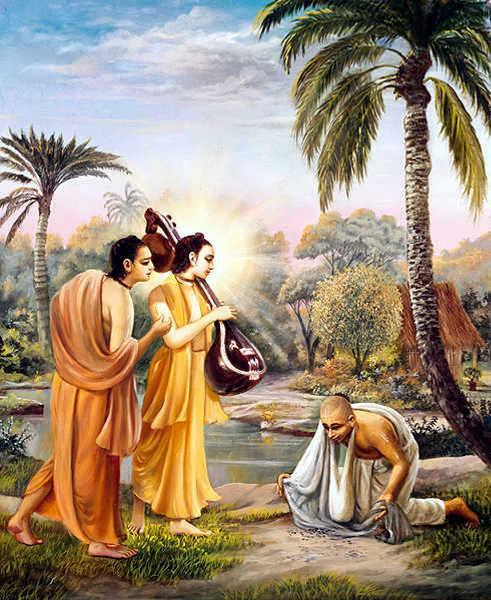 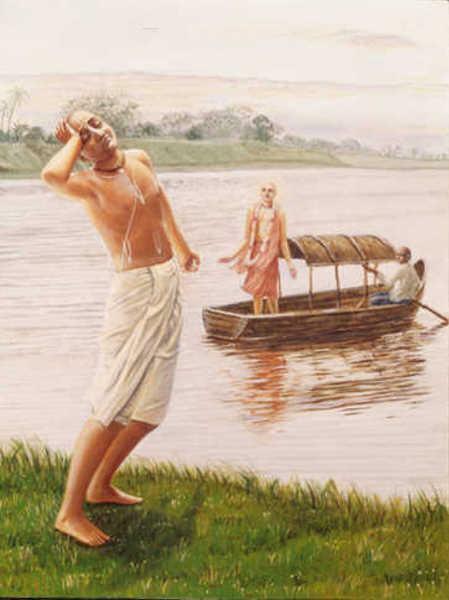 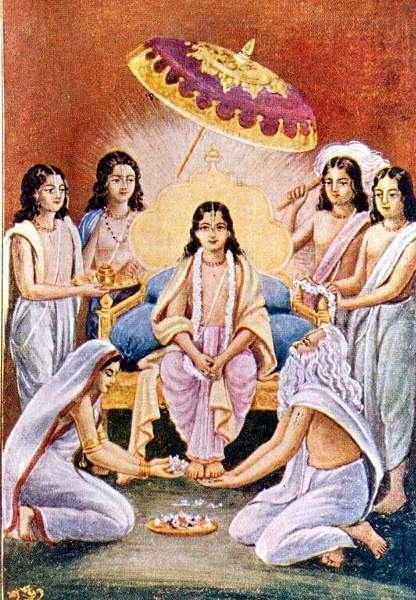 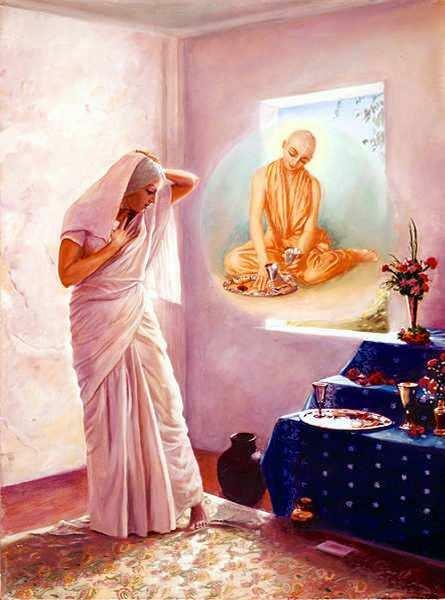 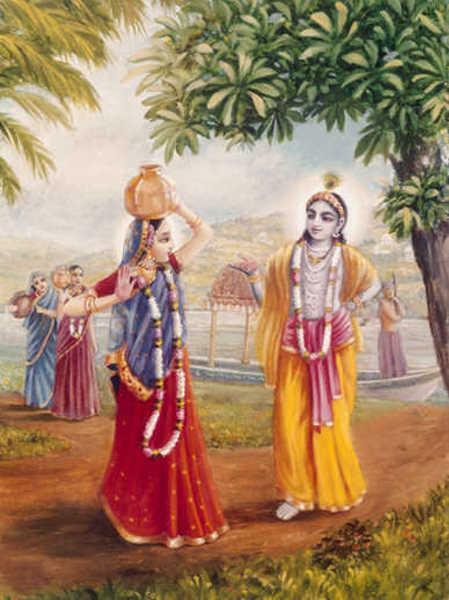 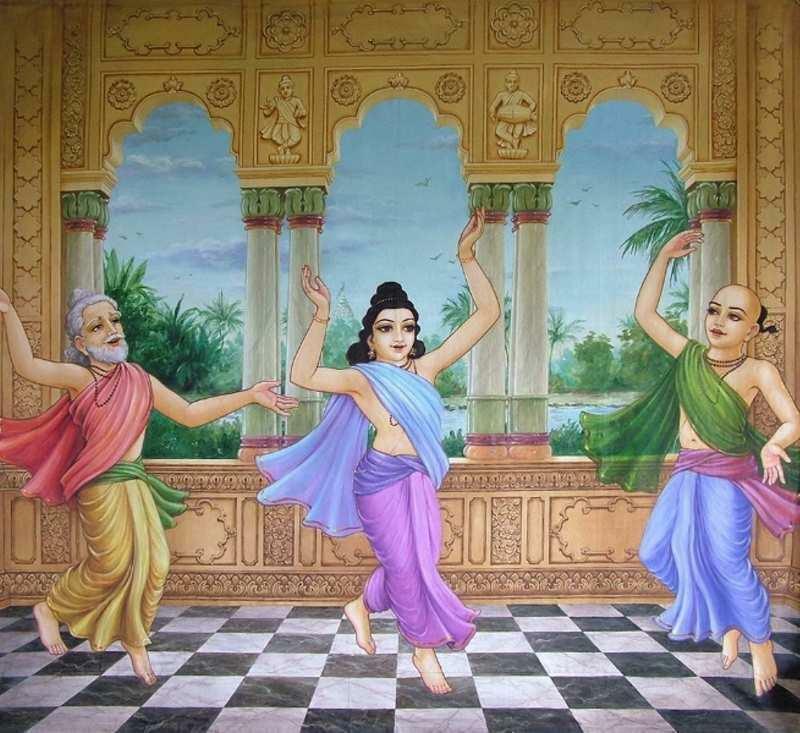 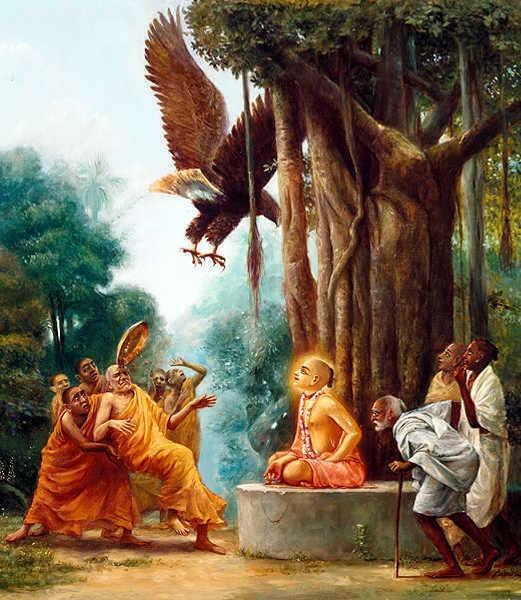 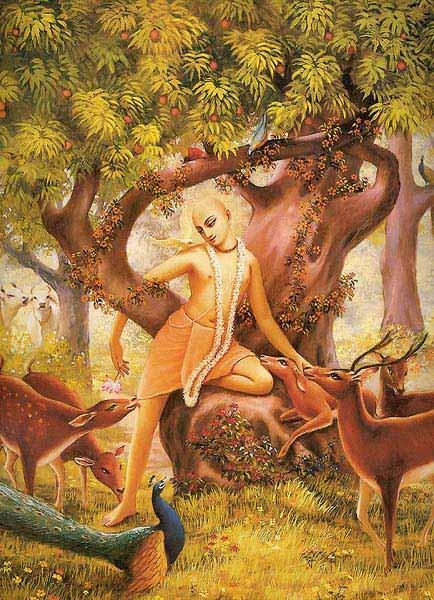 Nityananda was Chaitanya Mahaprabhu's friend and disciple. 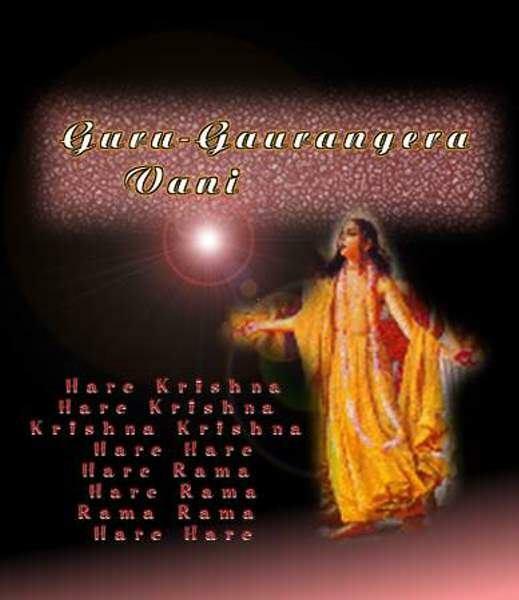 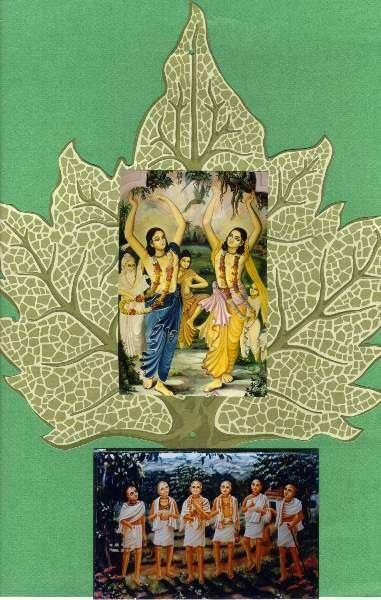 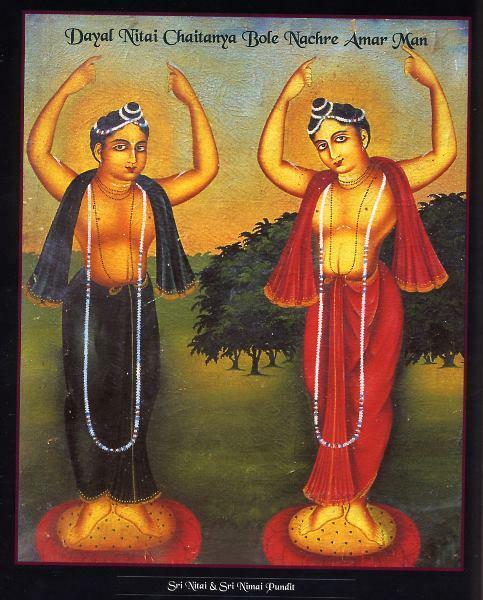 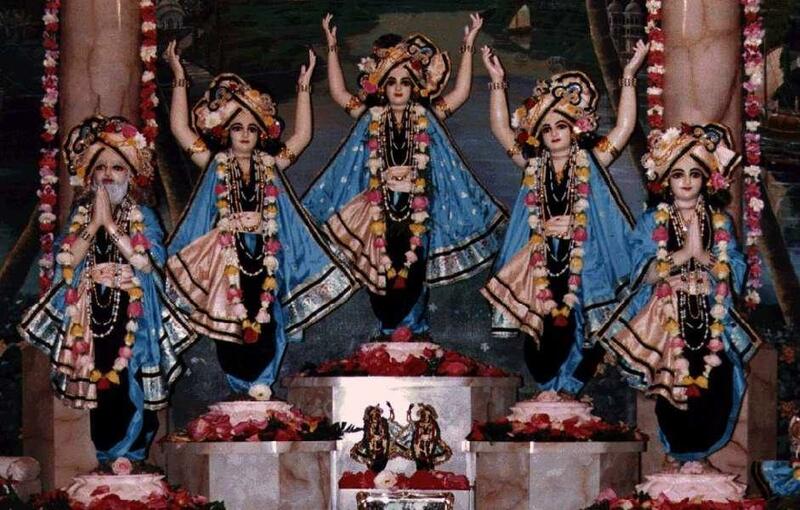 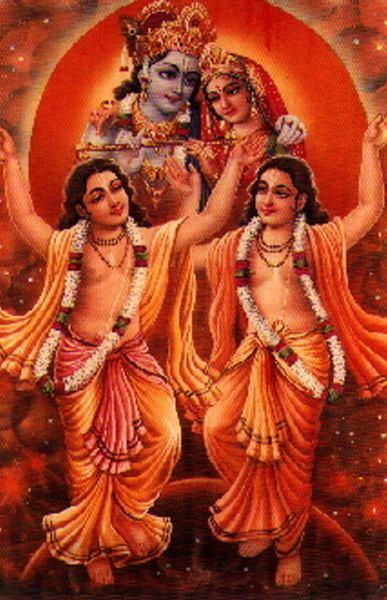 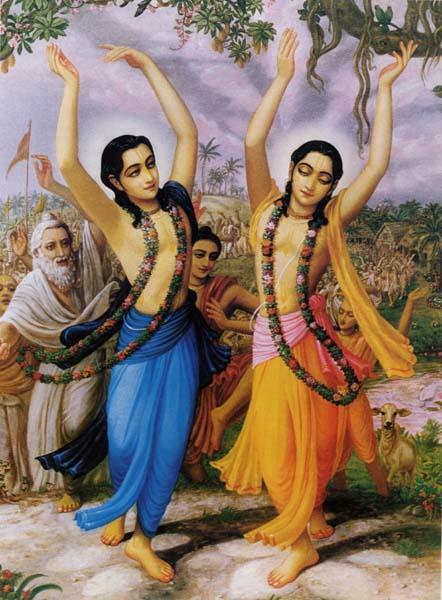 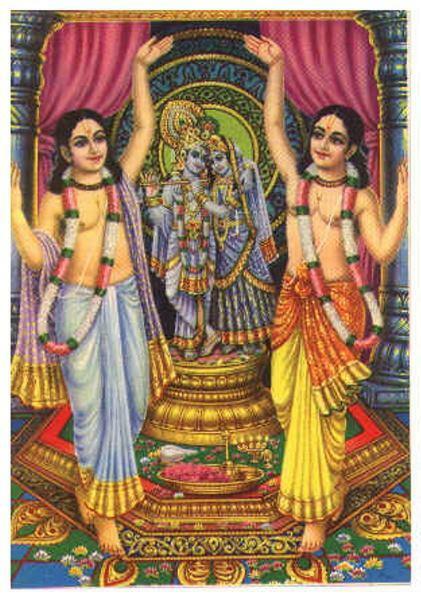 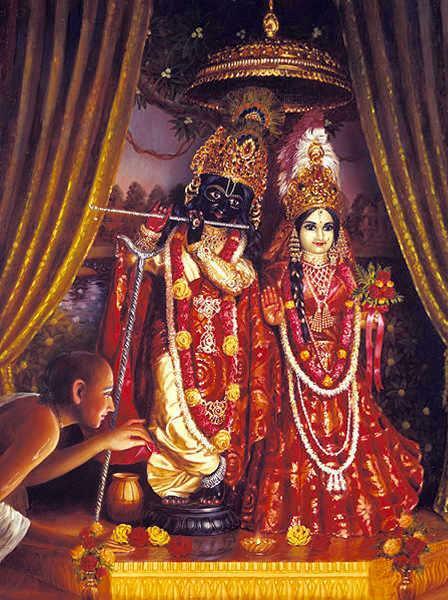 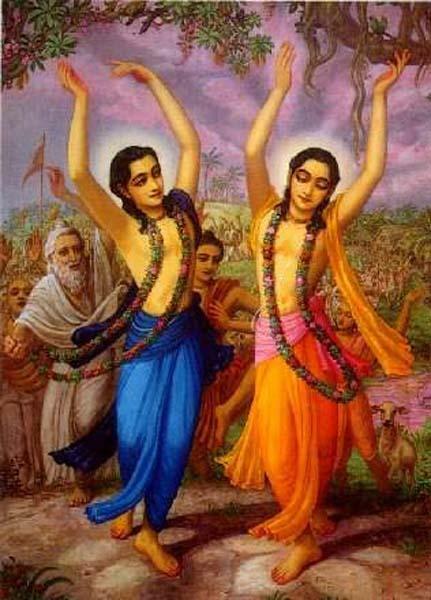 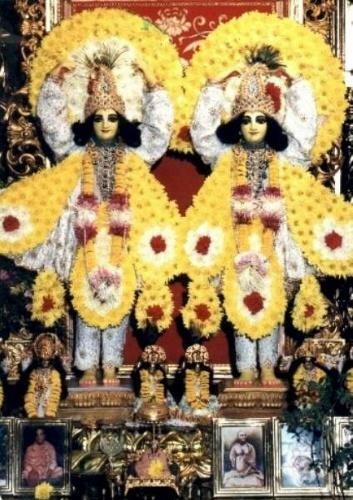 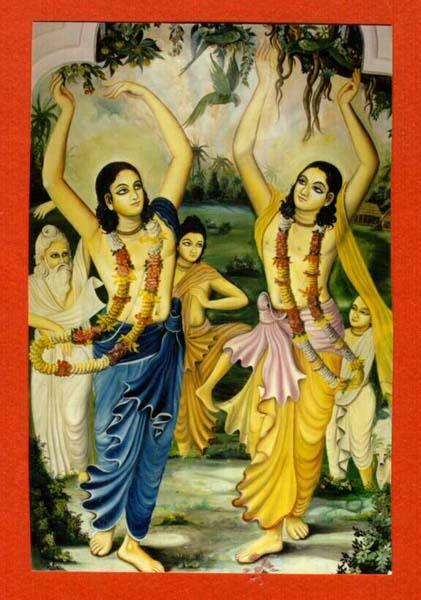 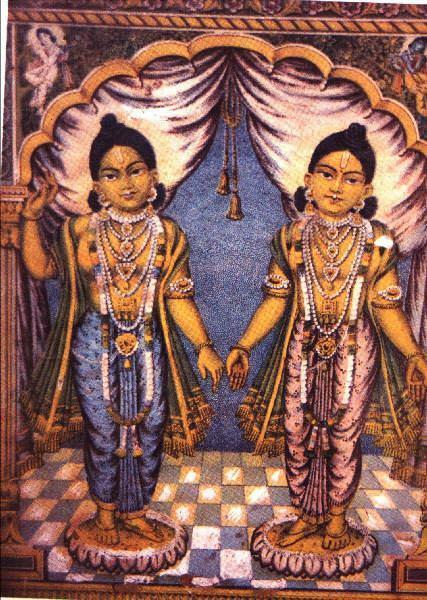 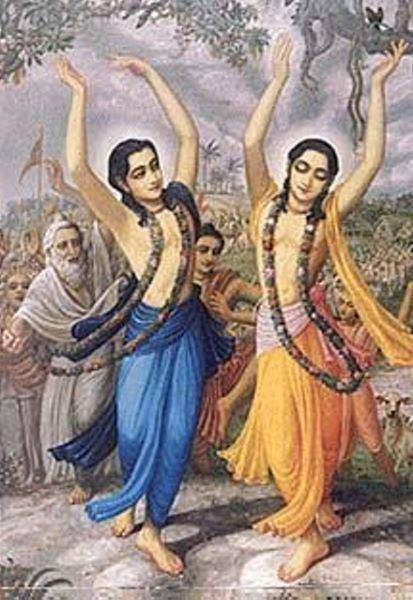 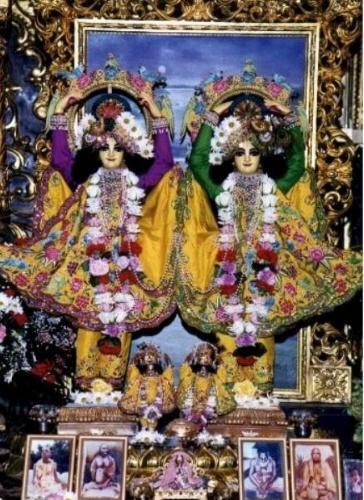 They are often mentioned together as Gaura-Nitai (Gaura, "golden one", referring to Chaitanya, Nitai being a shortened form of Nityananda) or Nimai-Nitai. 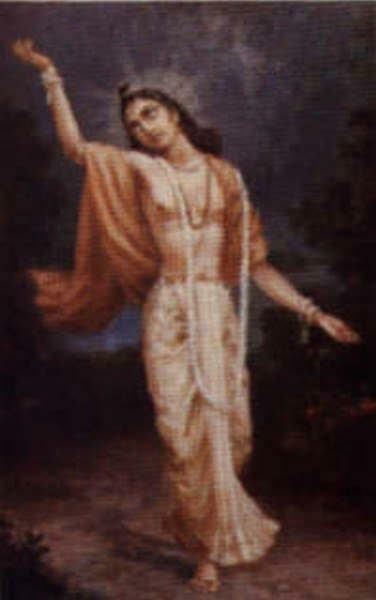 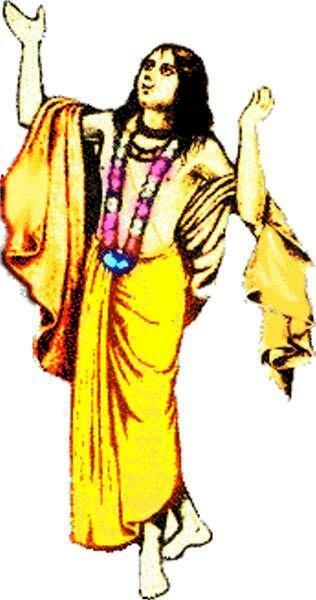 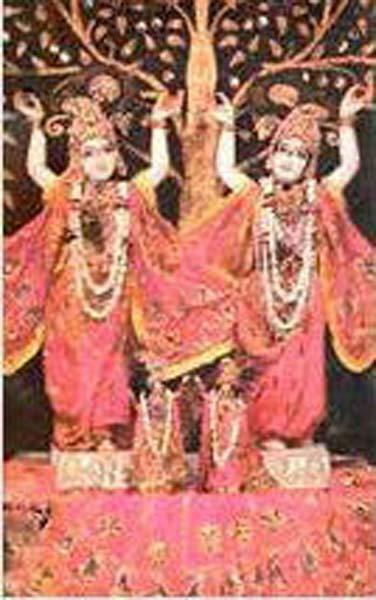 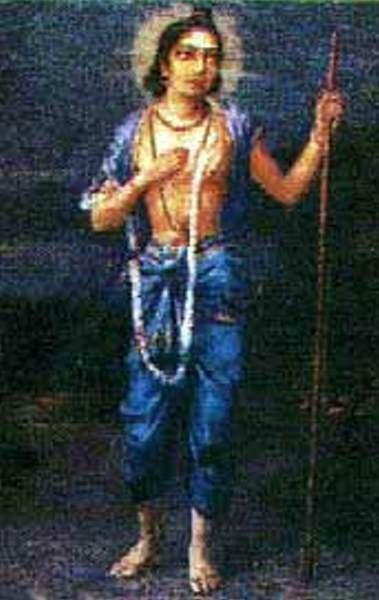 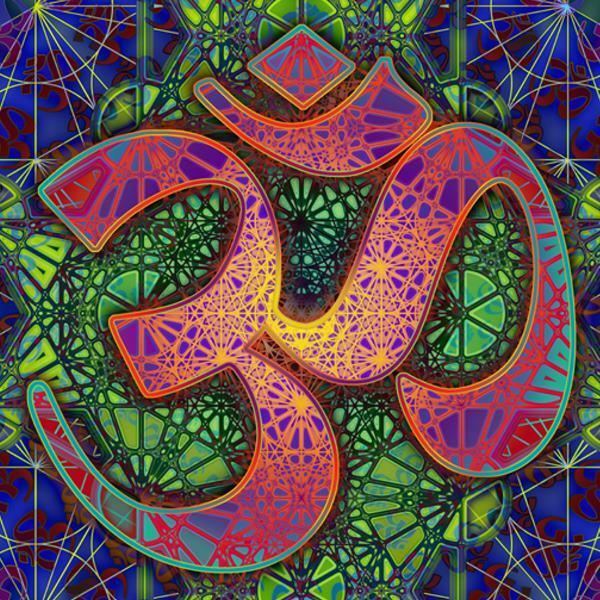 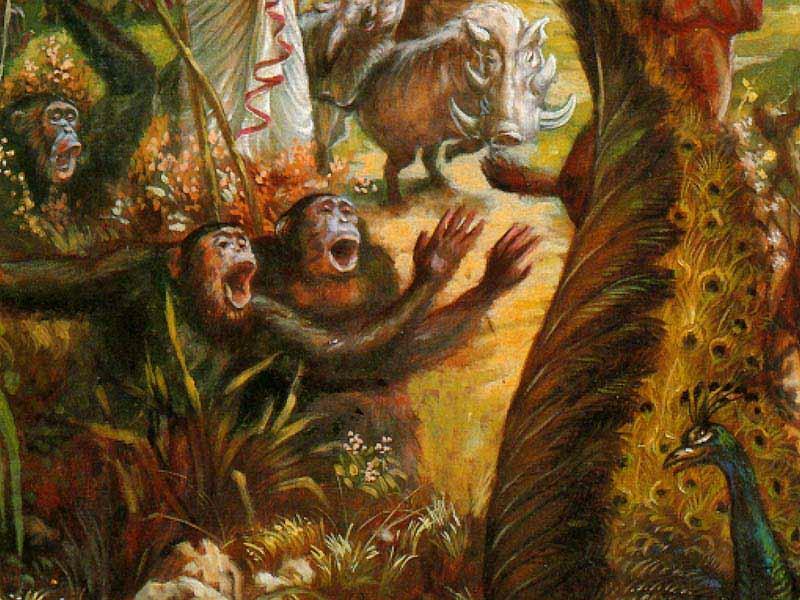 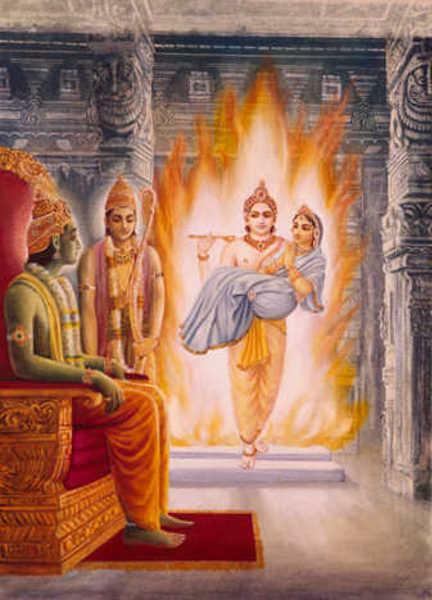 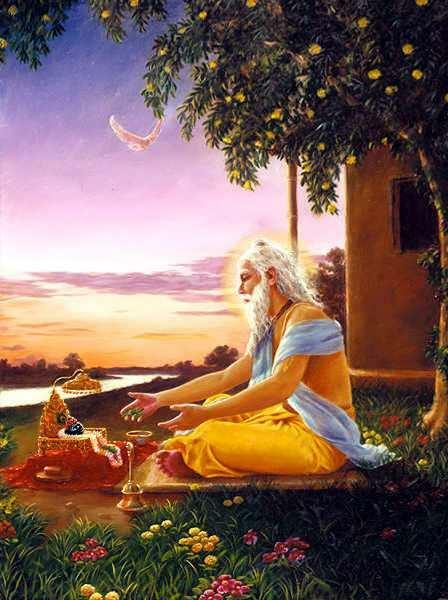 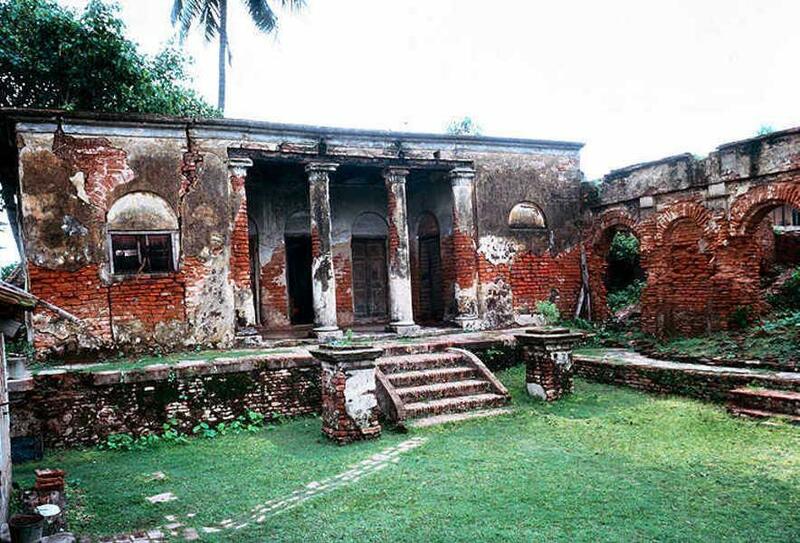 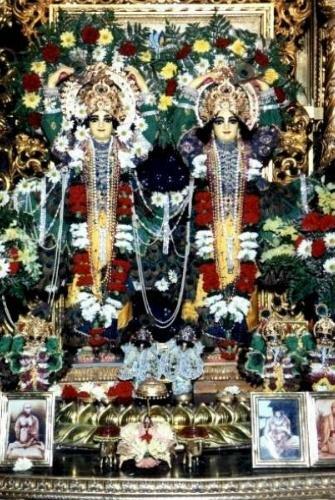 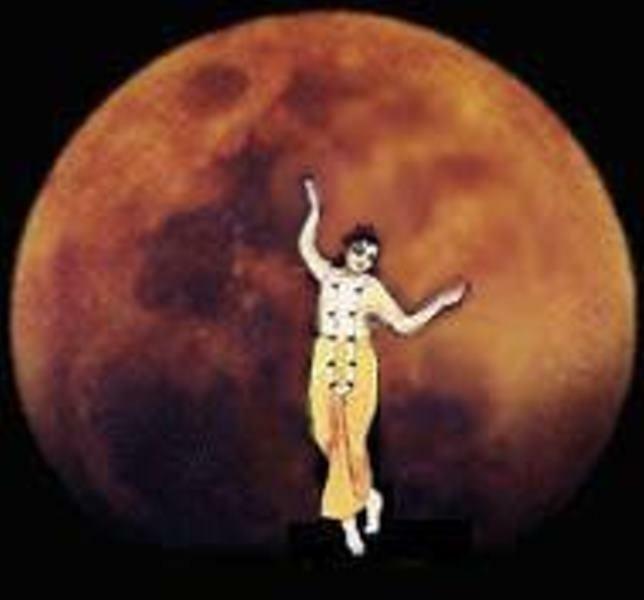 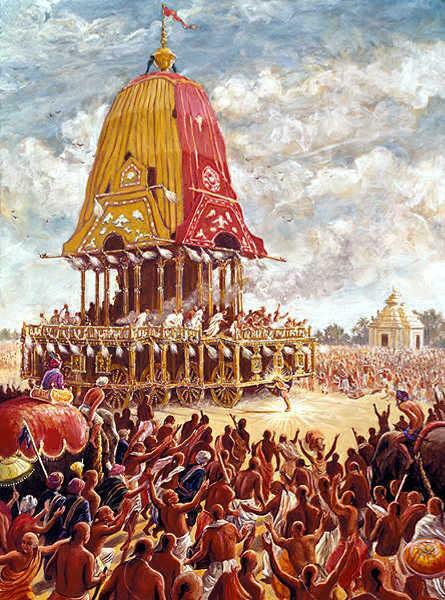 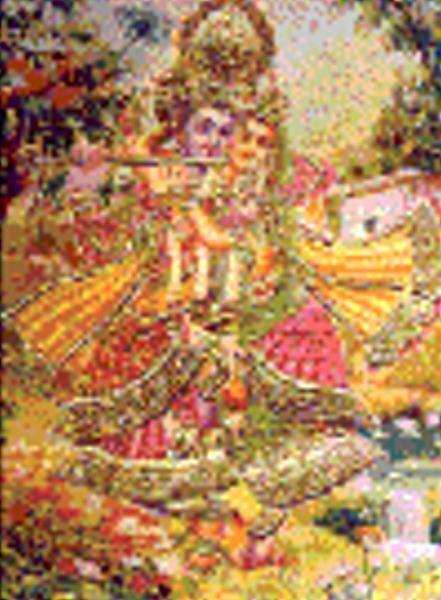 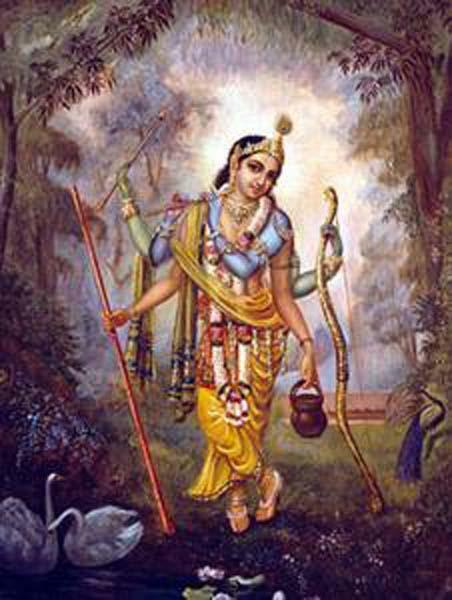 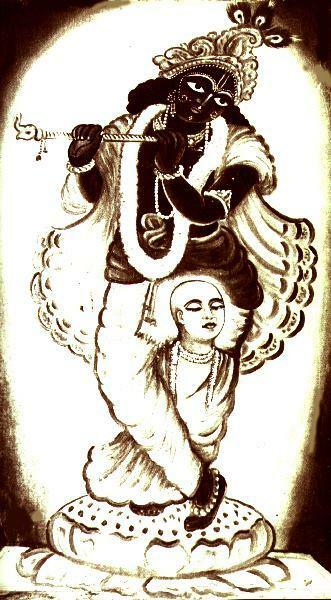  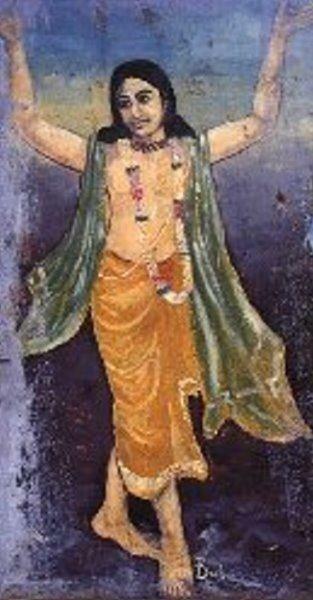 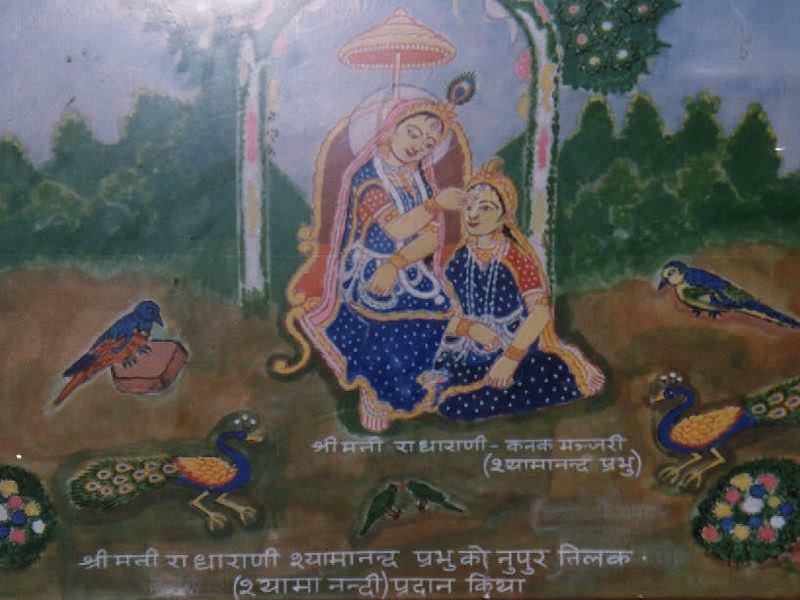 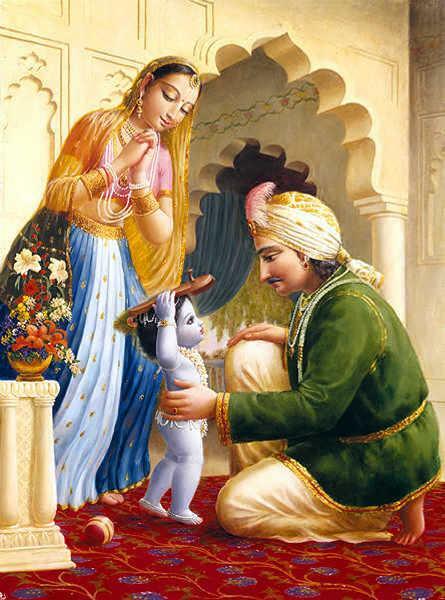 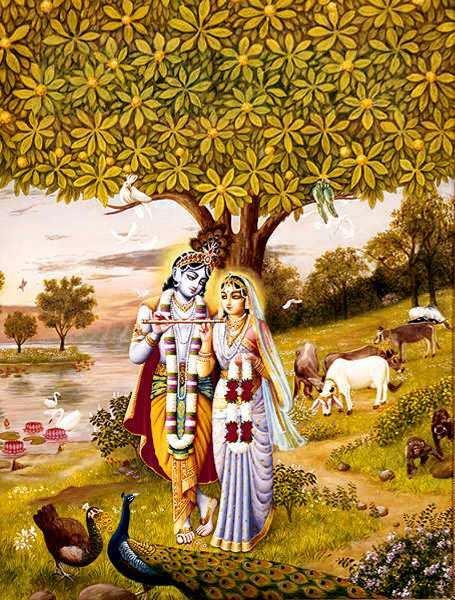 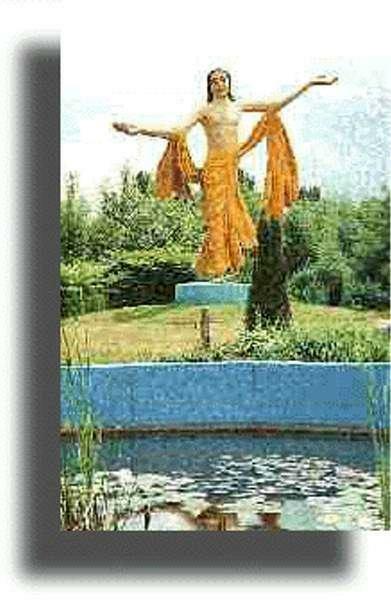 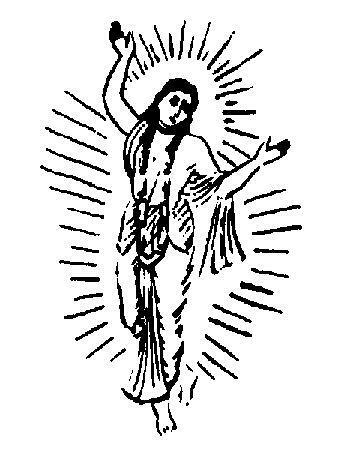 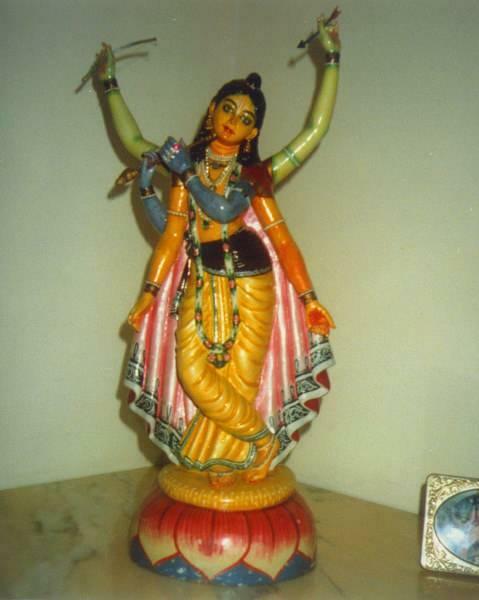 Followers often refer to Nityananda as 'Sri Nityananda', 'Prabhu Nityananda' or 'Nityananda Rama'. 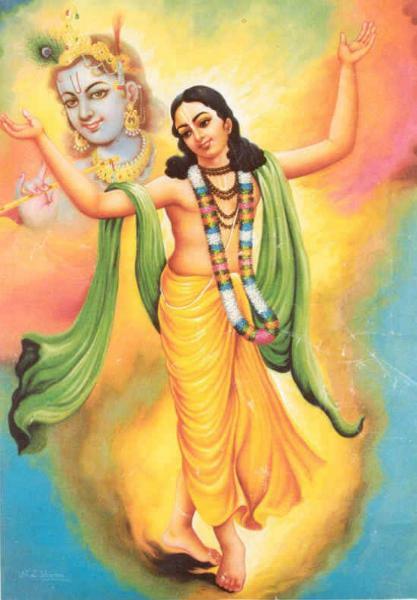 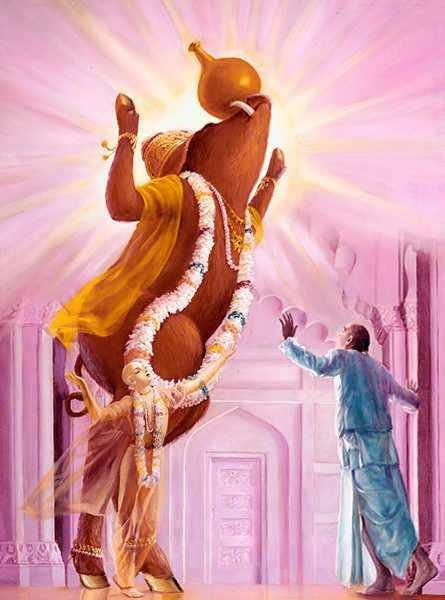 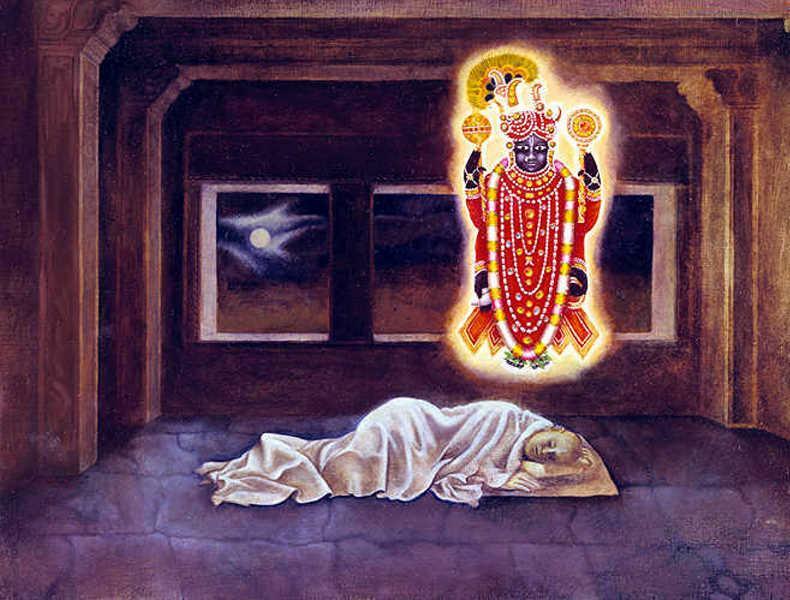 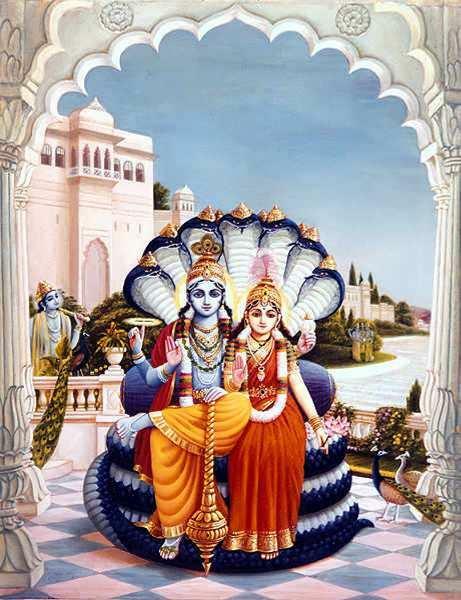 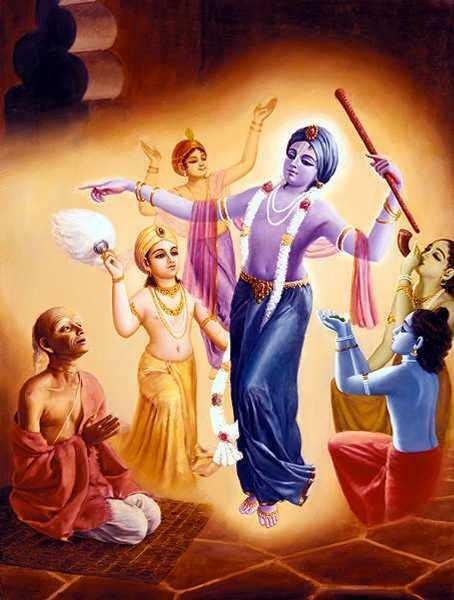 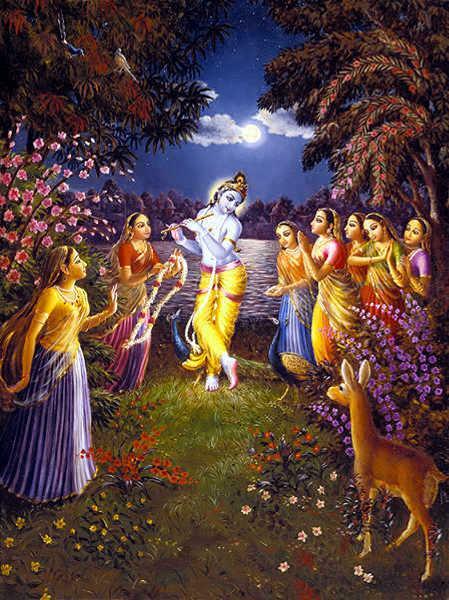 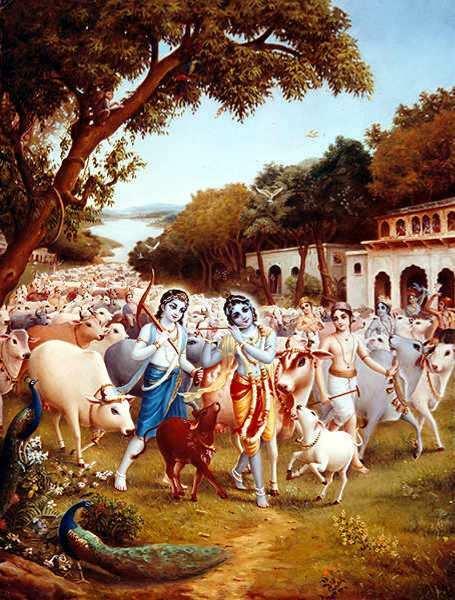 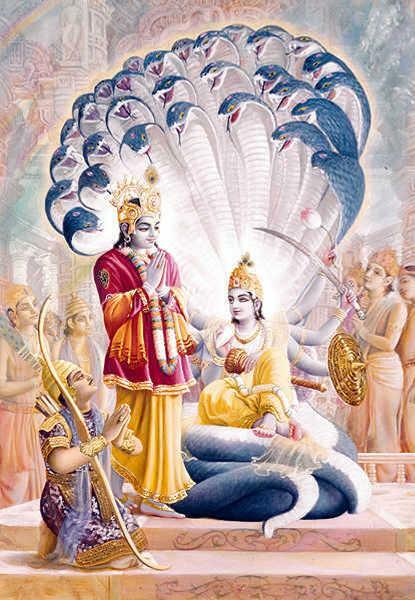 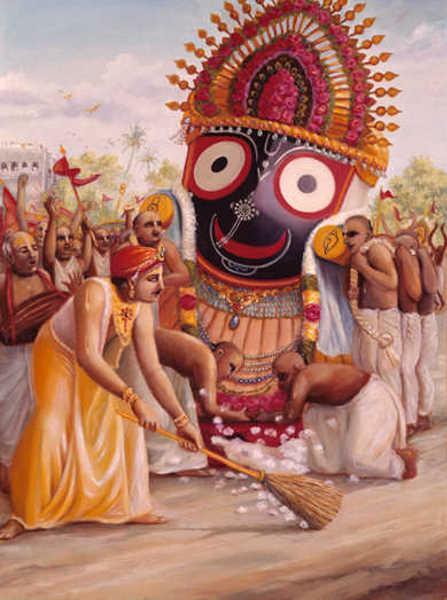 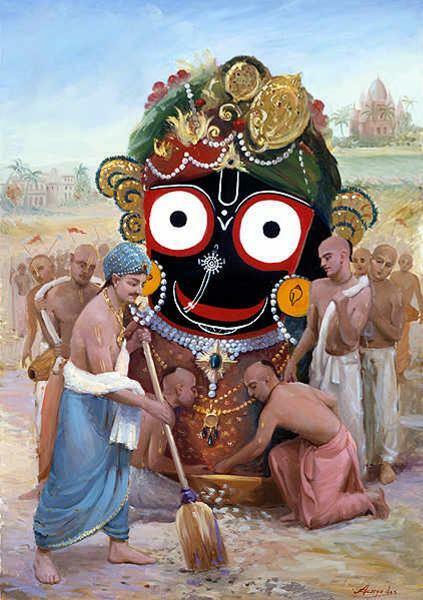 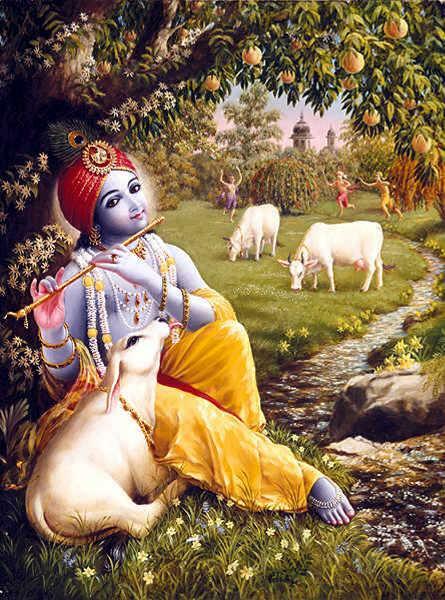 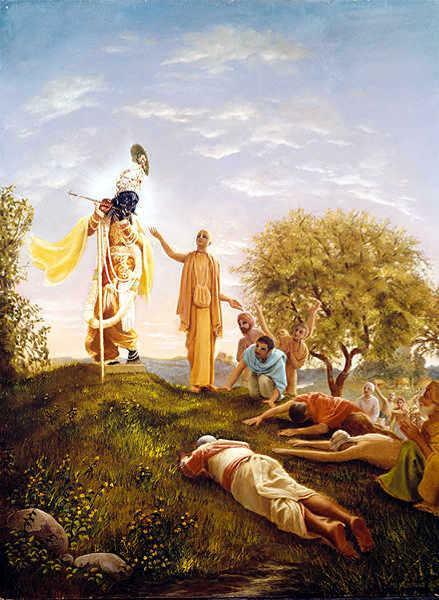 He is considered the 'most merciful' incarnation of the Supreme Personality of Godhead.